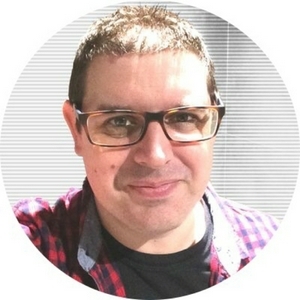 The mixed martial arts podcast and audioblog of UK-based MMA journalist Simon Head, featuring personal takes on the latest MMA news, fighter interviews, behind-the-scenes content and discussion with fellow media colleagues. I joined CNN's Amanda Davies live on CNN World Sport to chat about Conor McGregor's announcement that he had "retired" from the sport of mixed martial arts. 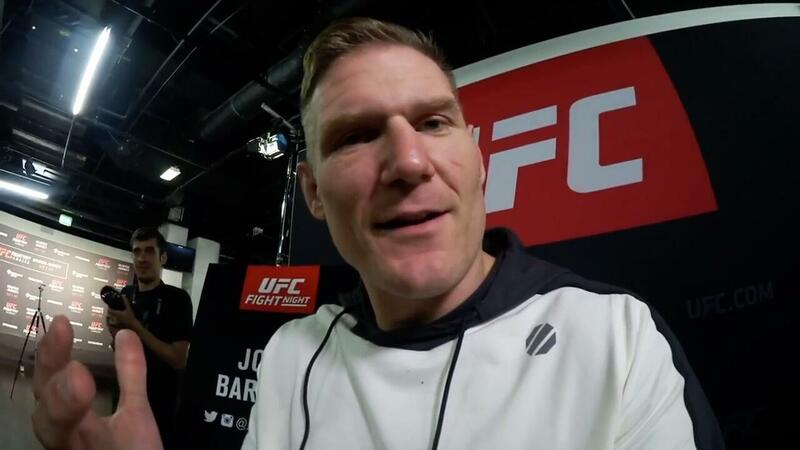 On Tuesday, March 19 I hopped on MMA Junkie Radio for the first time to join Gorgeous George, Goze, Dan Tom and Richard Hunter to discuss UFC London: Till vs Masvidal and unpack some of the big talking points from a wild night at The O2 Arena. For the full show, check out the MMA Junkie Radio podcast on Audioboom and iTunes, or rewatch the live stream from the MMA Junkie studios at the Mandalay Bay, Las Vegas, via the MMA Junkie YouTube channel. I chat with MMAjunkie's John Morgan on The MMA Road Show from my hotel room in Prague as we preview UFC on ESPN+ 3 in the Czech Republic. 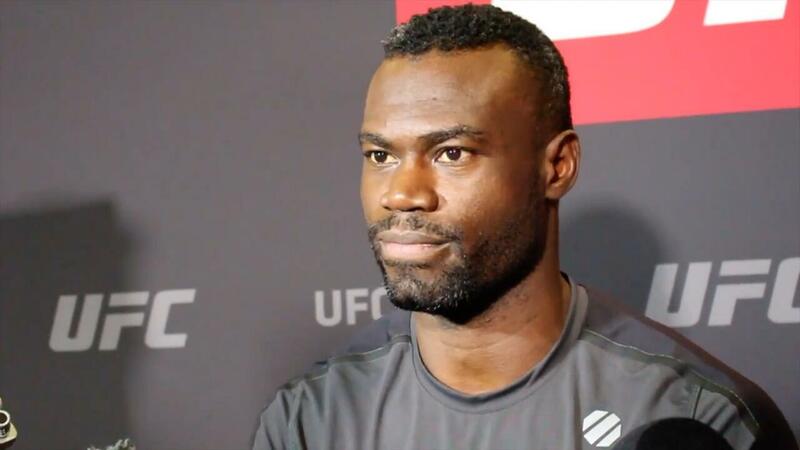 Check out this segment I recorded for The MMA Road Show as I checked in with the guys after a busy day at the Bellator MMA press conference in London. 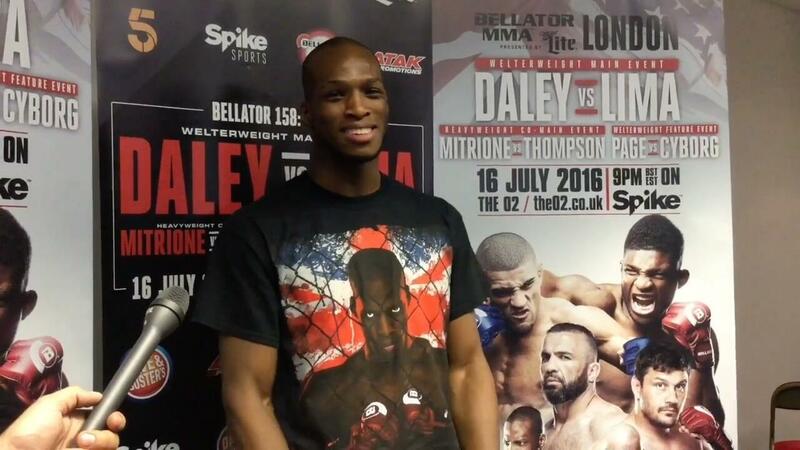 This episode features my chats with British welterweight rivals Paul 'Semtex' Daley and Michael 'Venom' Page. 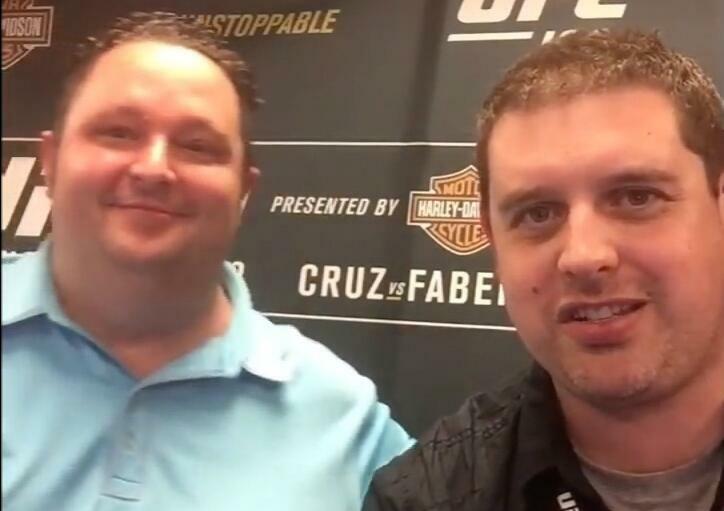 MMA journalist Simon Head grabs a word with press row colleague from Canada, Danny Austin, as they look back at the events of UFC on FOX in his home city of Calgary. 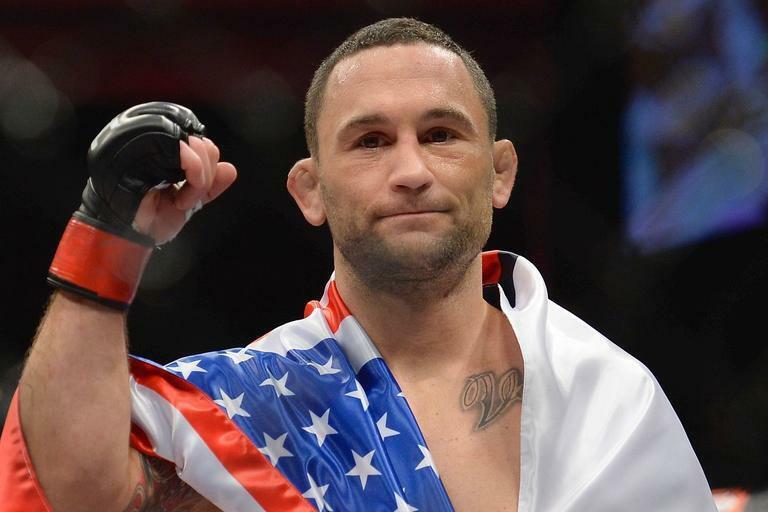 Danny also reveals his other sporting beat, covering the CFL, and the pair look ahead to the big fights at the top of the upcoming UFC 227 card in Los Angeles. Follow Simon on Twitter @simonhead, on Instagram @simonheadsport and check out his writing at simonheadsport.com. 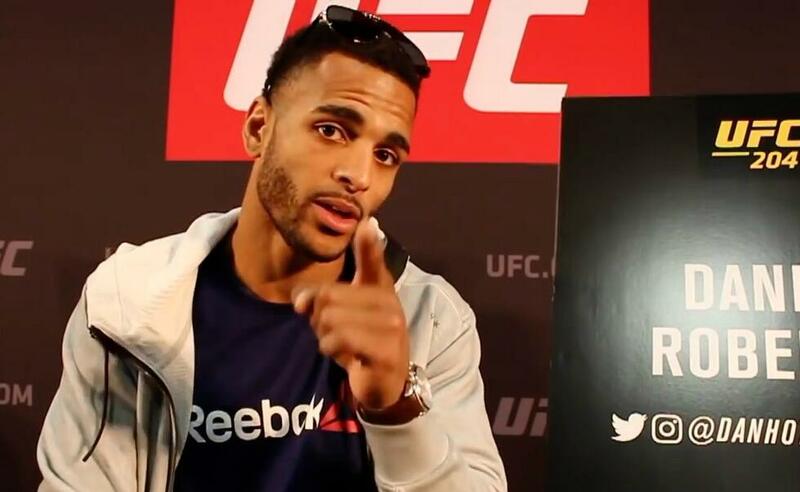 MMA journalist Simon Head chats to British UFC welterweight Danny Roberts after his victory over David Zawada at UFC Fight Night in Hamburg, Germany. 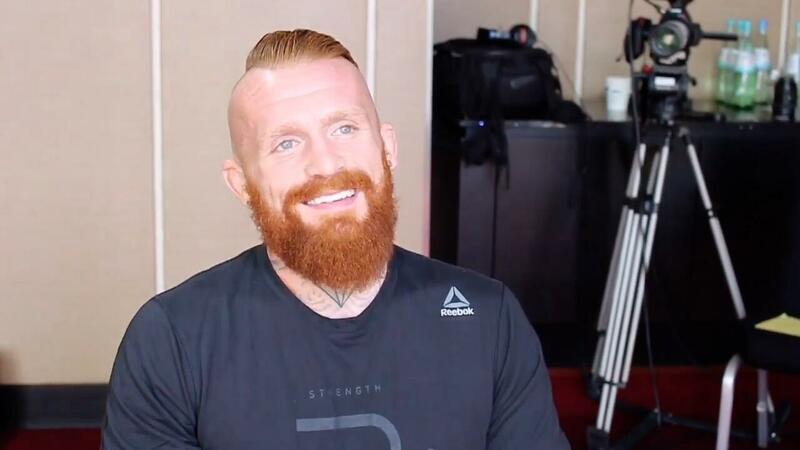 The pair chat about Roberts' career, the difficulty of facing a last-minute opponent change and what inspires him to succeed inside the octagon. 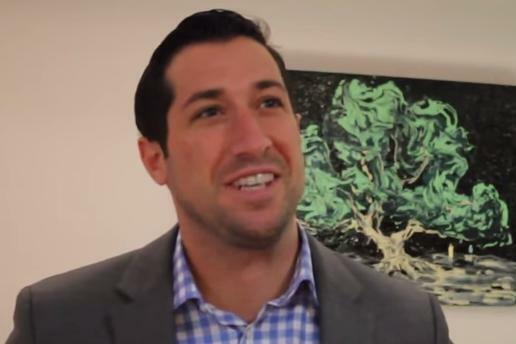 Follow Simon on Twitter @simonhead, on Instagram @simonheadsport and check out his writing at simonheadsport.com. 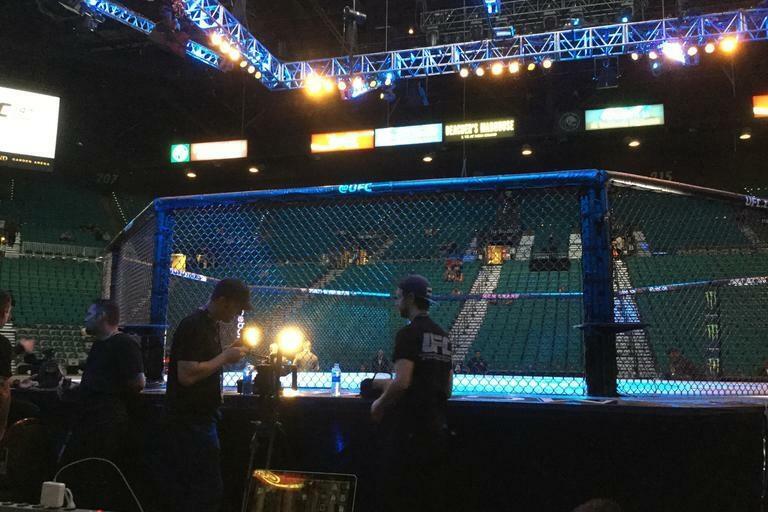 MMA journalist Simon Head records live from octagonside as Stipe Miocic and Daniel Cormier do battle for the UFC heavyweight title at the T-Mobile Arena in Las Vegas. 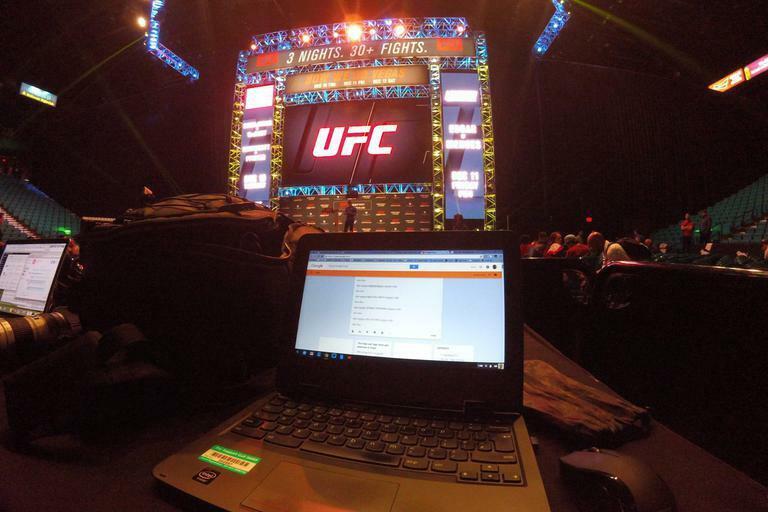 MMA journalist Simon Head records live from octagonside at The Ultimate Fighter Finale as Israel Adesanya faced Brad Tavares in the main event at the Pearl at the Palms in Las Vegas. 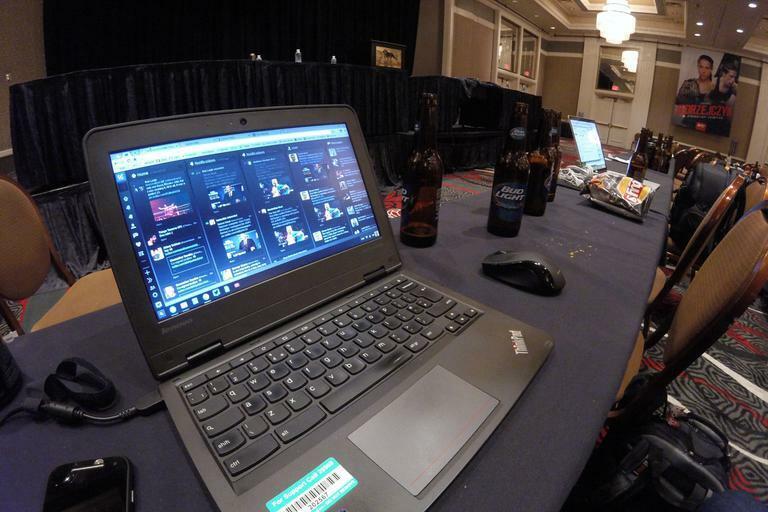 Chatting UFC 194 and wrapping up the MMA year in 2015 with my press row colleague John Morgan. 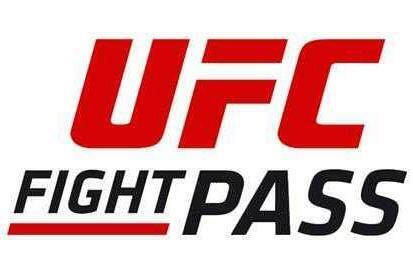 Live recordings from octagonside pre-fight, then the press conferences post-fight, at UFC 194 in Las Vegas. Chatting with my press row friends John Morgan and Chamatkar Sandhu, plus TUF Finale competitors Ryan Hall and Artem Lobov. 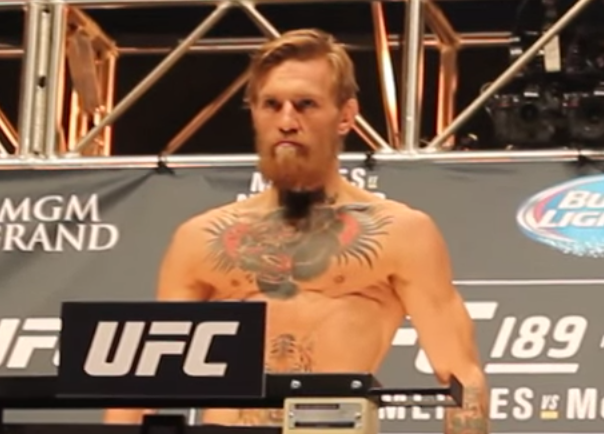 Interviews from the UFC 194 Ultimate Media Day at the MGM Grand in Las Vegas. 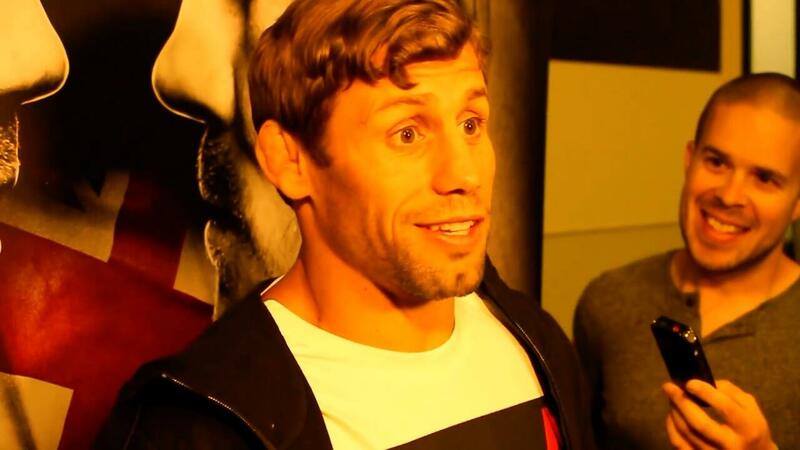 Featuring Urijah Faber, Gunnar Nelson, Max Holloway, Jeremy Stephens, Joe Lauzon and Demian Maia. 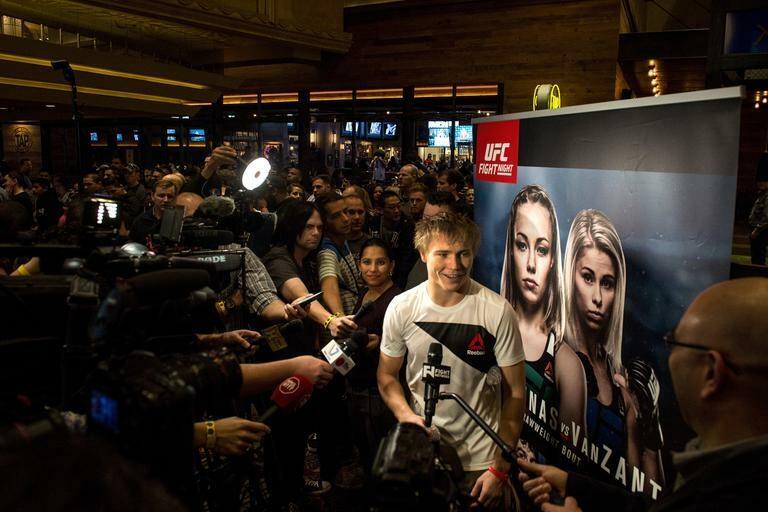 Check out the open workout media scrums ahead of UFC Vegas, featuring Sage Northcutt, Paige VanZant, Jim Miller, Aljamain Sterling, Michael Chiesa, Rose Namajunas and Cody Pfister. 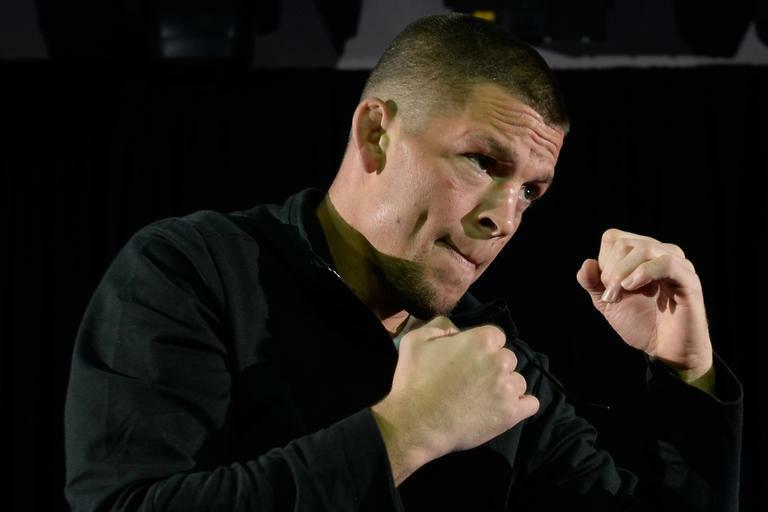 Previews and predictions from Robin Black, Norman Parke, Michael Bisping and Dana White ahead of UFC 194 in Las Vegas, Nevada. 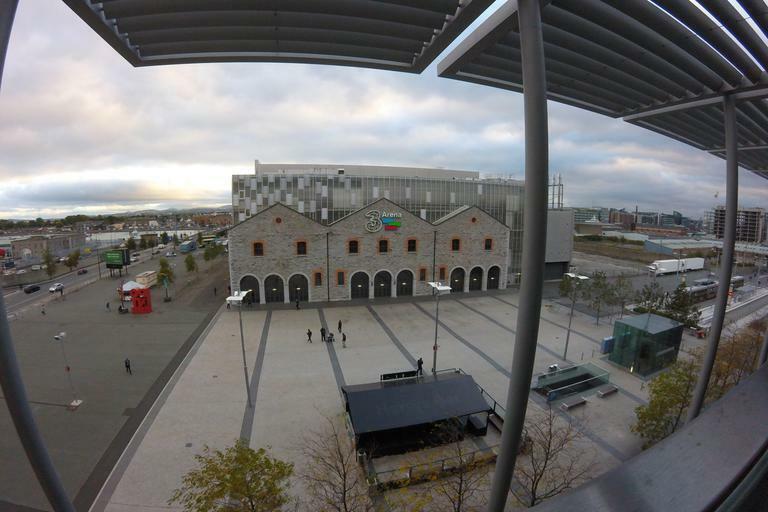 Fighter reaction ahead of UFC Fight Night in Dublin, Ireland. 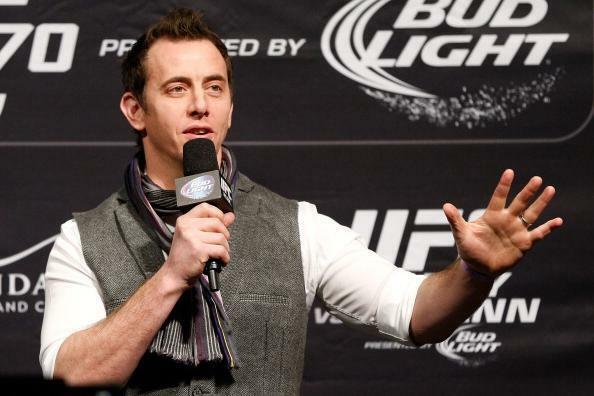 In conversation with the UFC's EMEA octagon announcer Andy Friedlander ahead of UFC Fight Night in Dublin, Ireland. 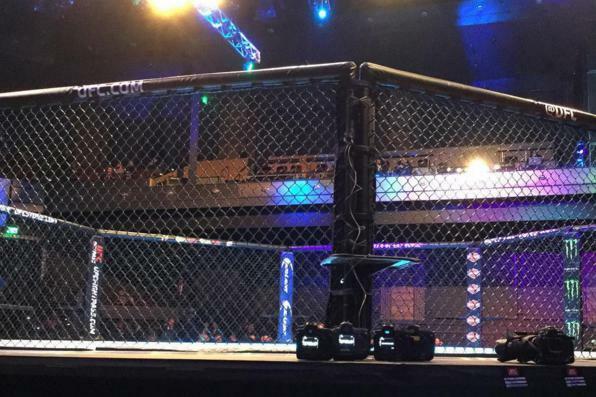 Behind-the-scenes coverage from BAMMA 21 at the Barclaycard Arena in Birmingham. 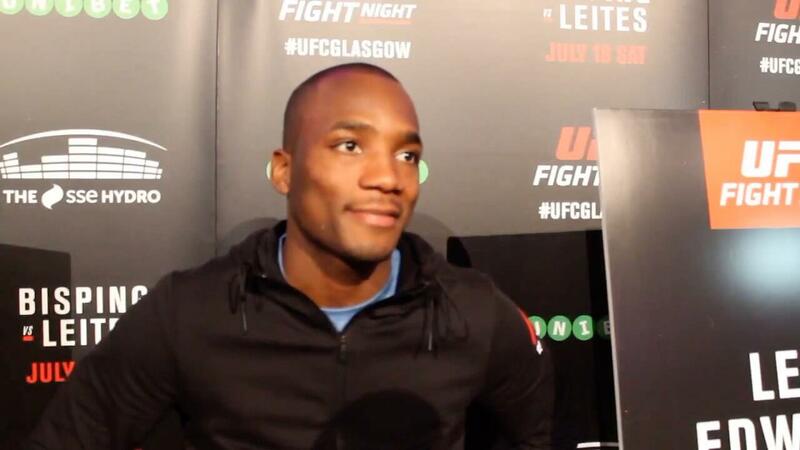 Pre-fight interviews recorded on media day ahead of UFC Fight Night: Bisping v Leites in Glasgow, Scotland. 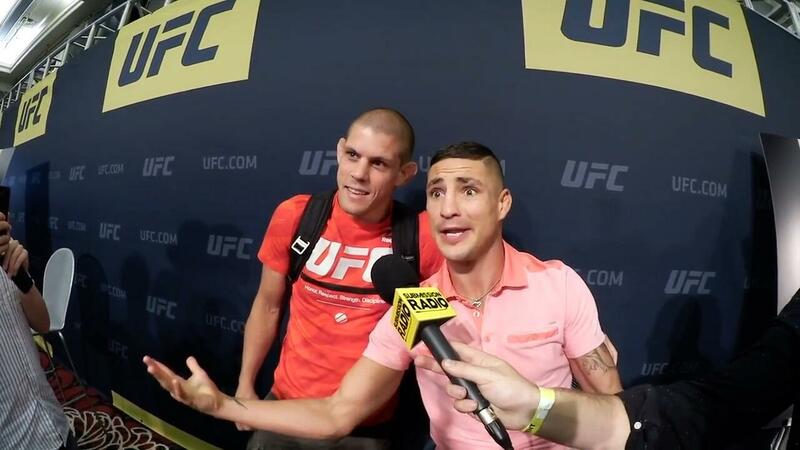 Interviews and reaction from UFC 189 at the MGM Grand in Las Vegas. 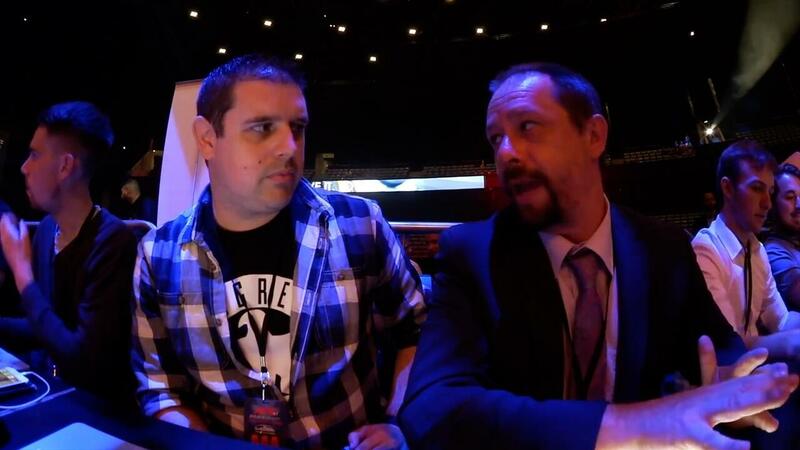 Chatting with UFC commentator John Gooden and UFC EMEA chief Garry Cook ahead of UFC Fight Night in London. Live reaction from octagonside in Nottingham from Simon Head and Rob Leigh. 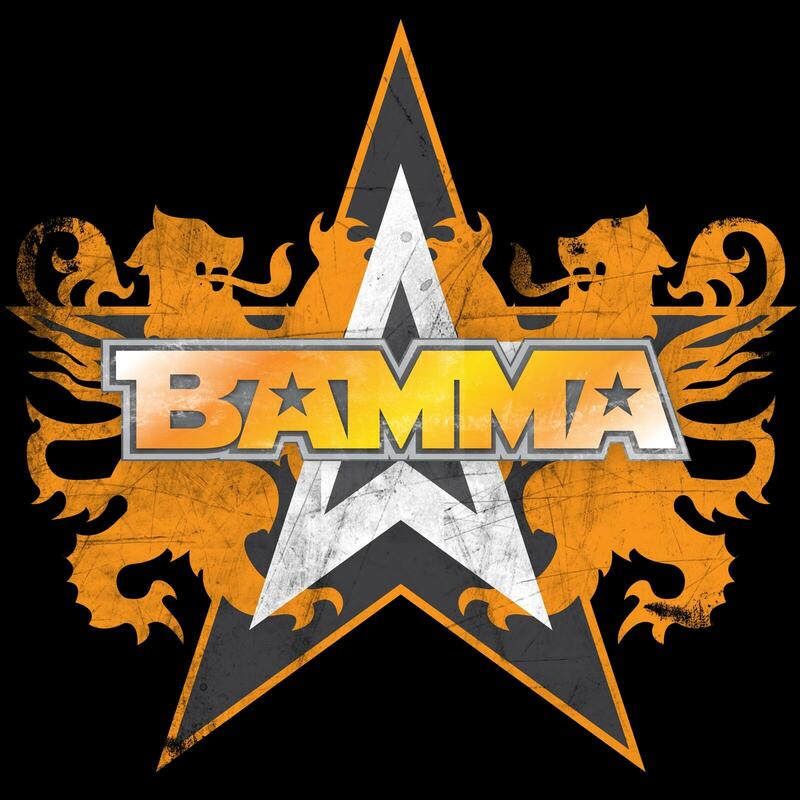 Live reaction from cageside at BAMMA 10 with Simon Head and Rob Leigh. 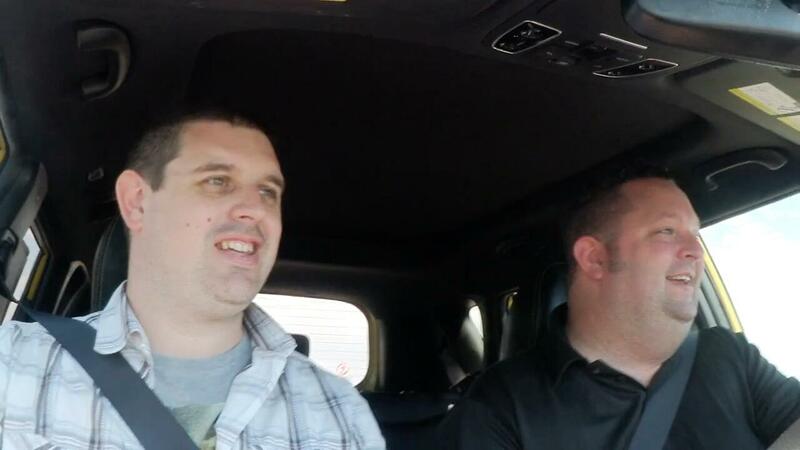 Live reaction from octagonside from Simon Head and Rob Leigh in Birmingham. 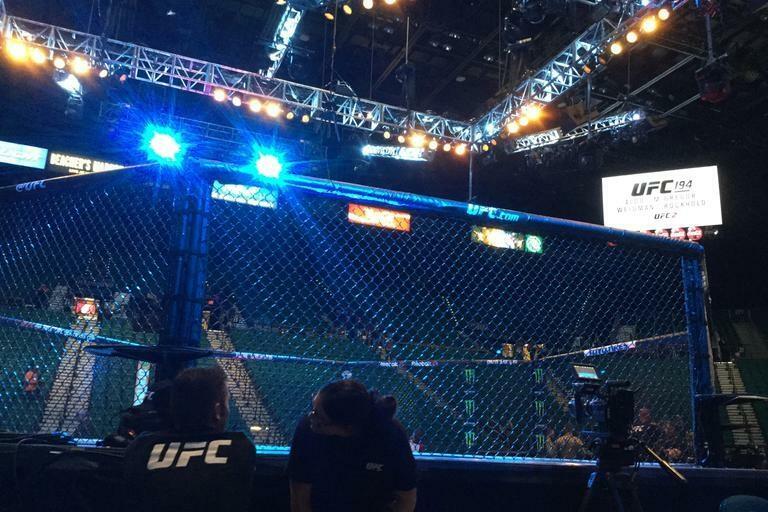 Live reaction from cageside with Simon Head and Rob Leigh. 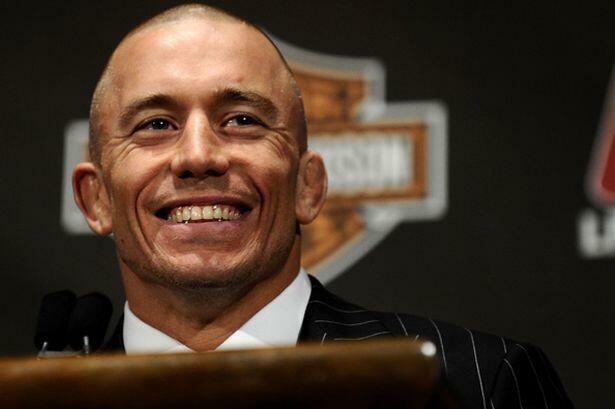 I caught up with Georges St-Pierre during his training camp at the Roger Gracie Academy in London as he prepared for his title fight with Jake Shields at UFC 129. 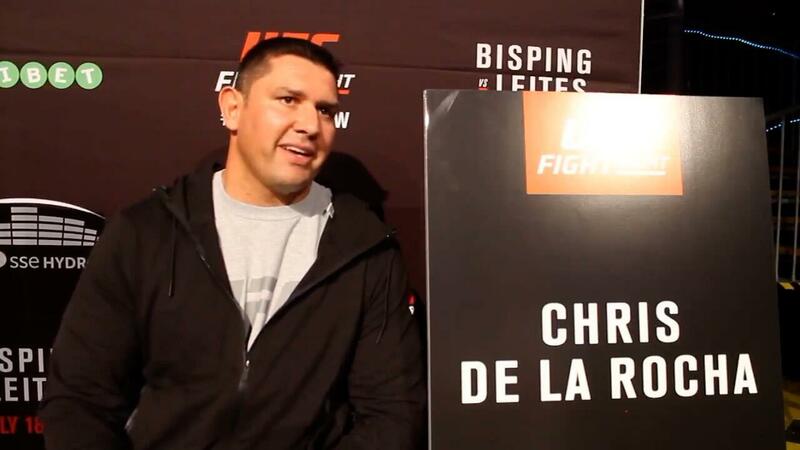 British UFC star Michael Bisping chats ahead of his bout with Jorge Rivera at UFC 127. Looking back at MayMac • What's next for Conor McGregor? • How balanced was the media coverage of MayMac? Mayweather v McGregor: Who wins? 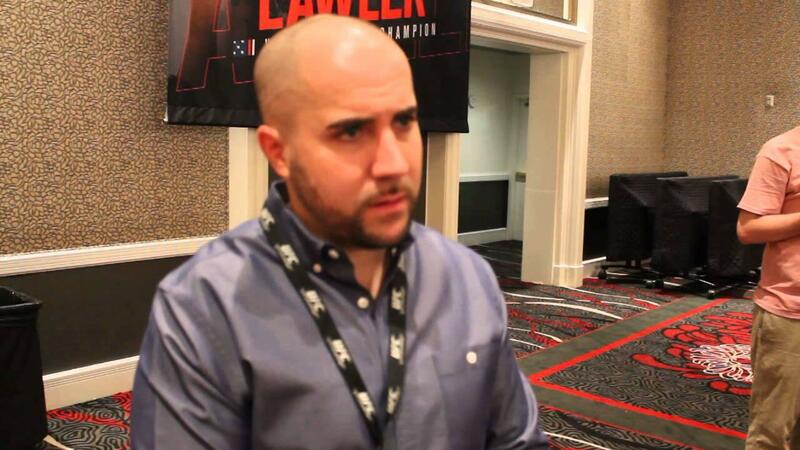 Simon Head explains where he thinks Mauro Ranallo might land next, and pays tribute to the commentator he says is the best in combat sports. 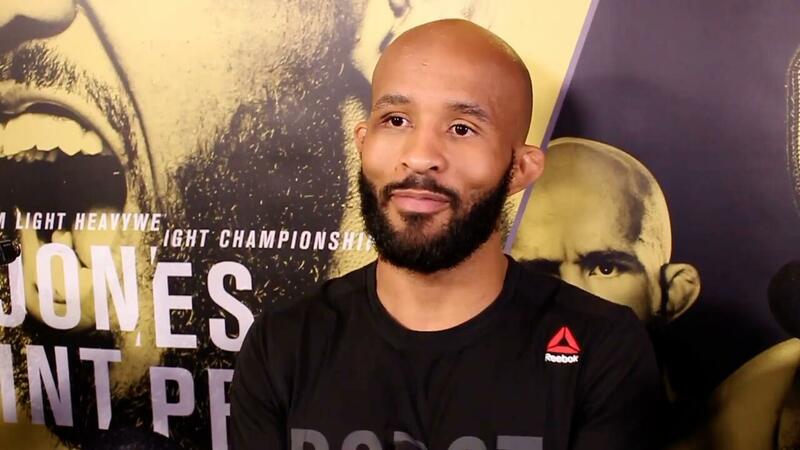 Simon Head explains why he has UFC flyweight champ Demetrious 'Mighty Mouse' Johnson at the top of his pound-for-pound list. 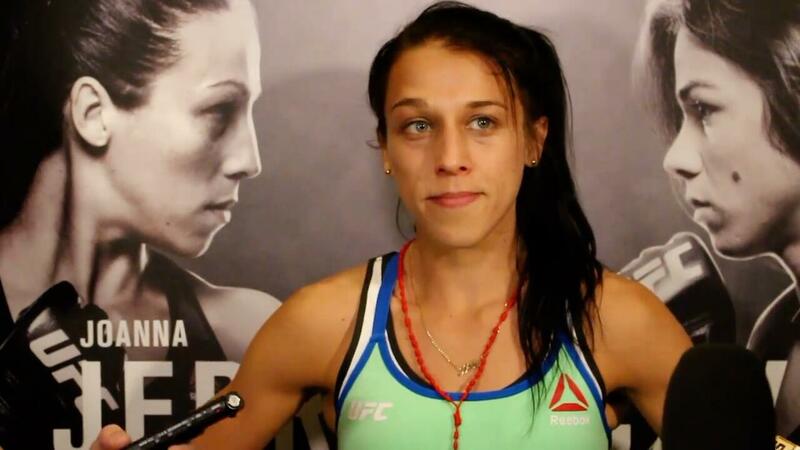 Why doesn't the UFC have a women's 125lb division? Simon Head answers listener questions about two women's MMA divisions - one that exists (the 145lb featherweight class) and one that doesn't (the 125lb flyweight class). 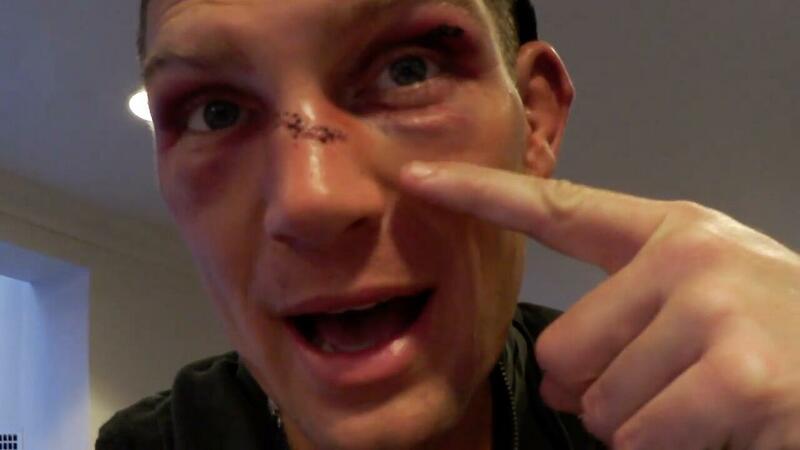 Clipped from The Brit Pack MMA podcast. 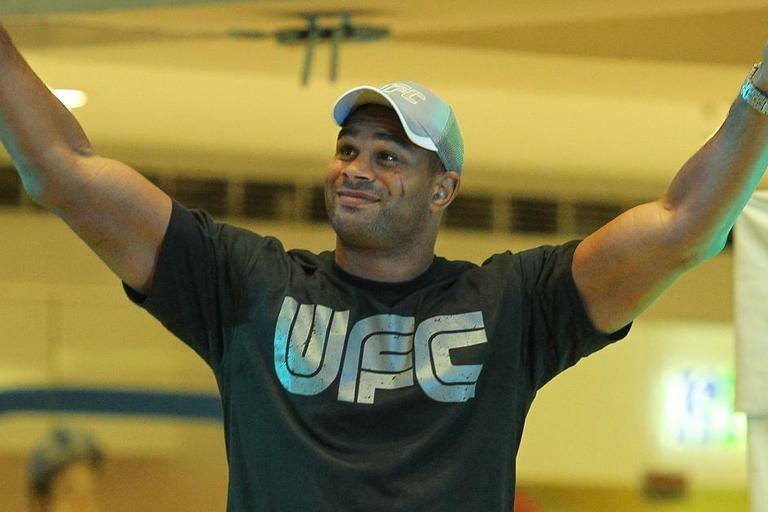 Should the UFC light-heavyweight title now be vacant? 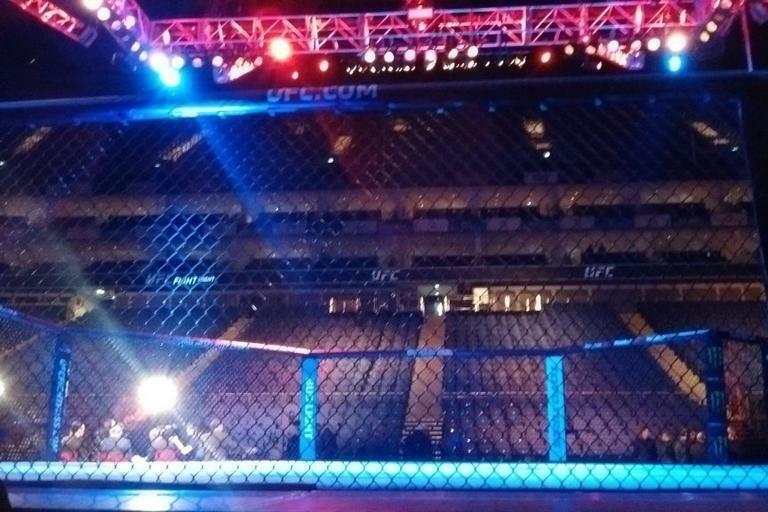 UK-based MMA journalist Simon Head offers the theory that, following the events of UFC 210, the UFC's 205lb world title should be a vacant championship. Originally recorded on The Brit Pack MMA podcast. During this week's episode of The Brit Pack podcast I shared some views on the sustainability of MMA in the UK's mainstream media. Canadian MMA star Rory MacDonald chats to Simon Head at the Bellator 179 launch presser ahead of his main event bout with Brit Paul 'Semtex' Daley at Wembley Arena. 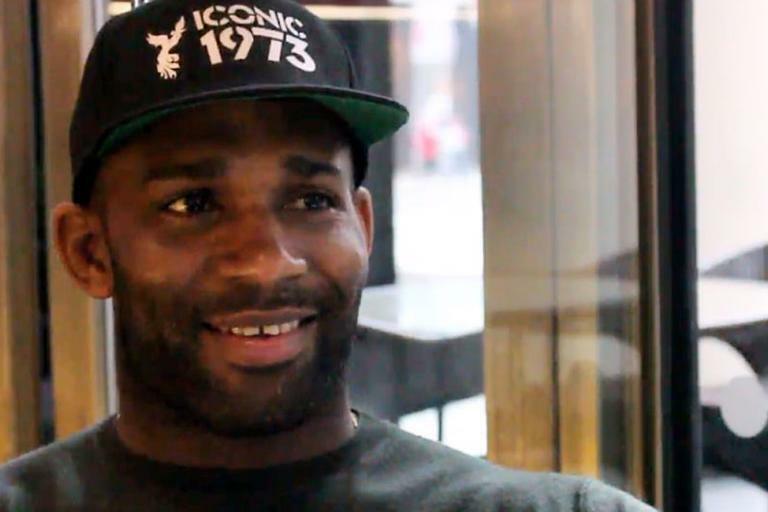 Bellator MMA athlete Derek 'Barbaric' Anderson chats to Simon Head about moving up from lightweight to welterweight to take on British star Michael 'Venom' Page at Bellator 179 in London. 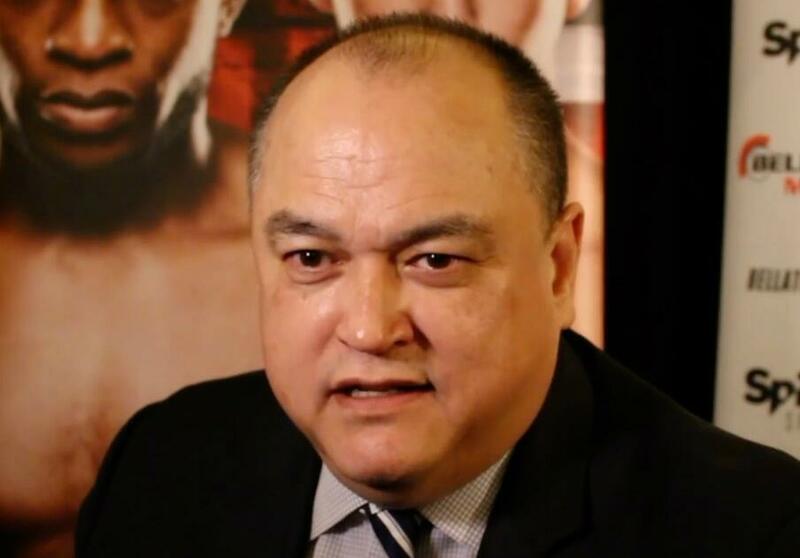 Scott Coker chats to reporters at the second Bellator 179 launch press conference in London, England. 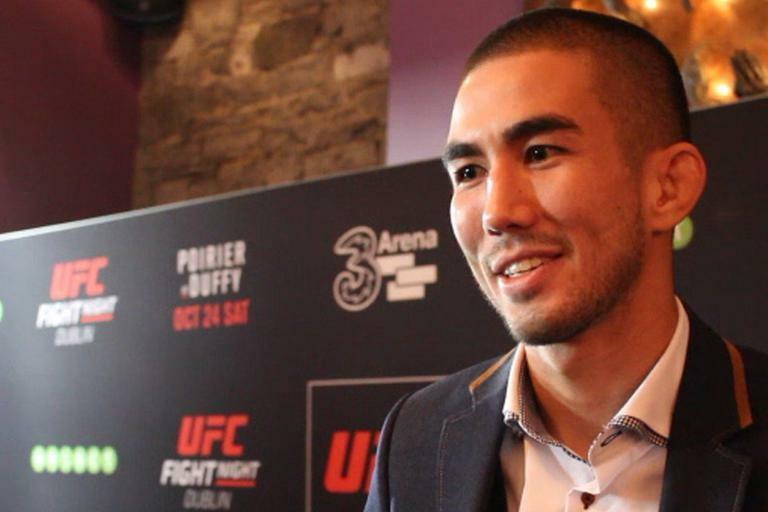 Former Cage Warriors and UFC star Dan 'The Outlaw' Hardy reveals he's now one step closer to a possible return to the UFC's octagon. 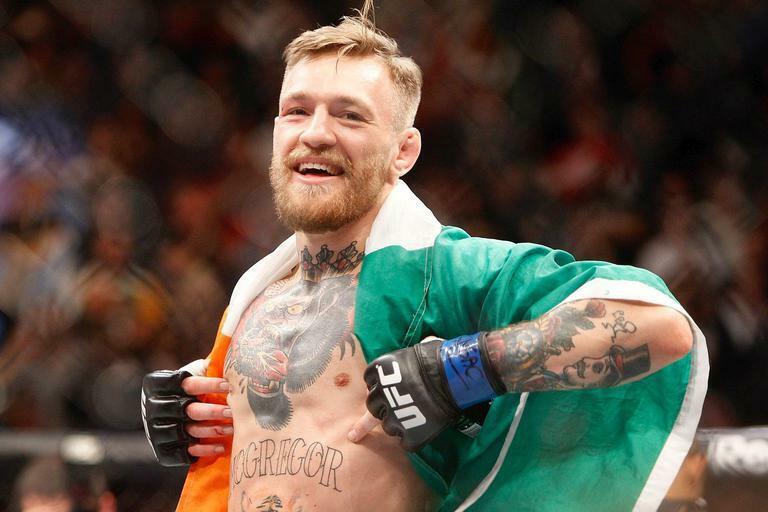 UFC commentator and former Cage Warriors play-by-play man John Gooden shares some fond memories of his time calling Cage Warriors shows, including the time he took a knee from Conor McGregor. 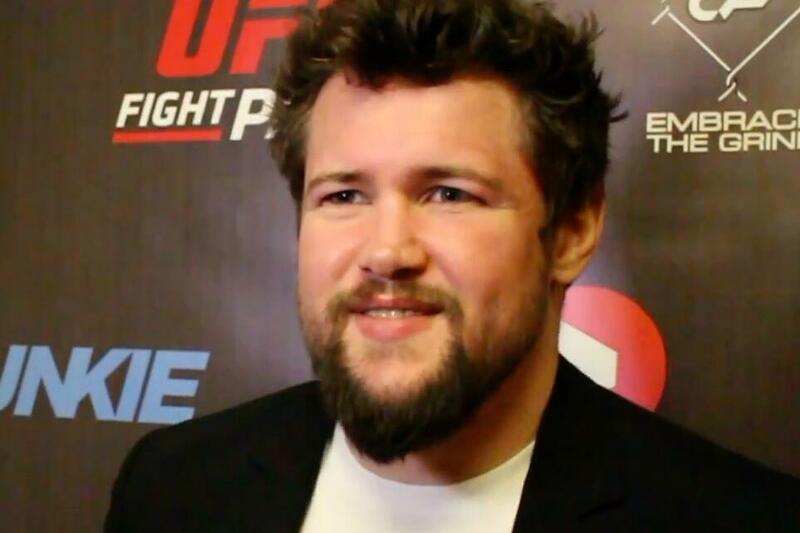 Danish welterweight star and former Cage Warriors welterweight champion Nicolas Dalby chats to Simon Head before taking the microphone as the promotion's guest analyst at Cage Warriors 80 in London. Bellator president Scott Coker chats with reporters at the Bellator 179 presser in London, England. 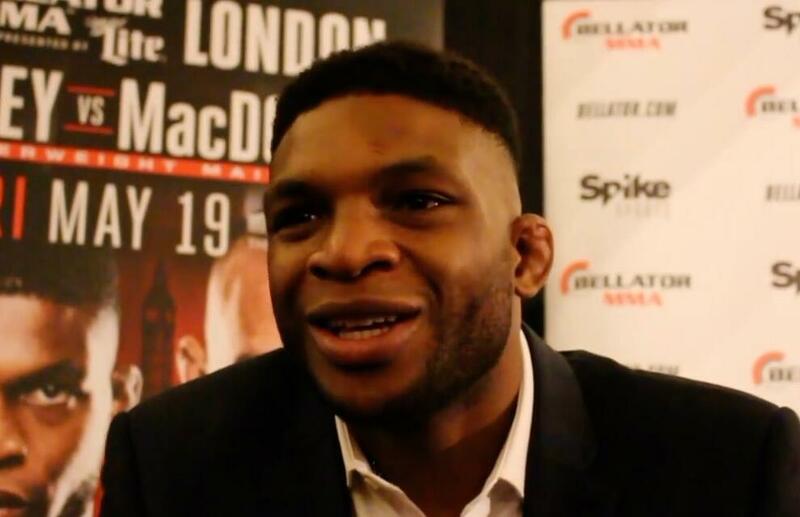 Hard-hitting British welterweight Paul Daley chats with Simon Head in London ahead of his main event bout with Rory MacDonald at Bellator 179. Simon Head chats with British welterweight star Michael 'Venom' Page at the Bellator 179 presser in London. 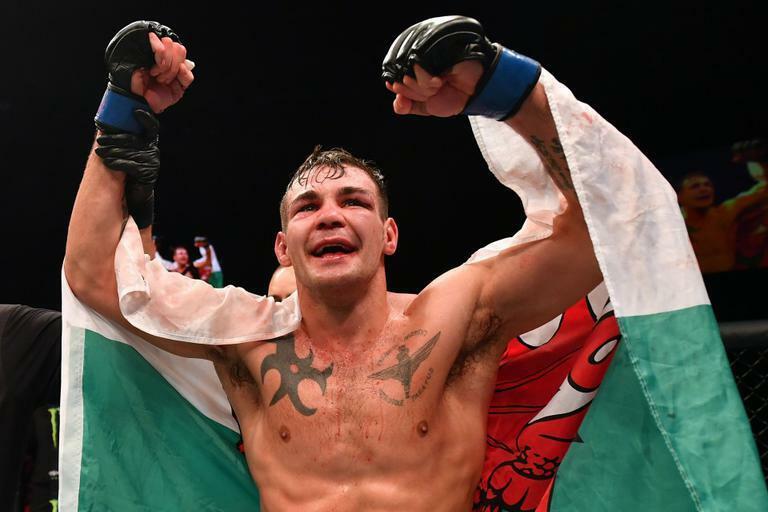 Welsh middleweight star Jack 'Hammer' Marshman catches up with Simon Head as he reflects on his successful Octagon debut at UFC Fight Night in Belfast, and discusses his options moving forward on the world stage. Welsh bantamweight Brett Johns chats to Simon Head after his emotional UFC debut victory in in Belfast, Northern Ireland. 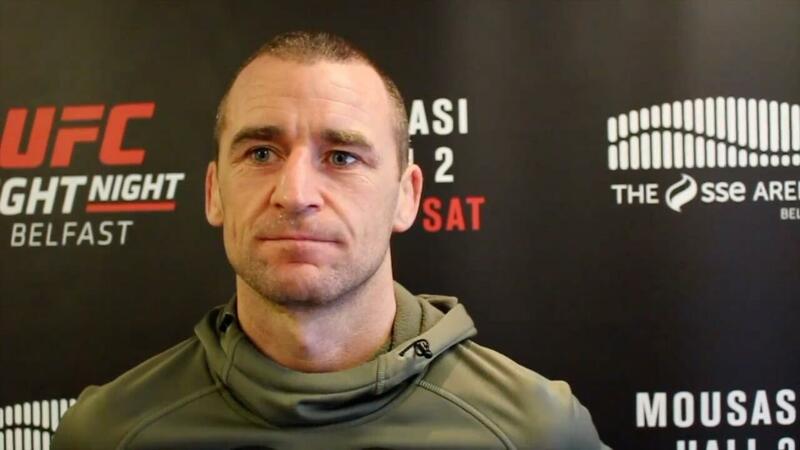 Irish flyweight star Neil Seery chats to Simon Head after learning that his retirement bout with Ian McCall had fallen through due to his opponent falling ill on weigh-in day. 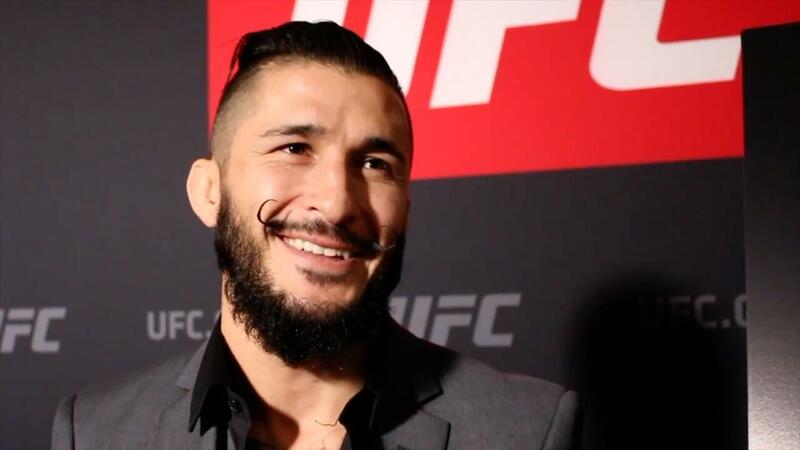 Following the news of Ian McCall's late withdrawal from UFC Belfast, Brad Pickett tells me his offer to step in was turned down by the UFC. 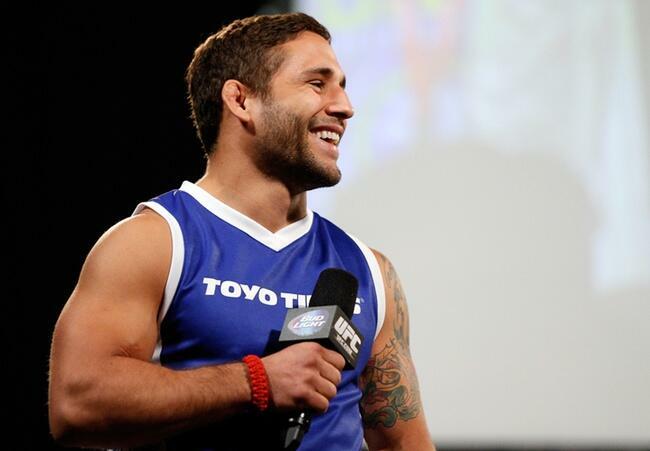 He also chats about his upcoming bout with another retiring fighter - Urijah Faber. 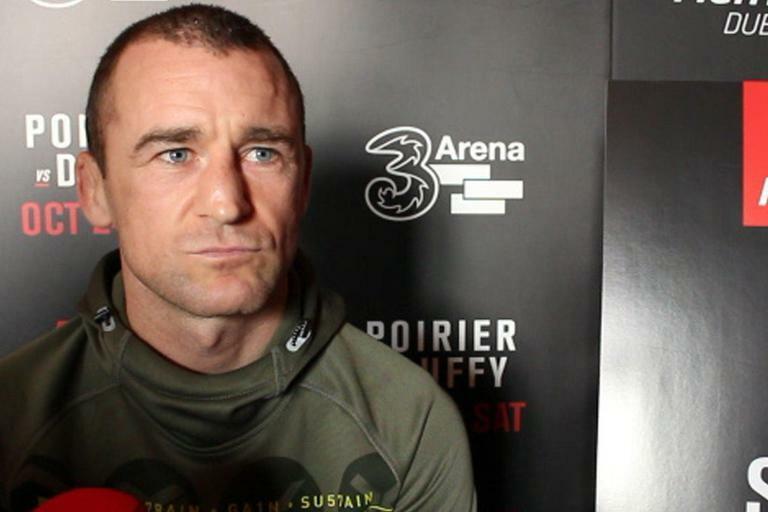 Irish flyweight favourite Neil '2-Tap' Seery chats with Simon Head ahead of his retirement bout at UFC Fight Night in Belfast. Uriah 'Primetime' Hall chats with reporters at the UFC Belfast media day event at the SSE Arena. 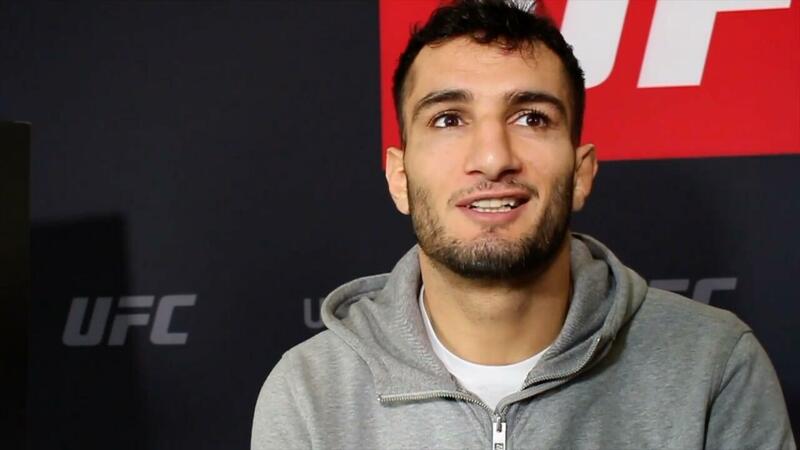 Dutch middleweight star Gegard Mousasi chats to Simon Head ahead of his main event bout with Uriah Hall in Belfast. 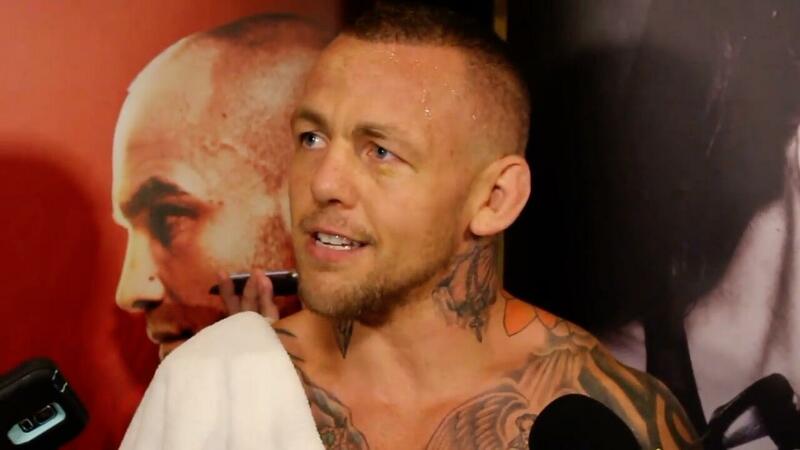 Lightweight Ross 'The Real Deal' Pearson chats with Simon Head on Ultimate Media Day in Belfast. 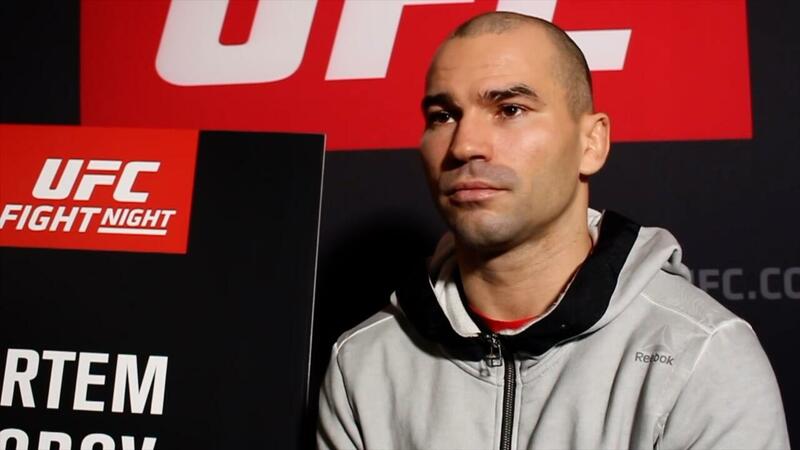 'The Russian Hammer' Artem Lobov chats to Simon Head at UFC Fight Night Belfast Ultimate Media Day. 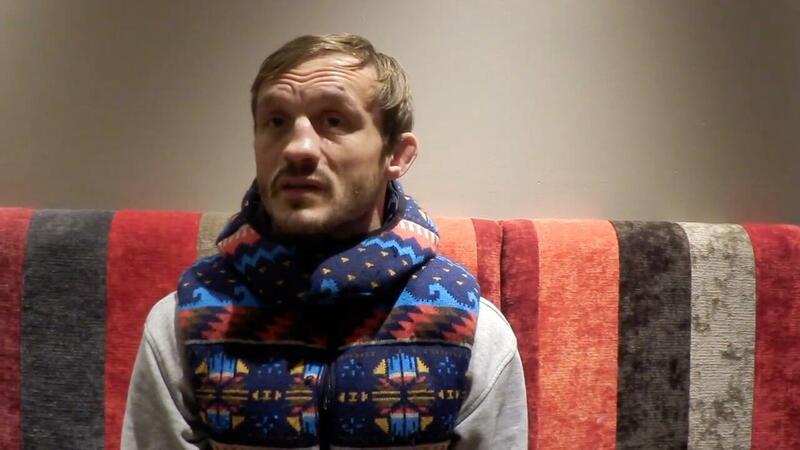 Flyweight contender Ian 'Uncle Creepy' McCall talks with Simon Head about his return from injury and the succession of setbacks that left him on the shelf. 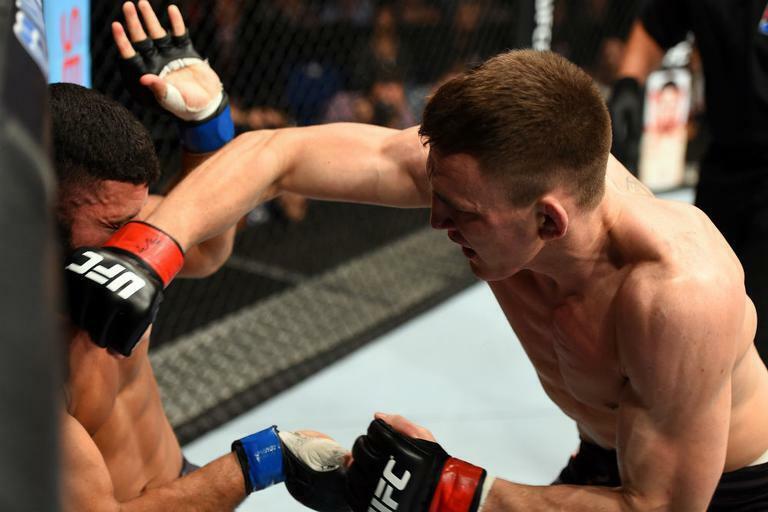 Simon Head handed Stephen 'Wonderboy' Thompson his selfie camera so the welterweight contender could send a message to the fans after his co-main event draw with champion Tyron Woodley at UFC 205 in New York. 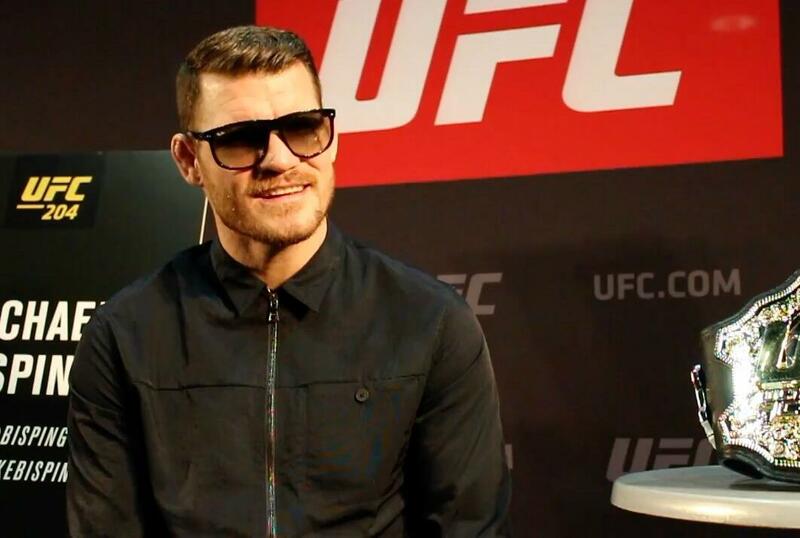 Michael Bisping chats with Simon Head and assembled media reporters in New York City just after the UFC 205 pre-fight press conference. 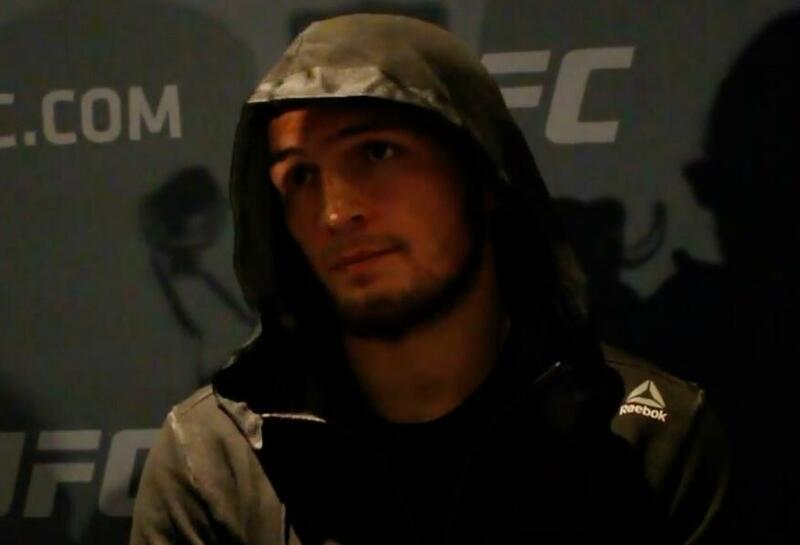 Undefeated Russian lightweight star Khabib Nurmagomedov rails against the UFC's matchmaking policy ahead of his bout with Michael Johnson at UFC 205 in New York. 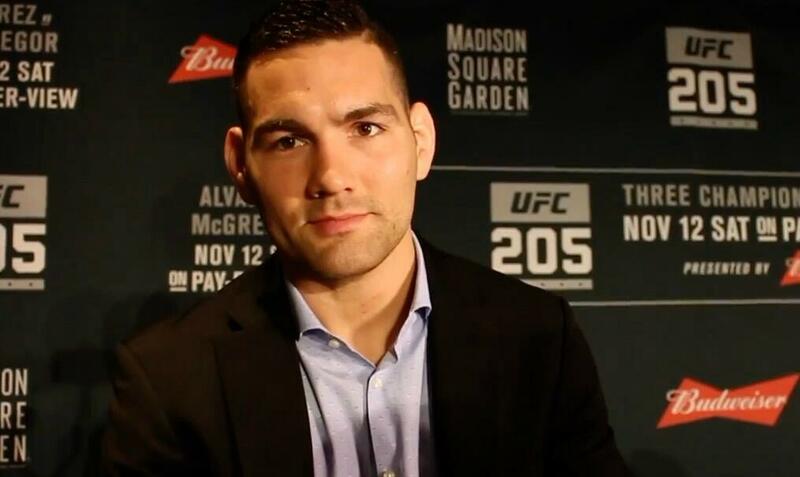 Former UFC middleweight champion Chris Weidman chats with reporters ahead of his bout with Yoel Romero at UFC 205 at Madison Square Garden in New York City. Miesha Tate chats with reporters during UFC 205 Ultimate Media Day at Madison Square Garden in New York. 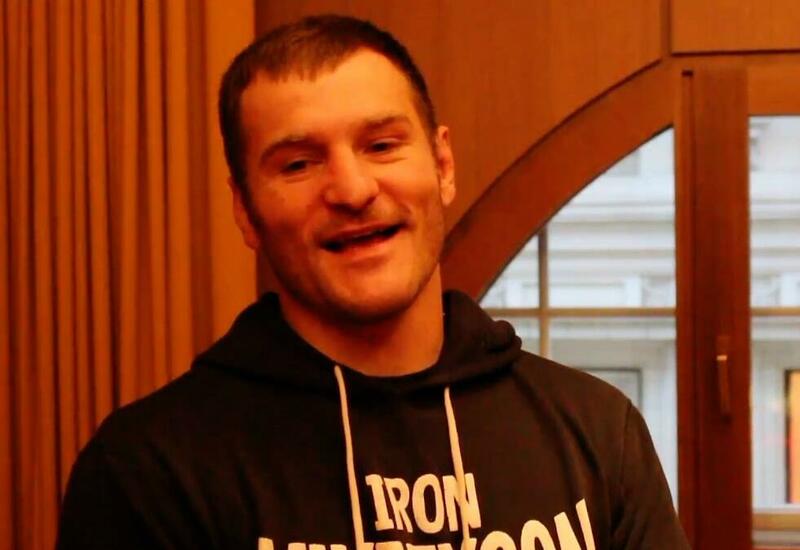 Newly-crowned UFC heavyweight champion Stipe Miocic chats with Simon Head during a flying visit to London. 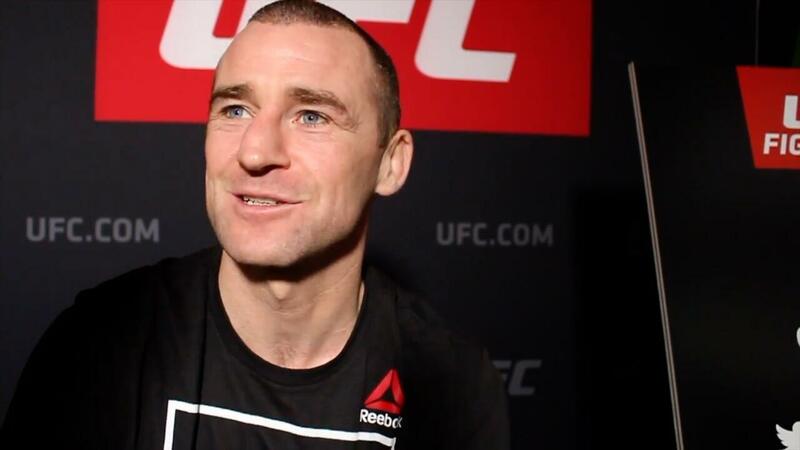 Irish flyweight star Neil Seery is set to call it a day after UFC Belfast, so why not give the popular fighter a main card send-off. 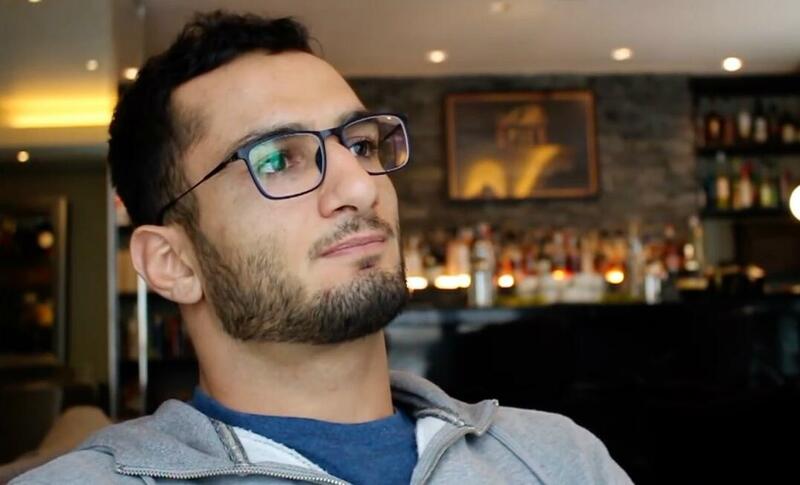 Dutch middleweight star Gegard Mousasi chats with Simon Head in London. 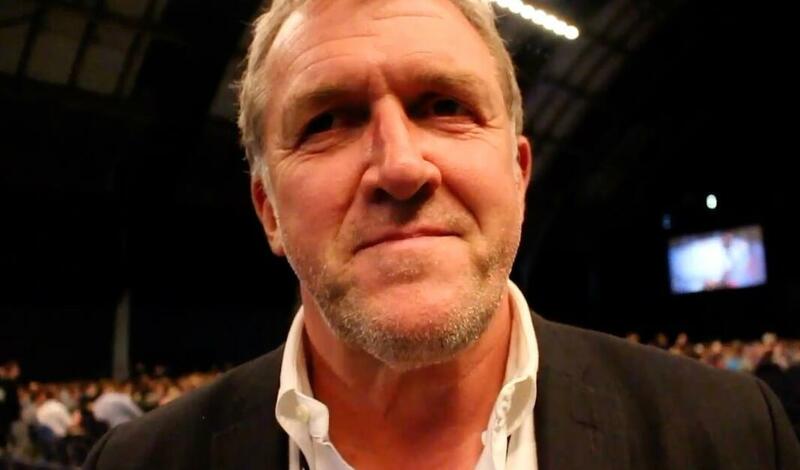 Simon Head catches up with UFC chief global brand officer Garry Cook at the UFC 204 weigh-ins at Manchester Central. 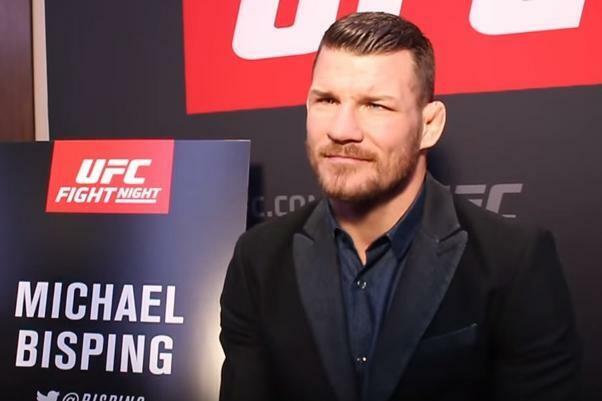 UFC middleweight champion of the world Michael 'The Count' Bisping chats to Simon Head ahead of his main event bout with Dan Henderson at UFC 204 in Manchester, England. 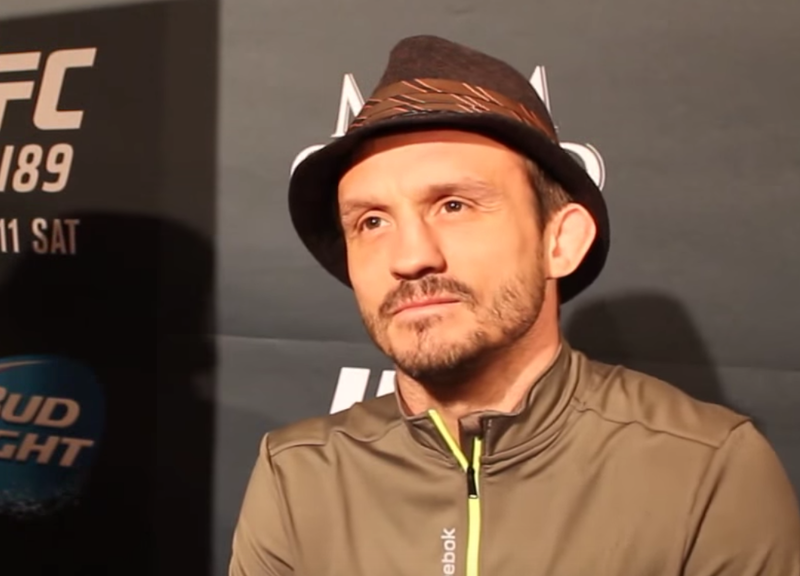 British bantamweight fan-favourite Brad 'One Punch' Pickett chats to Simon Head at Ultimate Media Day for UFC 204 in Manchester, England. Hard-hitting British light-heavyweight star Jimi 'Poster Boy' Manuwa chats to Simon Head at UFC 204 Ultimate Media Day in Manchester, England. 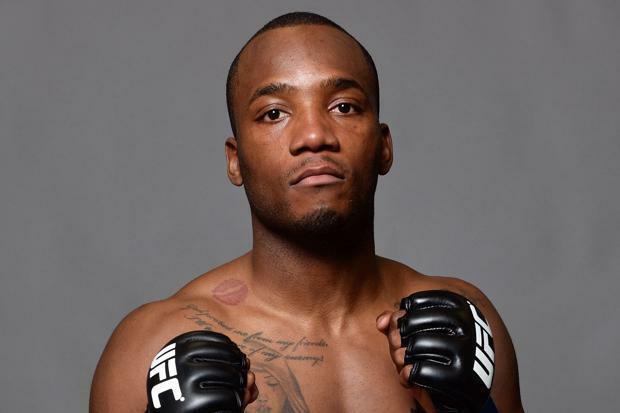 Rising British lightweight star Marc 'Bonecrusher' Diakiese chats with Simon Head ahead of his bout with Lucasz Sajewski at UFC 204 in Manchester, England. 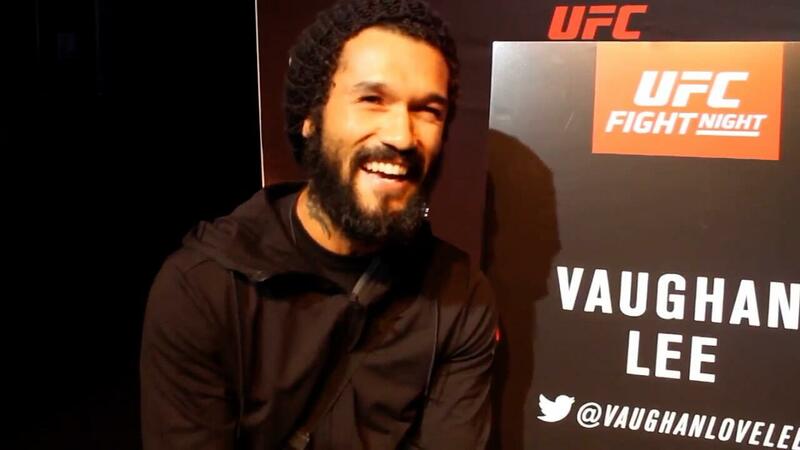 British welterweight Danny 'Hot Chocolate' Roberts chats to Simon Head at UFC 204 Ultimate Media Day in Manchester, England. 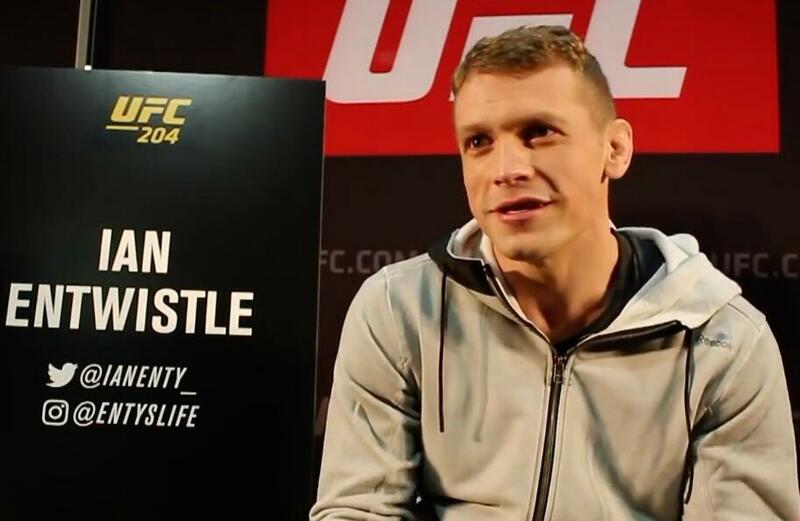 British bantamweight Ian Entwistle chats to Simon Head at the UFC 204 media day in Manchester, England. 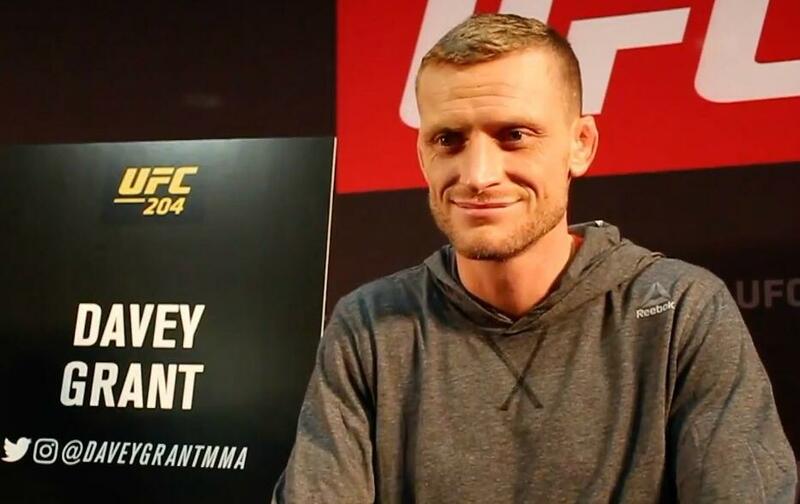 British bantamweight Davey Grant chats about his upcoming bout at UFC 204. 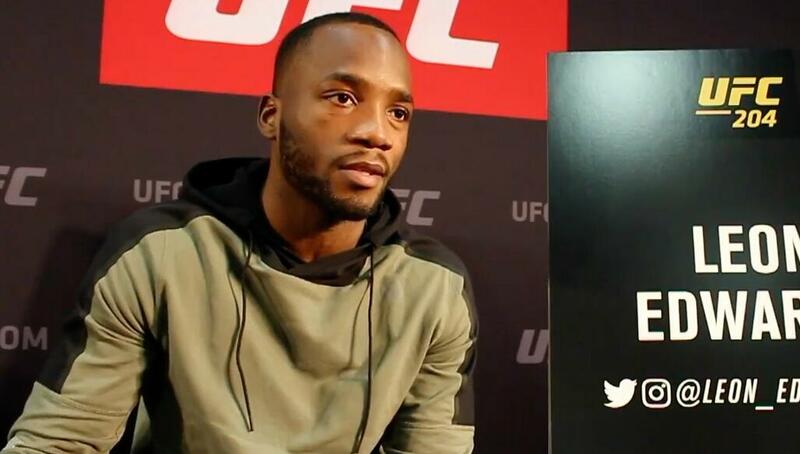 British welterweight star Leon 'Rocky' Edwards chats to Simon Head at the UFC 204 Ultimate Media Day in Manchester, England. 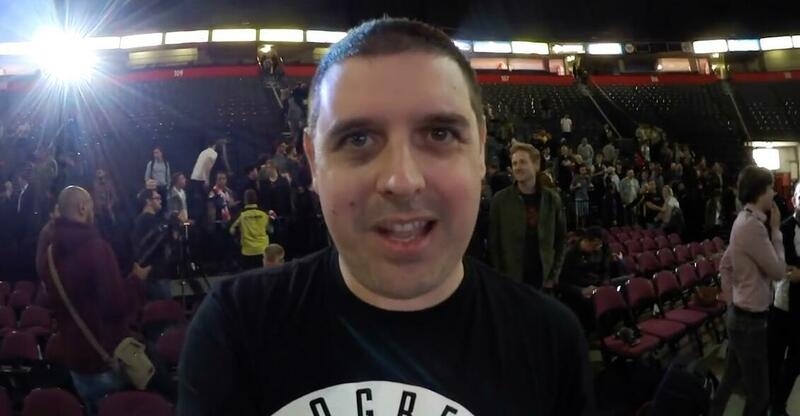 Check out the audio track as Simon Head took his selfie camera and got the British stars of UFC 204 to record selfie messages for the fans. 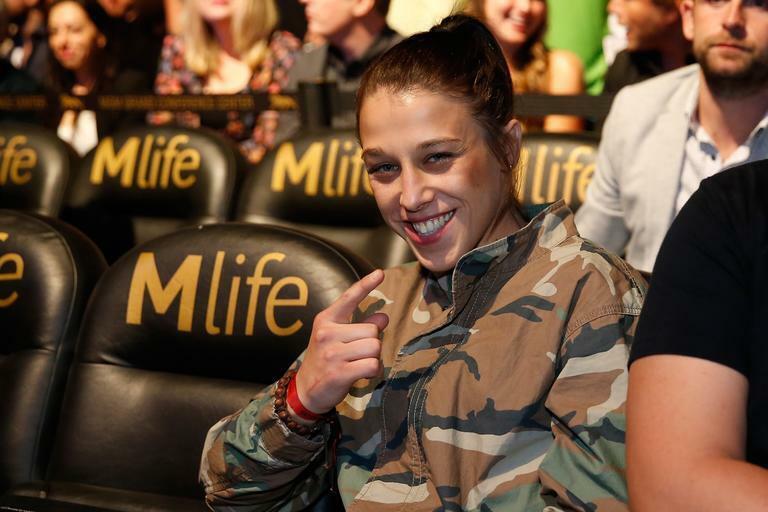 Recapping the best bits from the UFC 204 open workouts in Manchester, England. 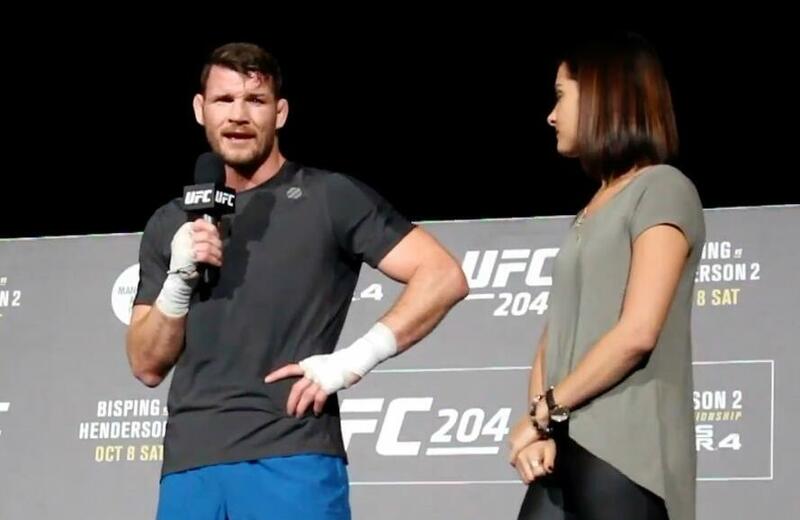 Michael Bisping addresses the crowd at the UFC 204 open workouts in Manchester. 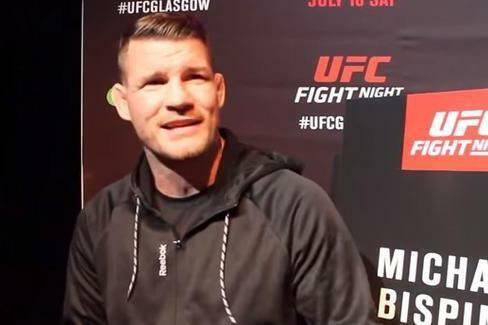 Simon Head and Steve Cook-Abbott present live reaction from cageside at the SSE Hydro for ACB 47: Braveheart. 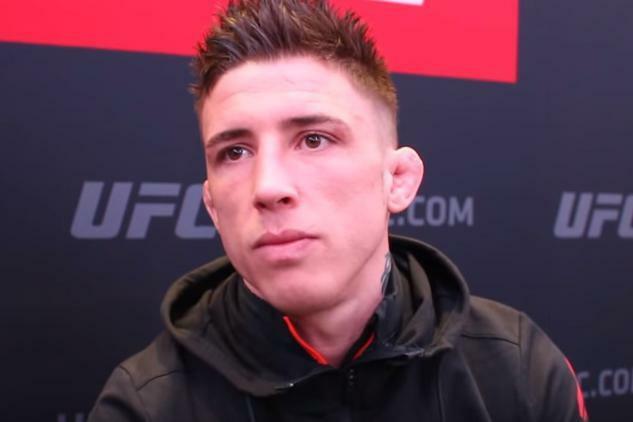 Northern Ireland's Norman Parke chats about his win at ACB 47, but says he's not yet ready for a return to the UFC. The British stars of ACB 47 send messages to the fans ahead of their respective bouts in Glasgow, Scotland. 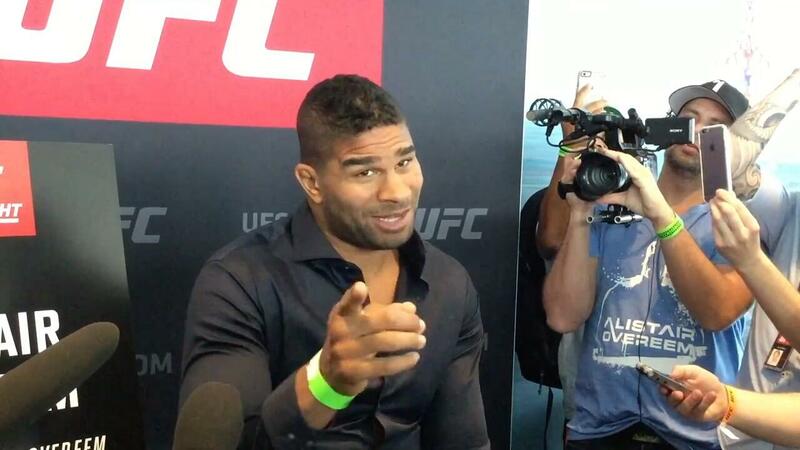 The stars of UFC Hamburg media day send their personal messages to the UK UFC fans. UFC vice president and general manager for EMEA James Elliott catches up with Simon Head at UFC Hamburg media day in Germany. 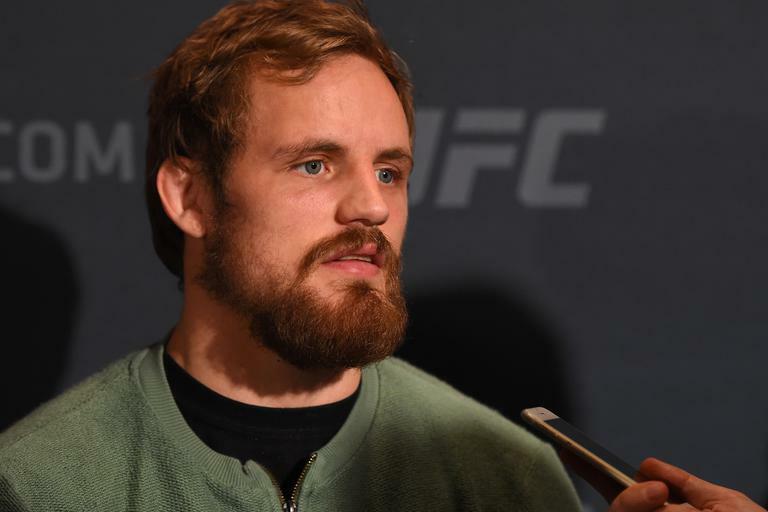 German lightweight favourite 'Sergeant' Nick Hein chats with Simon Head at Ultimate Media Day ahead of his bout at UFC Fight Night in Hamburg, Germany. Peter Sobotta explains why his dual nationality (German and Polish) has caused him to represent another country from now on in the UFC. 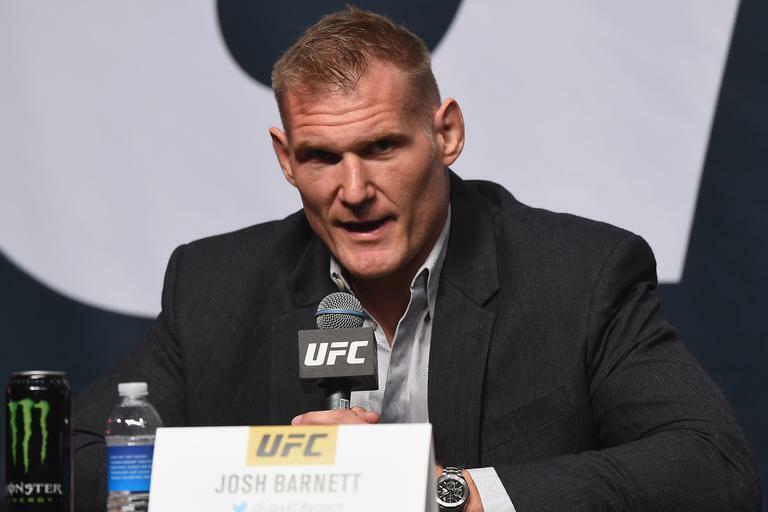 Former UFC heavyweight champion and sometime pro wrestler Josh 'The Warmaster' Barnett chats to Simon Head about his catch wrestling background. 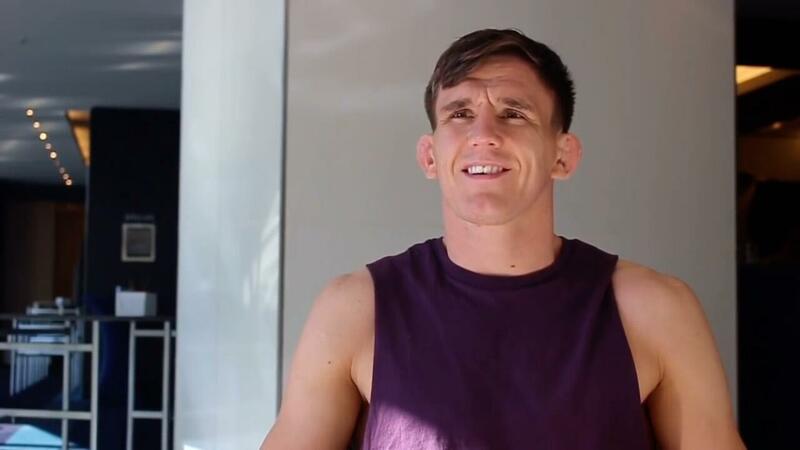 British middleweight Scott Askham chats to Simon Head ahead of his bout at UFC Fight Night in Hamburg, Germany. 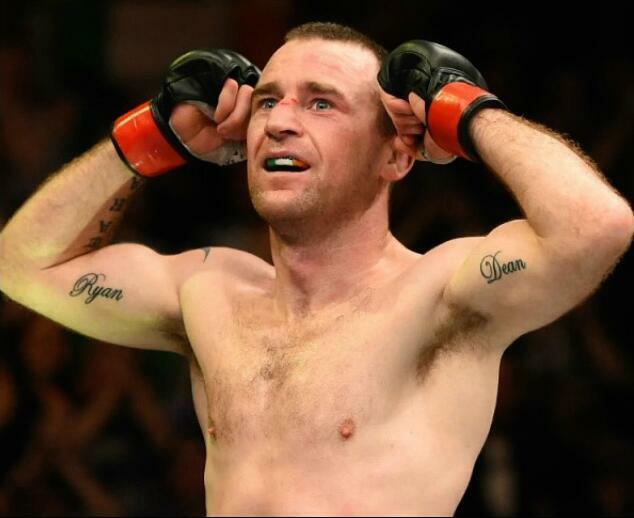 UK MMA stalwart 'Judo' Jimmy Wallhead chats to Simon Head ahead of his UFC debut in Hamburg, Germany. 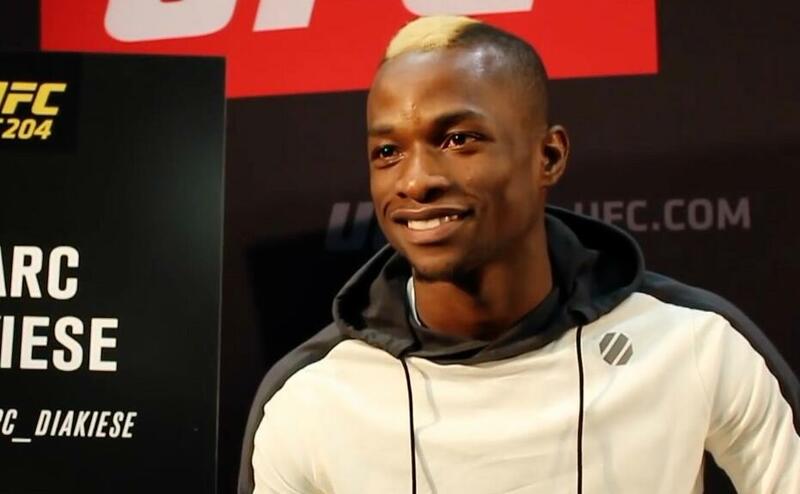 We sat down with new UFC signing Marc Diakiese, who was in Hamburg to help corner teammate Scott Askham at UFC Fight Night. 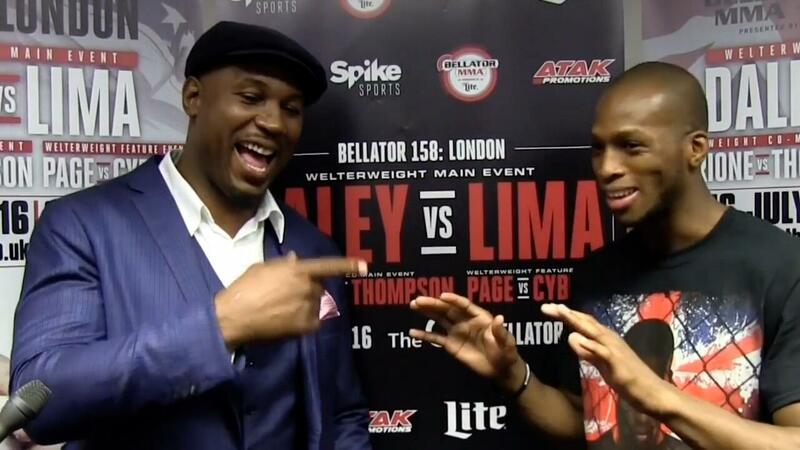 Former undisputed heavyweight champion of the world Lennox Lewis hails the skills of British welterweight MMA star Michael 'Venom' Page at Bellator London. 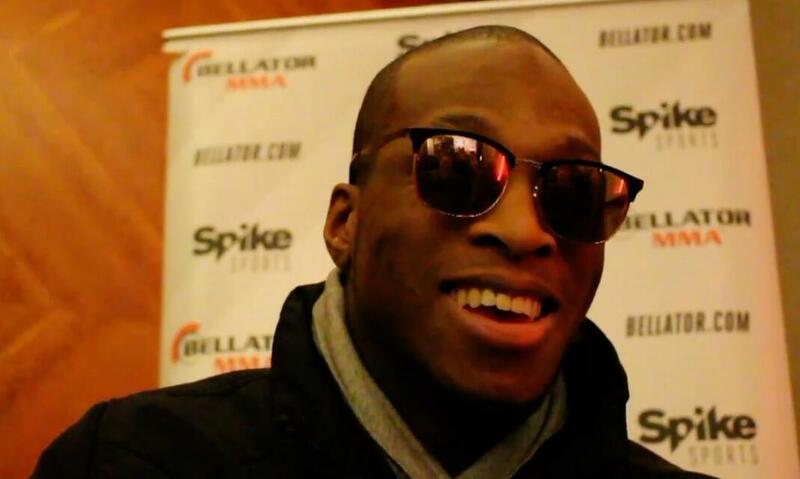 British welterweight superstar Michael 'Venom' Page chats to the press after his spectacular knockout of Evangelista 'Cyborg' Santos at Bellator London. 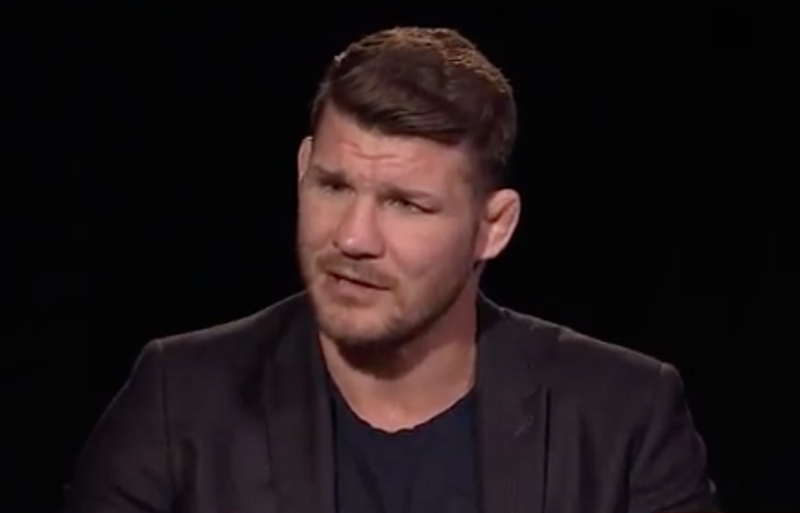 UFC middleweight champion Michael 'The Count' Bisping chats about his upcoming fight with his old nemesis Dan Henderson at UFC 204 in Manchester. 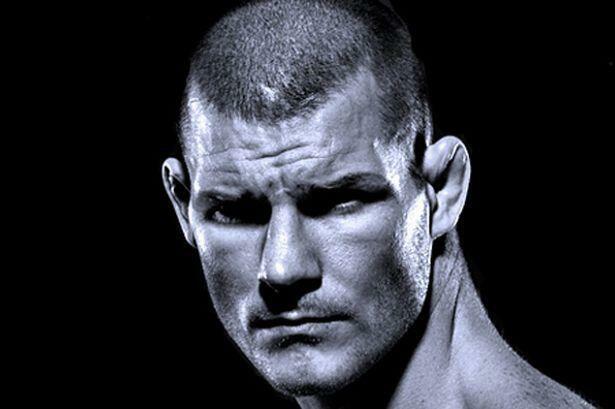 Ahead of UFC 202, Dan Henderson chats to Simon Head about his upcoming rematch with middleweight champ Michael Bisping at UFC 204. 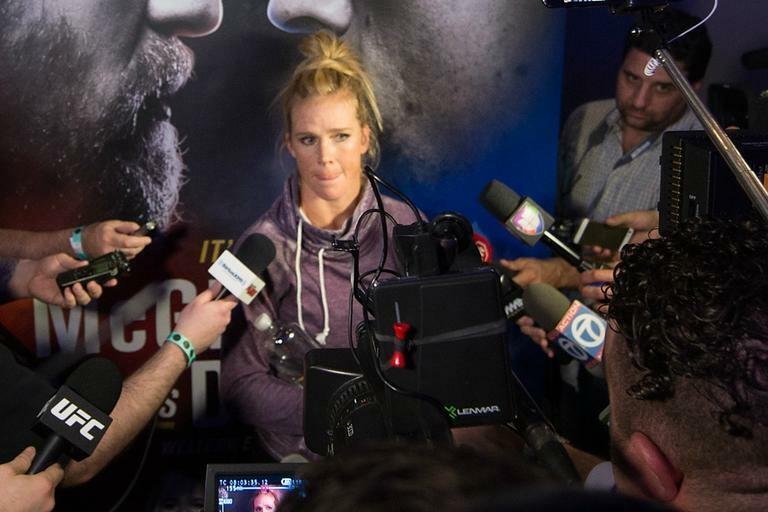 Recapping the events of UFC 202 Ultimate Media Day and the open workouts from Las Vegas, Nevada. 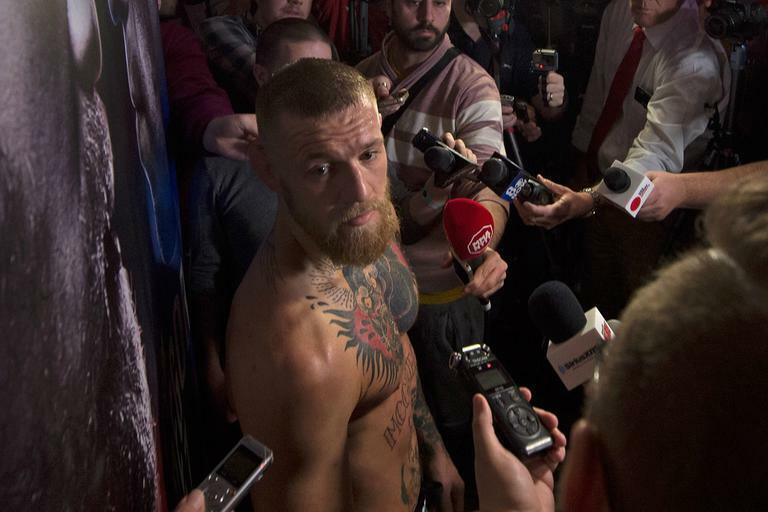 Simon Head and John Morgan travel back from the UFC 202 press conference, where a melee ensued between main event stars Conor McGregor and Nate Diaz. 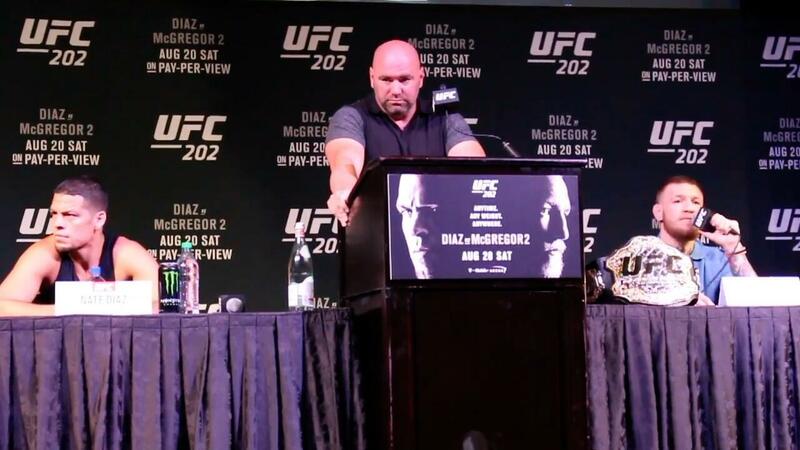 Recapping the crazy scenes at the UFC 202 press conference at the David Copperfield Theatre at the MGM Grand, Las Vegas. Highlights from International Fight Week in Las Vegas. World boxing champion turned mixed martial artist Ana Julaton chats from her Las Vegas gym. 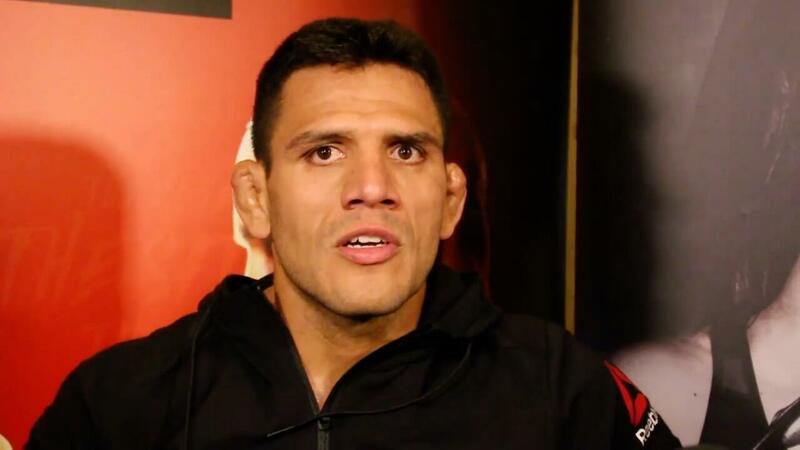 UFC lightweight world champion Rafael dos Anjos speaks with reporters at the UFC Vegas open workouts at the MGM Grand casino in Las Vegas. 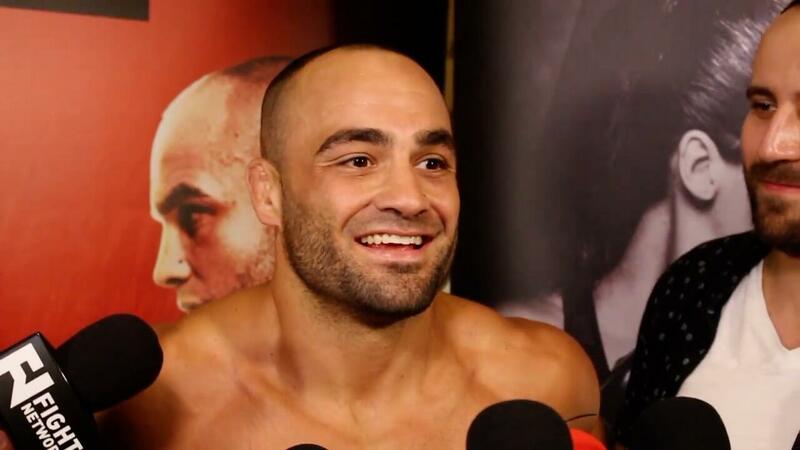 Former Bellator lightweight champion Eddie Alvarez chats to the media ahead of his tilt at the UFC lightweight title at UFC Fight Night in Las Vegas. 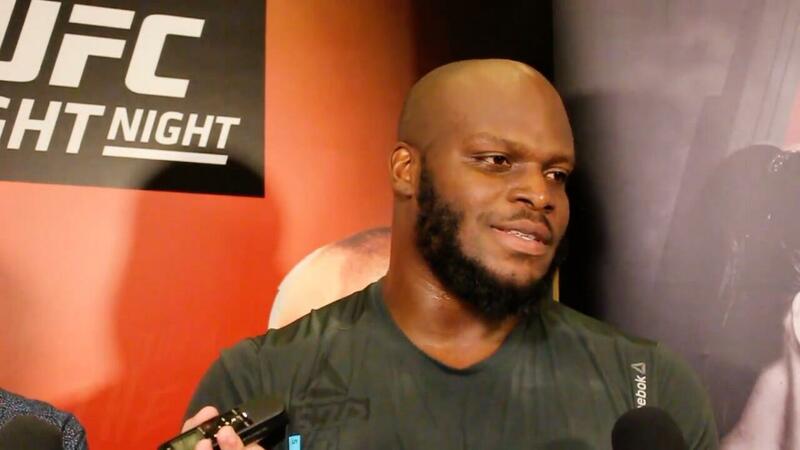 'The Black Beast' Derrick Lewis chats with reporters at the UFC Vegas open workouts in Las Vegas. 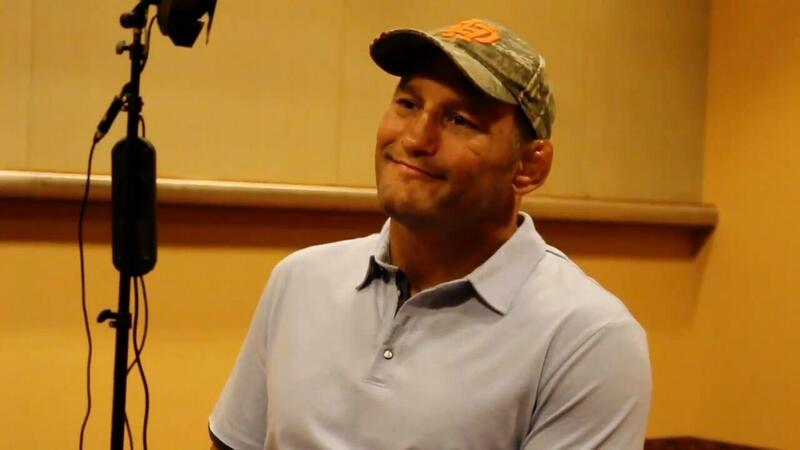 Roy 'Big Country' Nelson chats with the media after his UFC Vegas open workout session at the MGM Grand in Las Vegas. 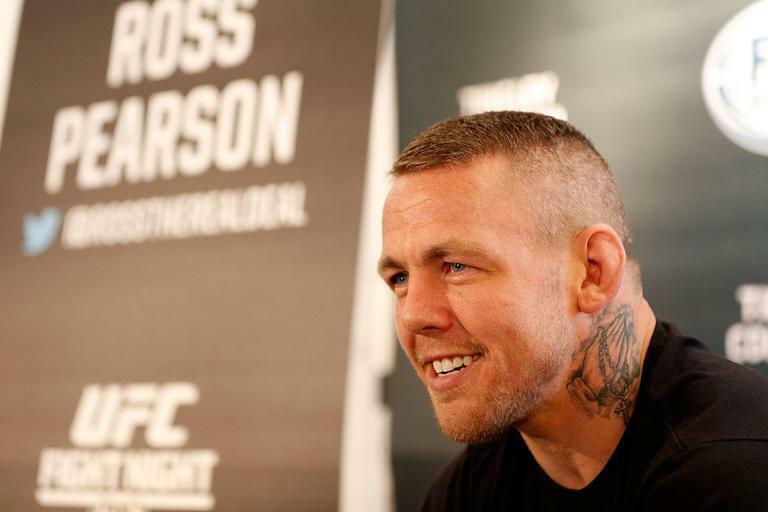 British lightweight Ross 'The Real Deal' Pearson chats to reporters at the TUF Finale / UFC Vegas open workouts in Las Vegas, Nevada. 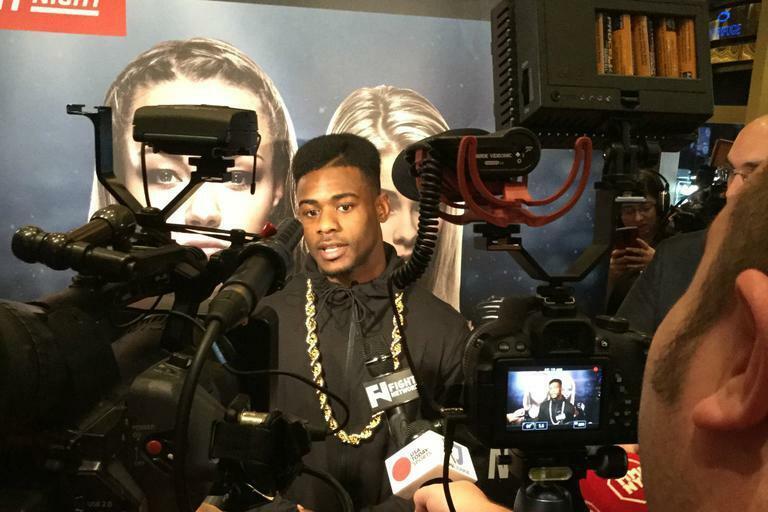 Former Bellator lightweight champion Will Brooks talks to the press after working out for the fans at the MGM Grand in Las Vegas. Defending UFC strawweight world champ chats to the press at the TUF Finale / UFC Vegas open workouts on the MGM Grand casino floor in Las Vegas. Brazilian strawweight title challenger chats to the media at the TUF Finale / UFC Vegas open workouts at the MGM Grand in Las Vegas. 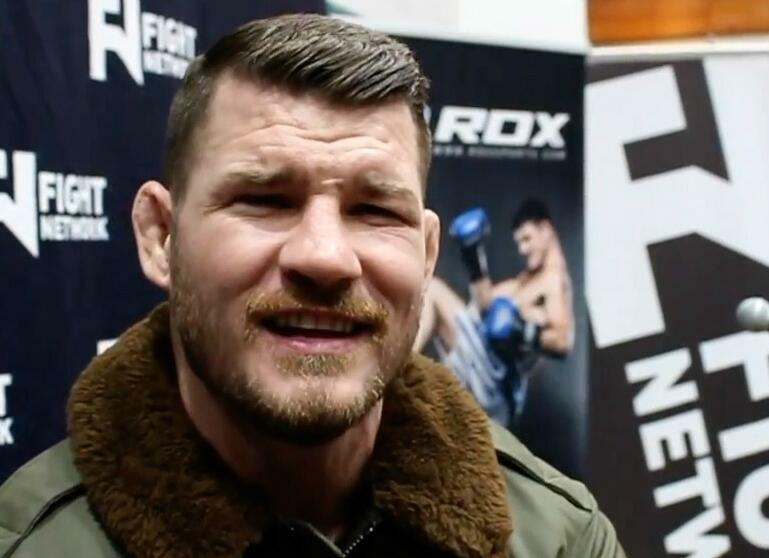 Simon Head catches up with newly-crowned UFC middleweight champion Michael Bisping during his whistlestop visit to the UK. 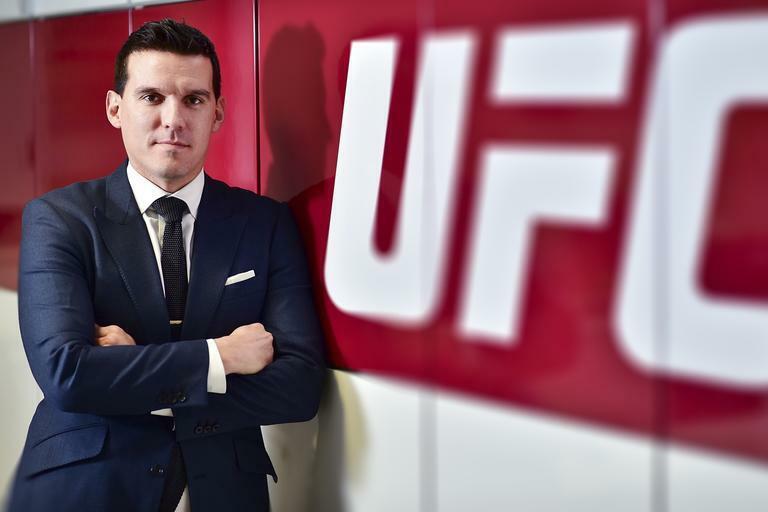 Ahead of UFC 200 and International Fight Week, Simon Head sits down for a catch-up with vice president and general manager of UFC EMEA, James Elliott. 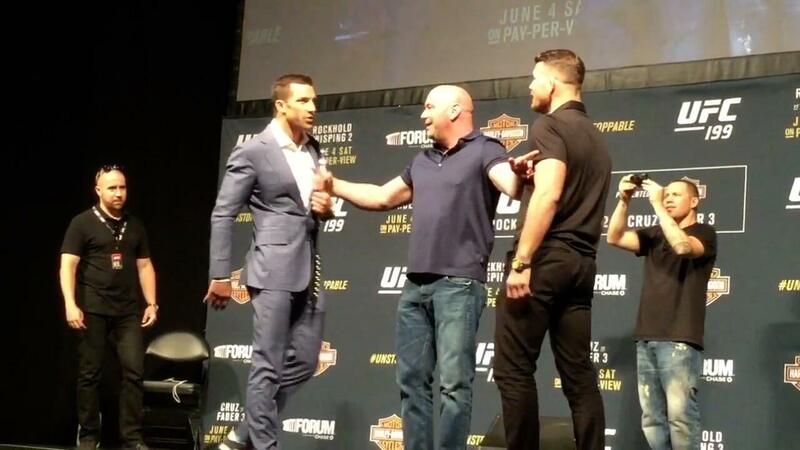 Simon Head and John Morgan deliver their reaction to a dramatic night at The Forum in Inglewood, California, as Michael Bisping stunned Luke Rockhold to win the UFC middleweight title at UFC 199. 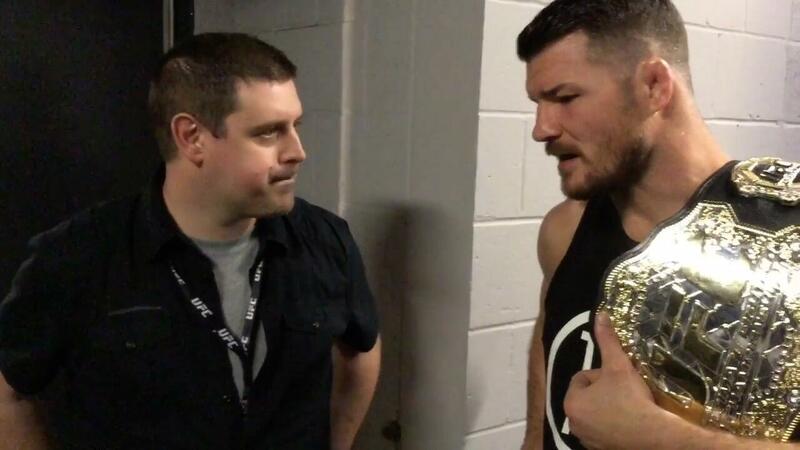 Simon Head goes backstage to chat with Michael 'The Count' Bisping after his knockout of Luke Rockhold saw him crowned the undisputed UFC middleweight champion of the world at UFC 199 in Los Angeles. Highlights from Simon Head's Facebook Live broadcast of UFC 199 Ultimate Media Day at The Forum in Inglewood, California. 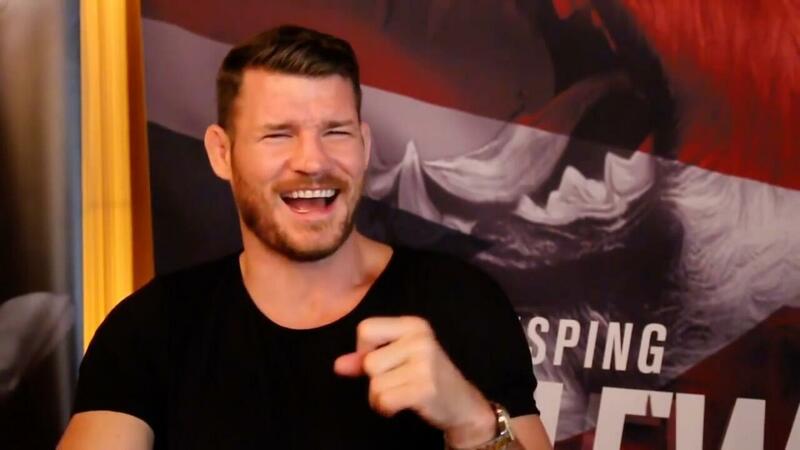 British middleweight contender Michael Bisping says he plans on stepping in on two weeks' notice and shocking the world by knocking out Luke Rockhold at UFC 199. 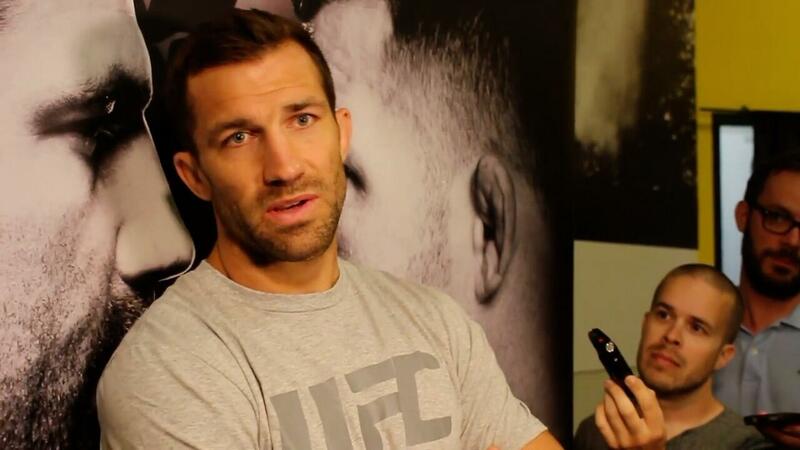 Defending UFC middleweight champion of the world Luke Rockhold says he'll make easy work of Michael Bisping in the main event of UFC 199 in Los Angeles. 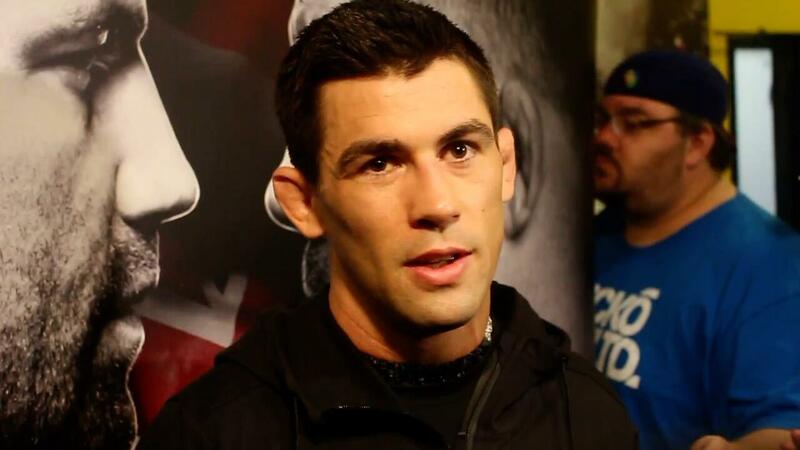 Undisputed UFC bantamweight champion of the world Dominick Cruz chats to the press at the UFC 199 open workouts at the UFC Gym in Torrance, California. 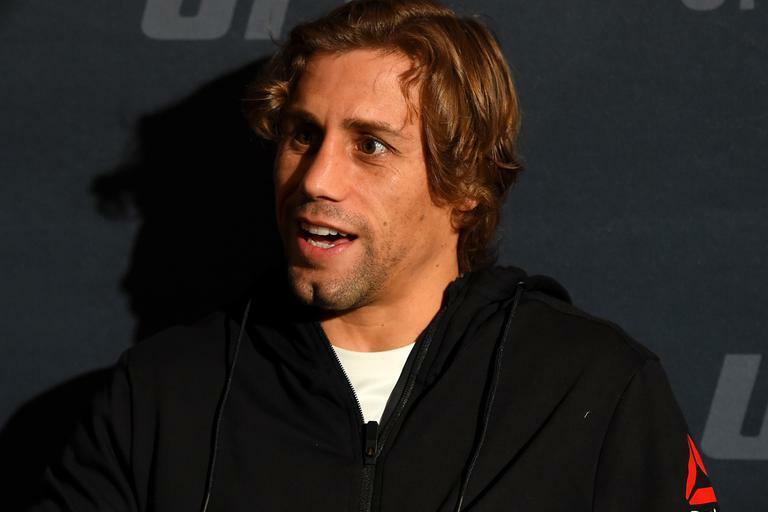 'The California Kid' Urijah Faber chats with the media at the UFC 199 open workouts in Los Angeles. 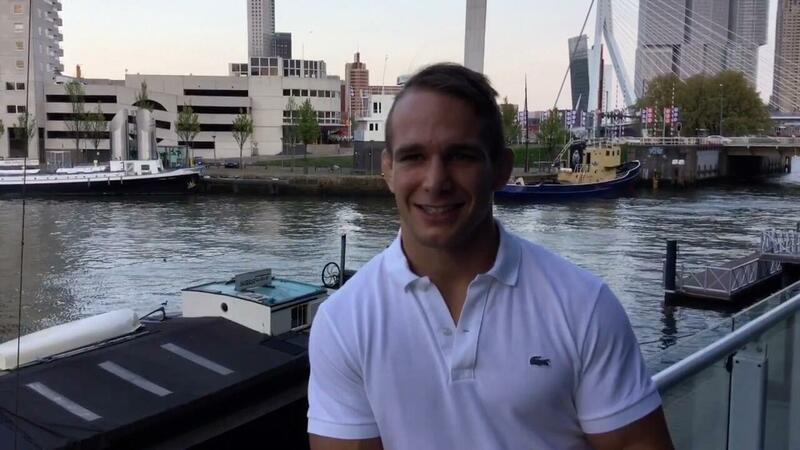 German lightweight star Nick Hein chats with Simon Head at the fighter hotel in Rotterdam after being forced off the card due to injury. 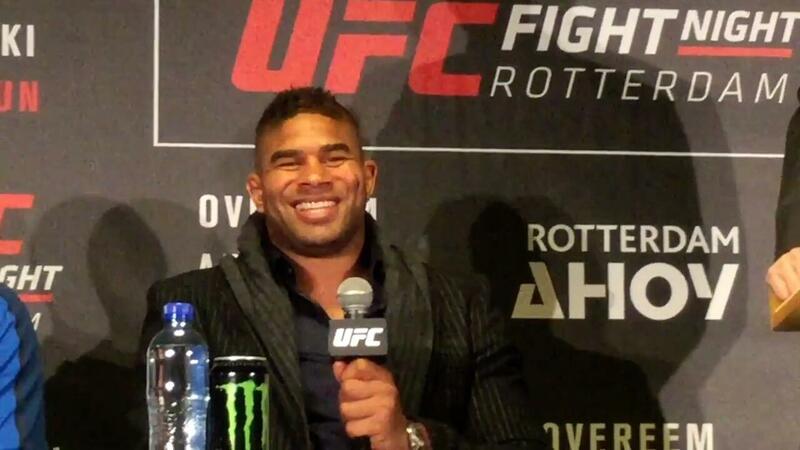 Behind the scenes during Ultimate Media Day at UFC Rotterdam. Catching up with some of the stars of UFC Rotterdam at the fighter hotel in the Netherlands. 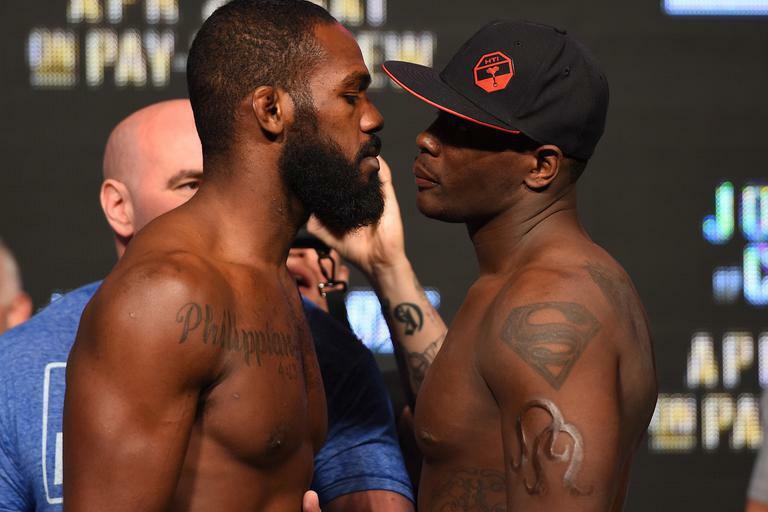 Simon Head runs down the fight card ahead of UFC 197: Jones v Saint-Preux at the MGM Grand Garden Arena, Las Vegas. 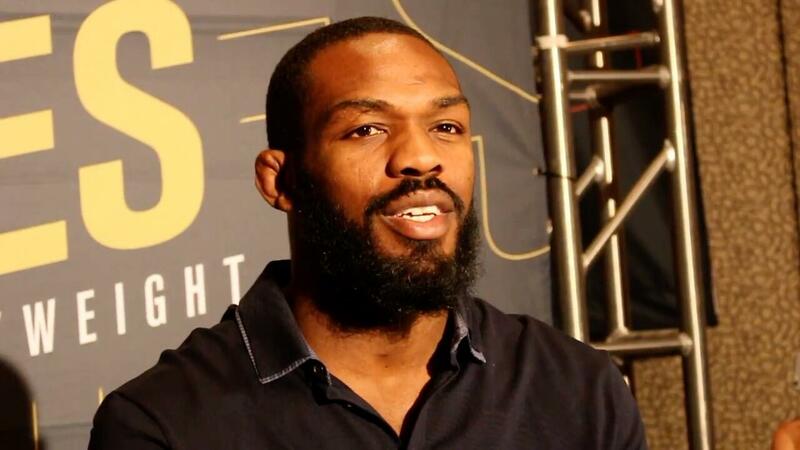 Former UFC light-heavyweight champion Jon Jones chats with reporters at the UFC 197 Ultimate Media Day at the MGM Grand in Las Vegas. 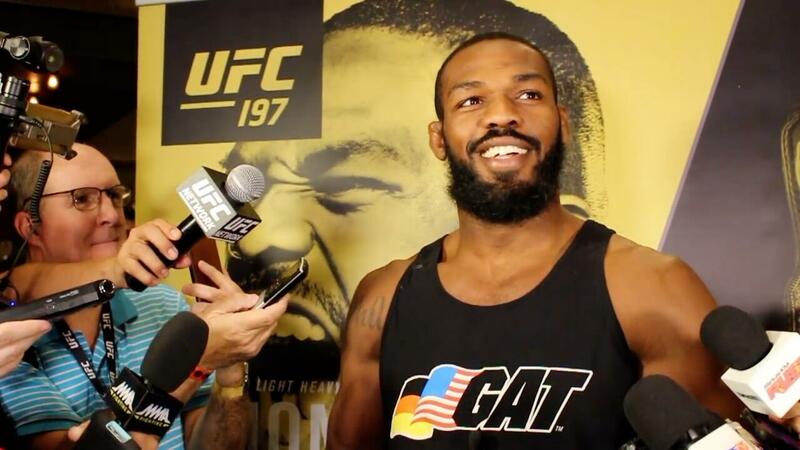 Former undisputed UFC light-heavyweight champion Jon 'Bones' Jones faces the press at the UFC 197 open workouts at the MGM Grand hotel in Las Vegas. Undisputed UFC flyweight champion of the world Demetrious 'Mighty Mouse' Johnson chats to the media at the UFC 197 open workouts at the MGM Grand in Las Vegas. 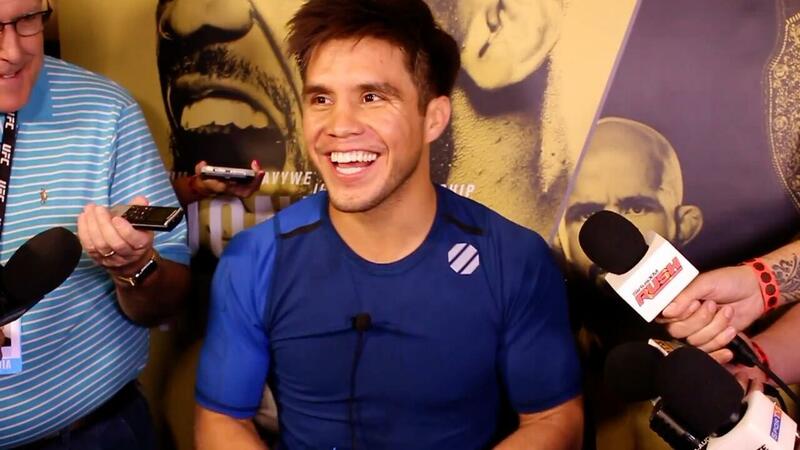 Number-one flyweight contender and Olympic gold medallist Henry 'The Messenger' Cejudo chats to the press at the UFC 197 open workouts in Las Vegas. 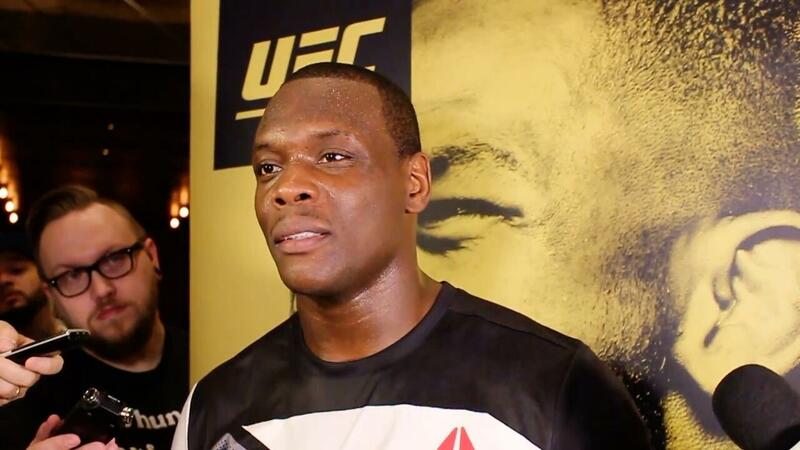 Light-heavyweight contender Ovince 'OSP' Saint-Preux chats to the assembled press at the UFC 197 open workouts at the MGM Grand in Las Vegas. 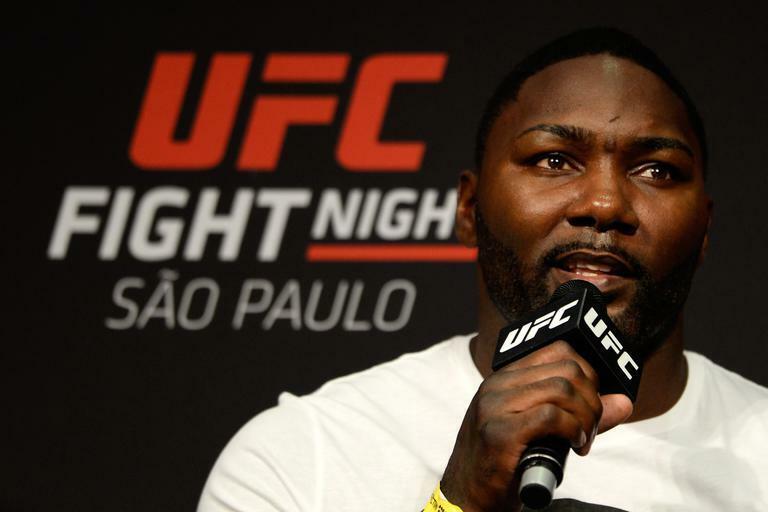 Simon Head previews UFC 197: Jones v Saint-Preux at the MGM Grand Garden Arena. 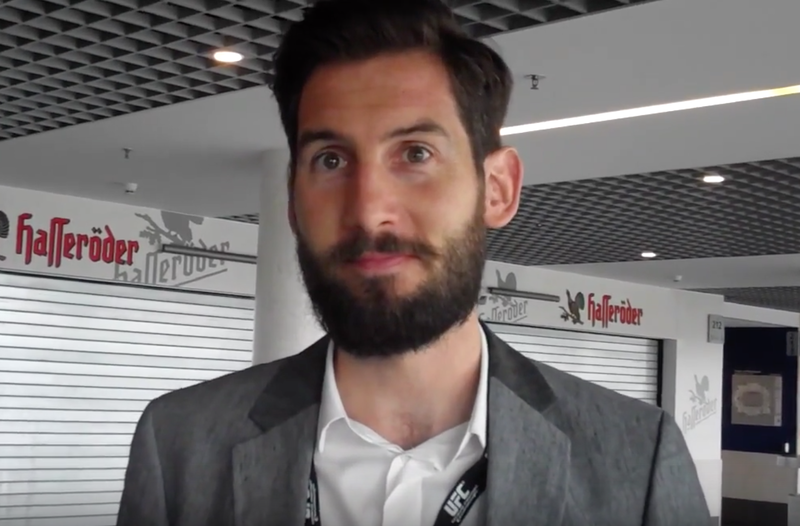 MMA journalist Simon Head reports from Octagonside in Zagreb before the post-fight press conference and an airport chat with MMA Junkie photographer Per Haljestam before heading home. 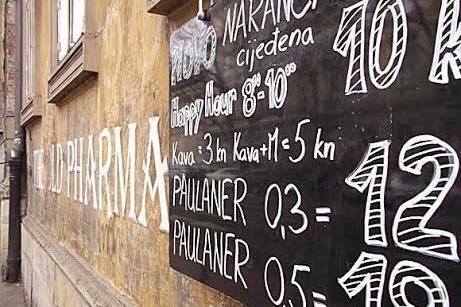 It's the penultimate day at UFC Zagreb, as MMA journalists Simon Head and John Morgan recap weigh-in day from a very loud pub in the heart of Croatia's capital city. 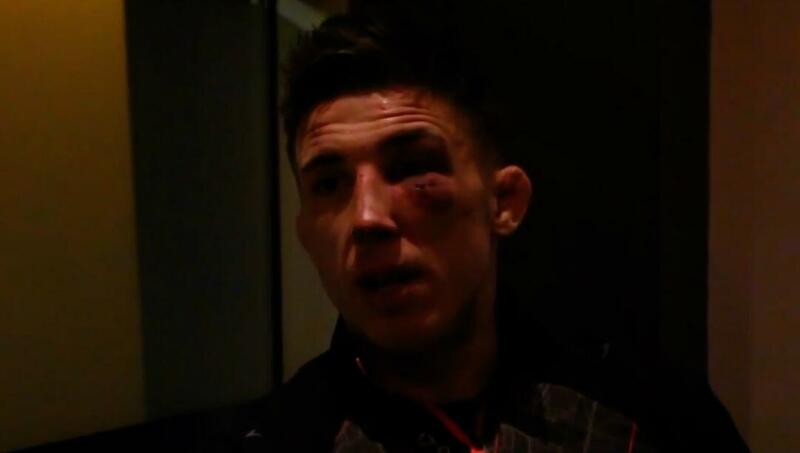 Simon Head checks in from Croatia with a stack of interviews from behind the scenes at the fighter hotel in Zagreb. 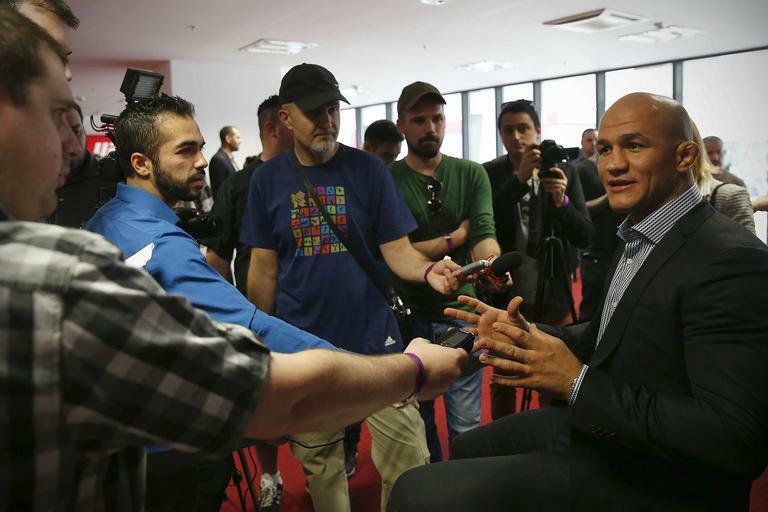 It's media day in Zagreb as MMA journalist Simon Head chats to the two men in the main event, heavyweight contender Ben Rothwell and former UFC heavyweight champion Junior dos Santos. 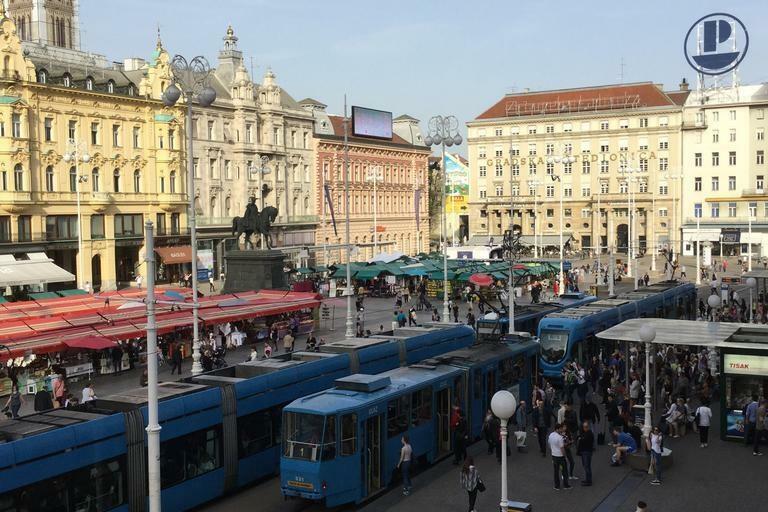 Simon Head checks in on Day 1 of UFC fight week in Croatia as he catches up with his US colleagues John Morgan and Kenny Hathaway from MMA Junkie/USA Today to chat all things MMA, podcasting and their hopes for UFC Zagreb. 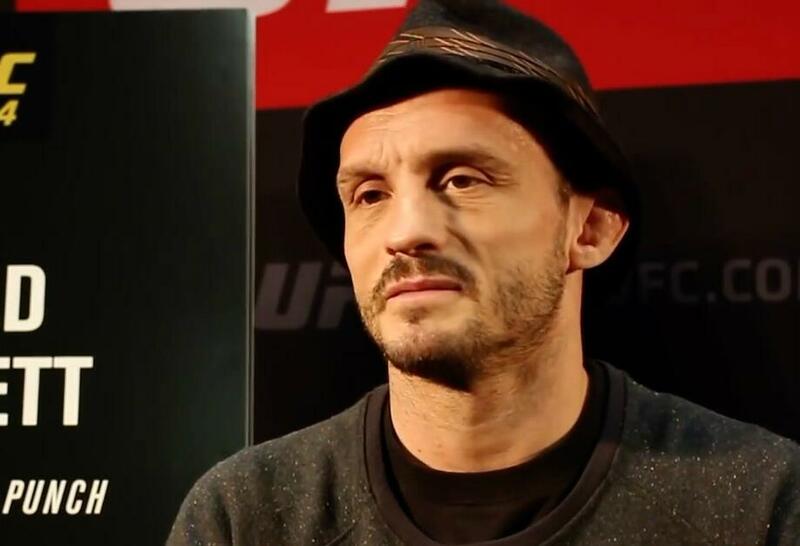 American Top Team coach and former world champion Mike Brown chats to Simon Head about his friend and teammate Brad 'One Punch' Pickett (pictured) about his win in London and his UFC future. 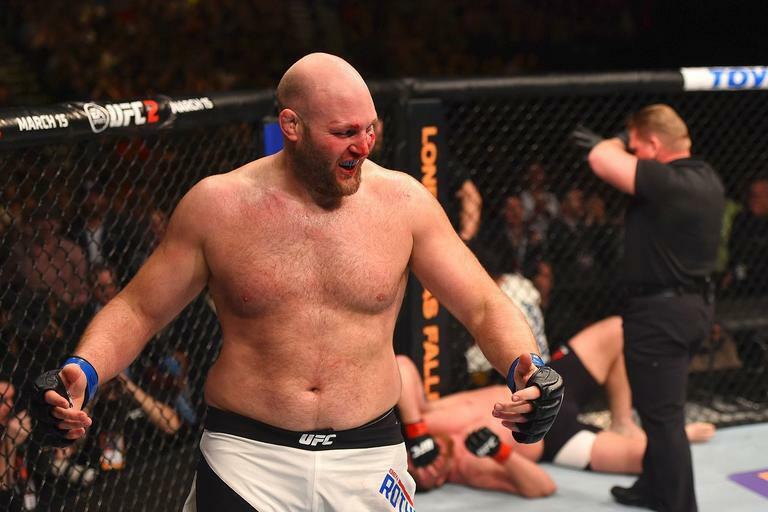 Simon Head chats to UFC heavyweight contender Ben Rothwell about his charge towards the UFC title and his famous submission move, the Gogo Choke. 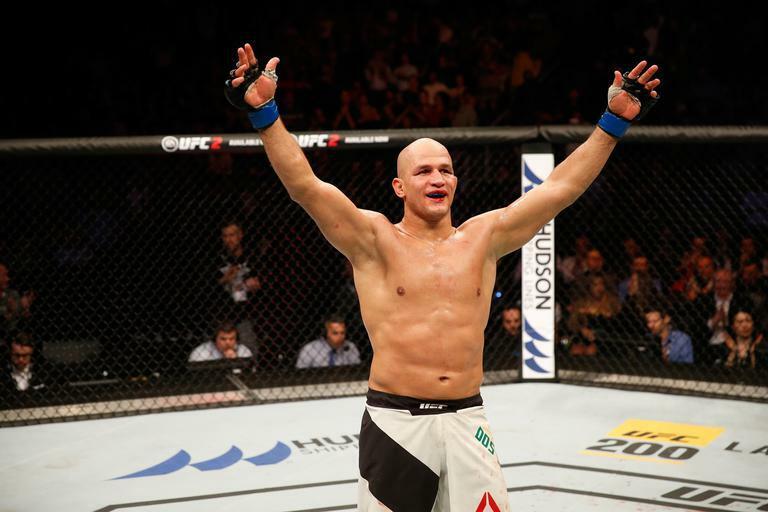 Simon Head chats to former UFC heavyweight champion of the world Junior dos Santos ahead of his bout with Ben Rothwell at UFC Fight Night in Zagreb, Croatia. 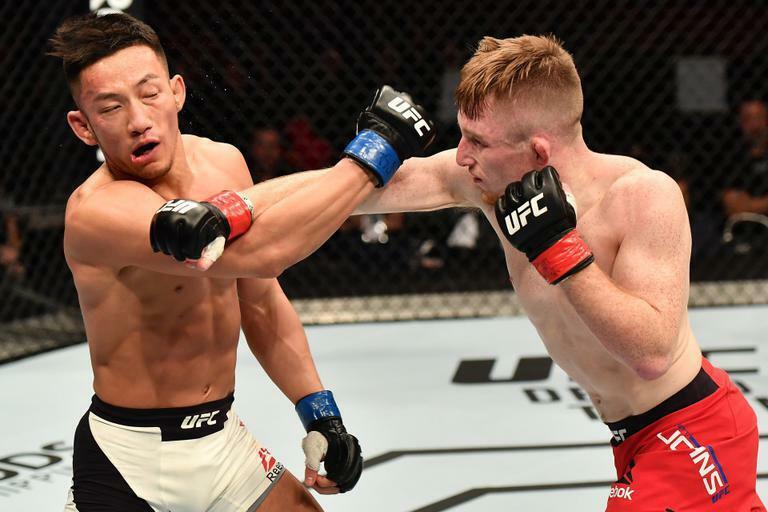 Simon Head chats to British UFC bantamweight Ian Entwistle, who explains how being rejected as a young aspiring footballer helped spur him on to success as a mixed martial artist. 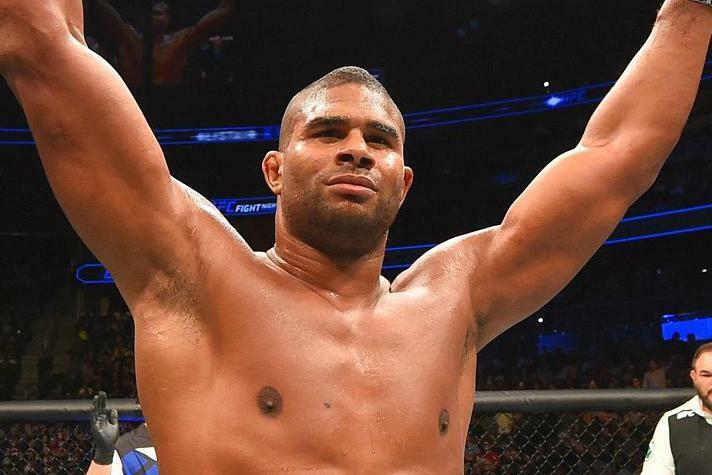 Simon Head catches up with Dutch MMA superstar Alistair 'The Reem' Overeem to chat about his upcoming bout with teammate Andrei Arlovski at UFC Rotterdam, and also about the sad passing of Dutch football legend Johan Cruyff. 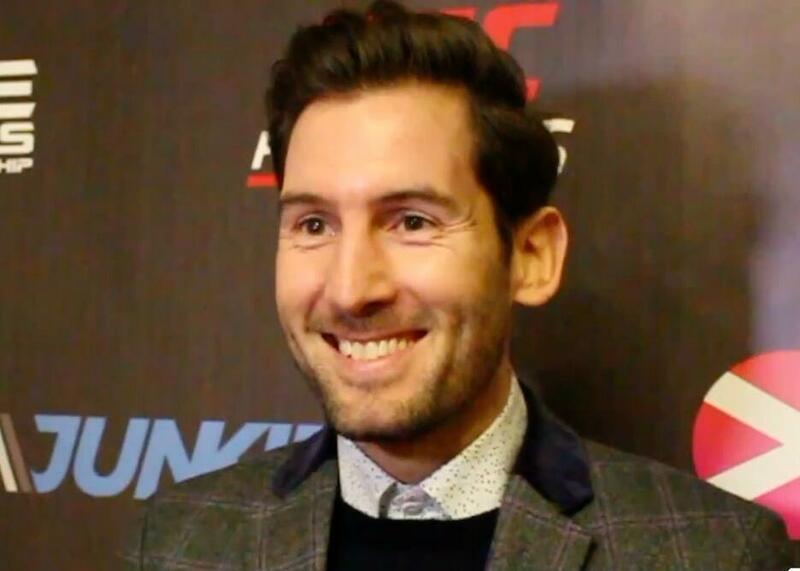 Simon Head catches up with former UFC EMEA chief and new Director of Brand and Commerce for IMMAF David Allen about his new position and the role IMMAF has to play in the growth of the sport around the world. 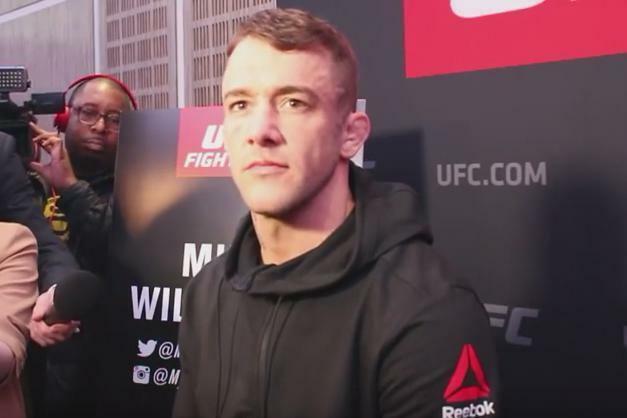 British UFC featherweight Mike Wilkinson chats to Simon Head about his loss to Makwan Amirkhani at UFC London and his hopes for a future fight in the Octagon soon. 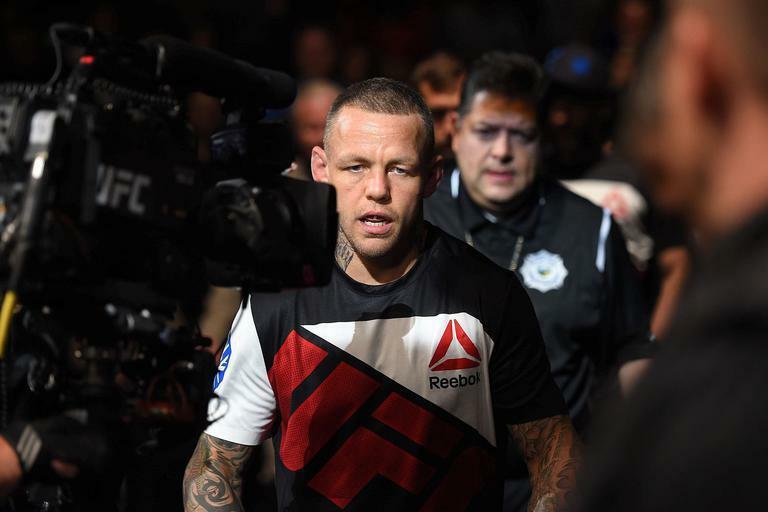 Simon Head chats with Irish MMA journalist Petesy Carroll after Conor McGregor was sensationally submitted by Nate Diaz in the main event of UFC 196 in Las Vegas. 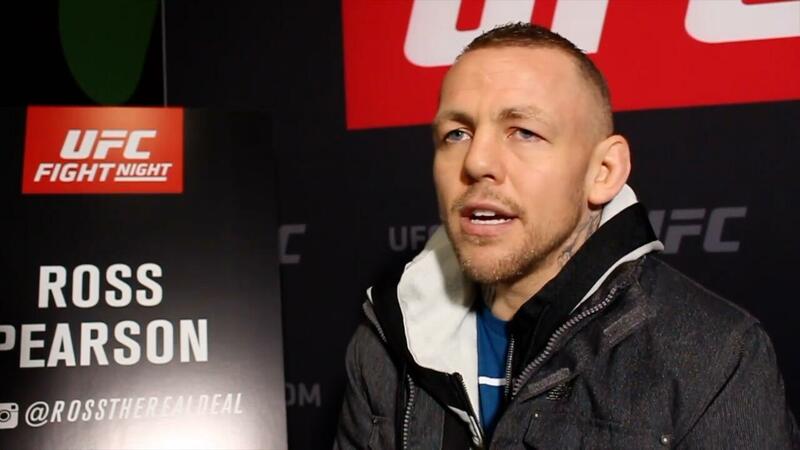 Simon Head chats with American journalist for Bleacher Report Jeremy Botter in the aftermath of Nate Diaz's submission victory over Conor McGregor at UFC 196. 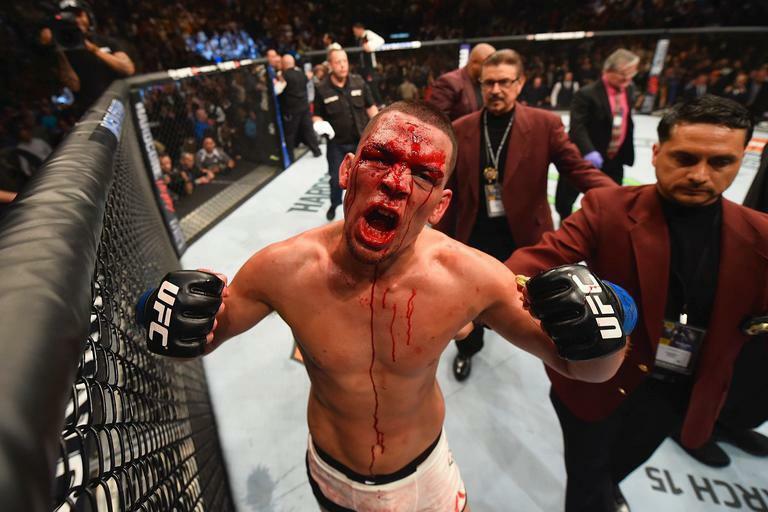 Simon Head chats with fellow Brit and correspondent for The MMA Underground Jonathan Shrager about Nate Diaz's submission victory over Conor McGregor at UFC 196. 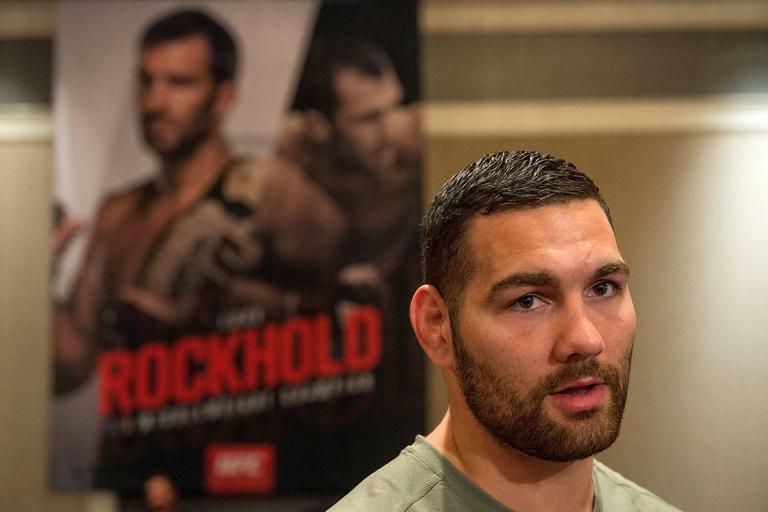 Simon Head chats to former UFC middleweight champion Chris Weidman during media day at UFC 196 about his upcoming rematch with Luke Rockhold and the potential for a bout with Britain's Michael Bisping further down the line. UFC flyweight champion Demetrious 'Mighty Mouse' Johnson chats to Simon Head and colleagues during an exclusive media scrum at the EA Sports UFC 2 launch party at the Mandalay Bay Hotel in Las Vegas. 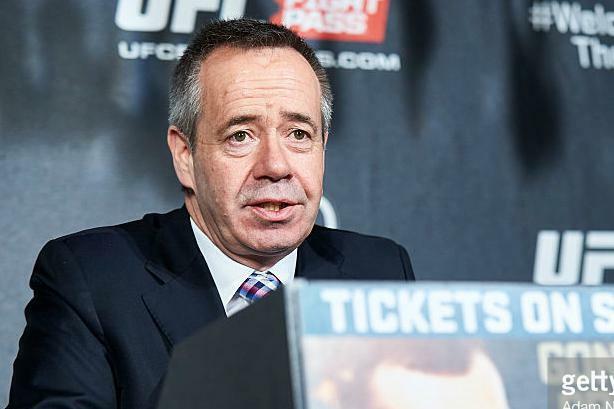 UFC's Vice President and General Manager for Europe, Middle East and Africa James Elliott chats to Simon Head about UFC Fight Night London and looks ahead to the further expansion of UFC across the region. British middleweight star talks to Simon Head about the travelling army of fans who follow him around Europe to watch his fight. 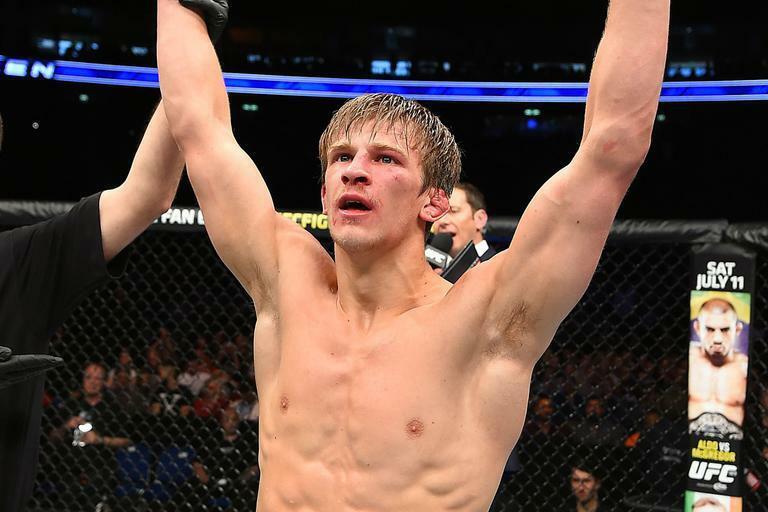 British featherweight prospect Arnold Allen says he's ready to showcase his full arsenal when he faces Yaotzin Meza at UFC Fight Night London. 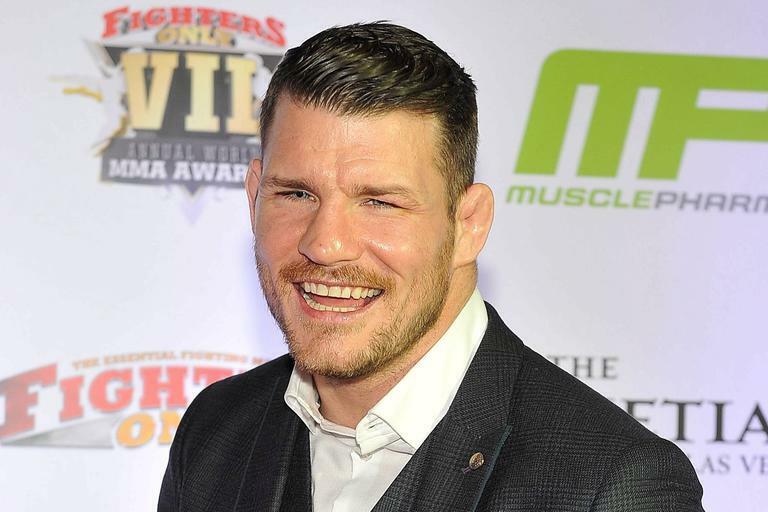 British UFC star Michael Bisping tells Simon Head how he puts himself under pressure to perform, then thrives under that pressure inside the Octagon. 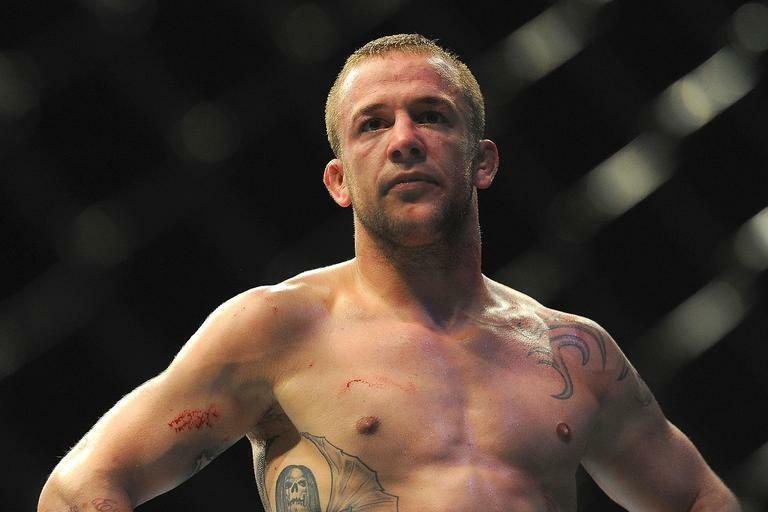 Ahead of his return bout at UFC Fight Night London, British featherweight Mike Wilkinson reveals the torment of having to sit out almost 18 months injured. 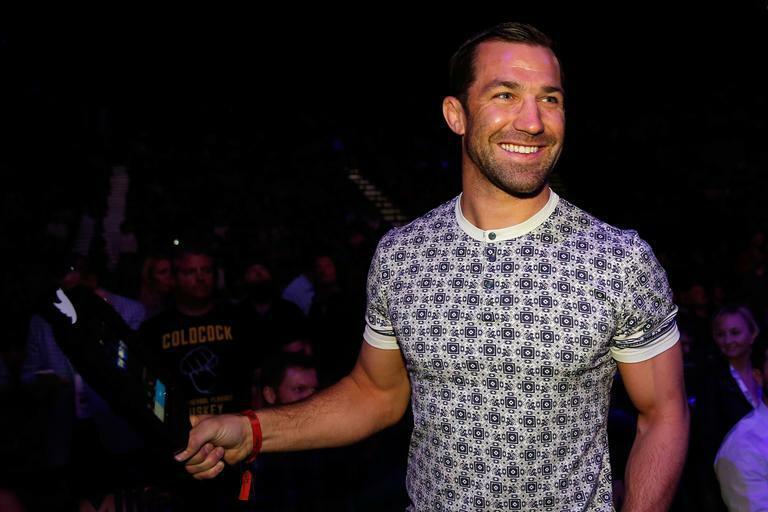 British UFC star-turned-commentator Dan 'The Outlaw' Hardy chats to SunSport ahead of UFC Fight Night: Silva v Bisping in London. 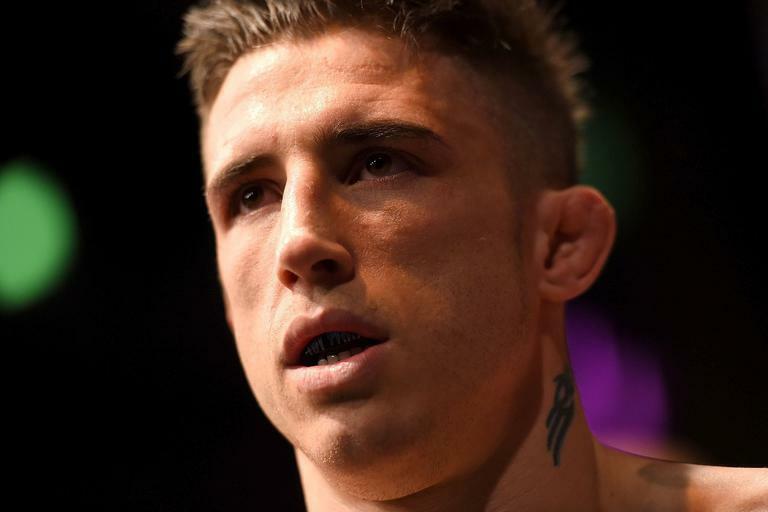 British middleweight star says he's in the form of his life and ready to stake his claim for a title shot by beating Anderson Silva at UFC London. 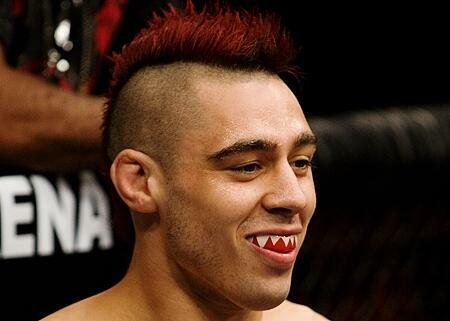 Brazilian UFC superstar is delighted to be back in England and says he'll celebrate with victory at UFC London. 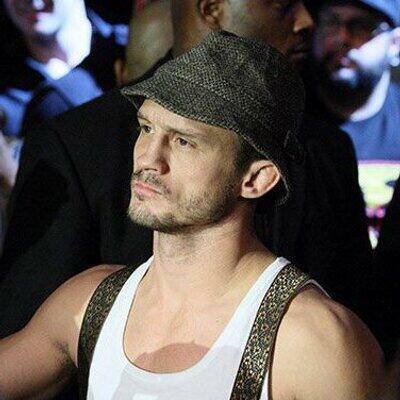 British bantamweight star Brad 'One Punch' Pickett says he's desperate for a win at UFC London to revive his career. 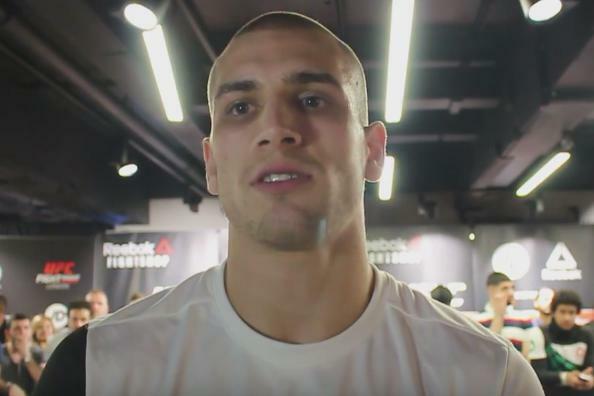 Undefeated British welterweight prospect Tom Breese says he's getting better and better as he prepares to face veteran Keita Nakamura at UFC London. 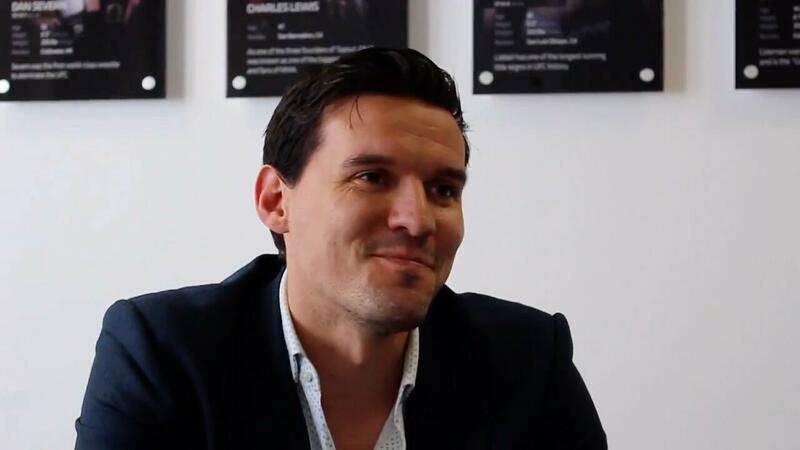 UFC's vice president and general manager for Europe, Middle East and Africa James Elliott chats to Simon Head about the promotion's plans for 2016. 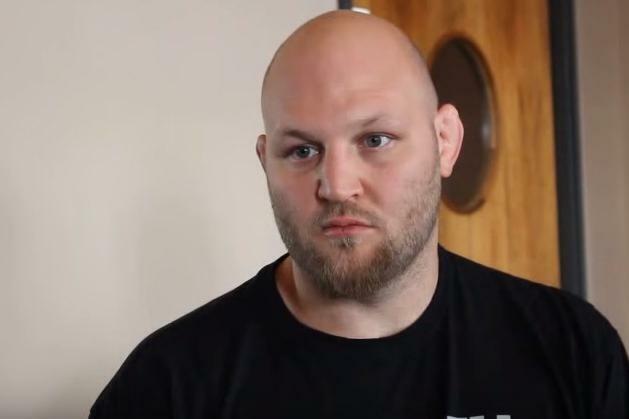 UFC heavyweight contender 'Big' Ben Rothwell chats to MMA journalist Simon Head ahead of his co-main event bout with Josh Barnett at UFC on FOX in Newark, New Jersey. 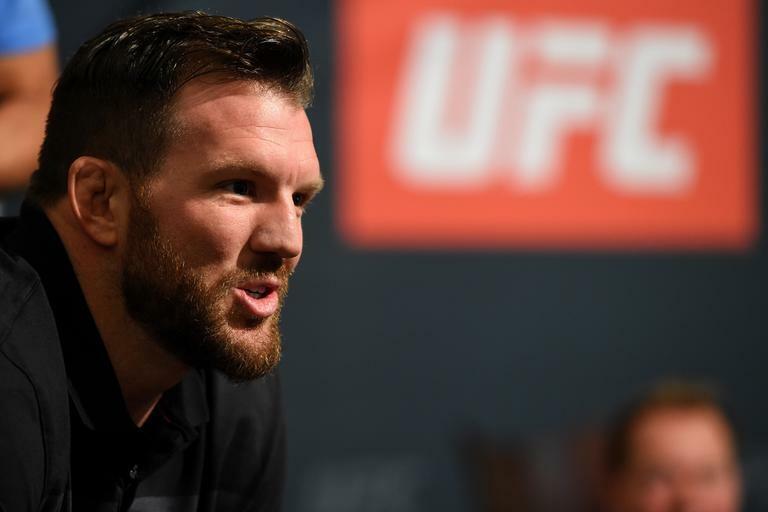 UFC light-heavyweight contender Ryan 'Darth' Bader chats to MMA journalist Simon Head before his main event bout with Anthony 'Rumble' Johnson in New Jersey. 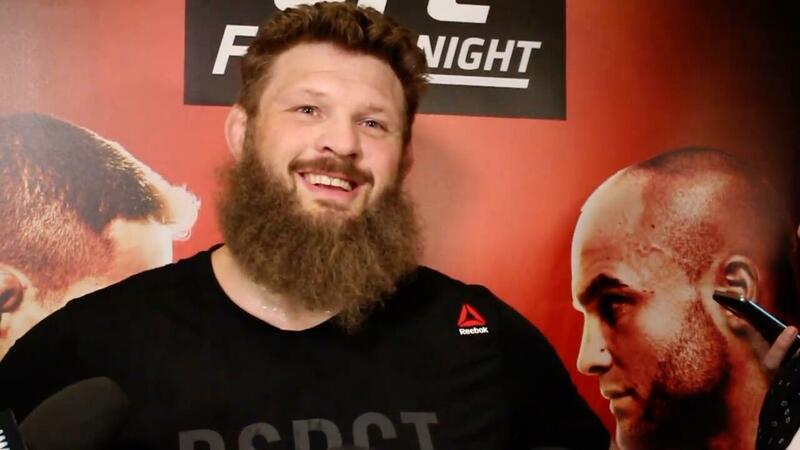 Josh Barnett on Ben Rothwell, pro wrestling... and Brian Blessed! 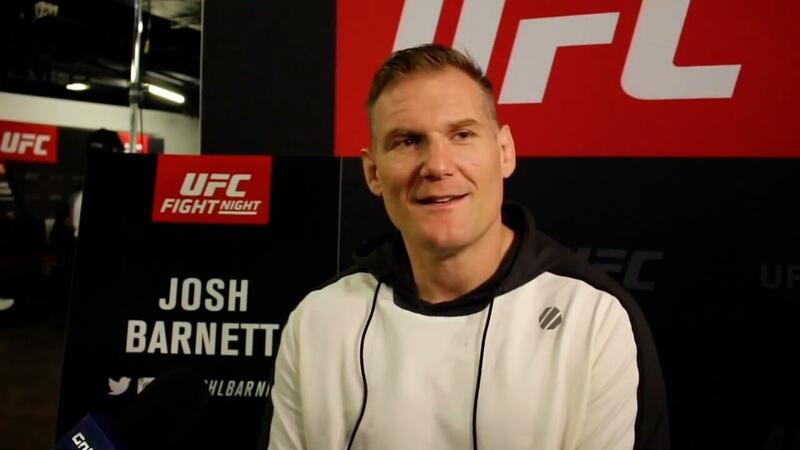 Former UFC heavyweight champion Josh Barnett chats to MMA journalist Simon Head ahead of his bout at UFC on FOX in New Jersey, and reveals his dream of fighting in England while accompanied by a very special (and loud) guest. 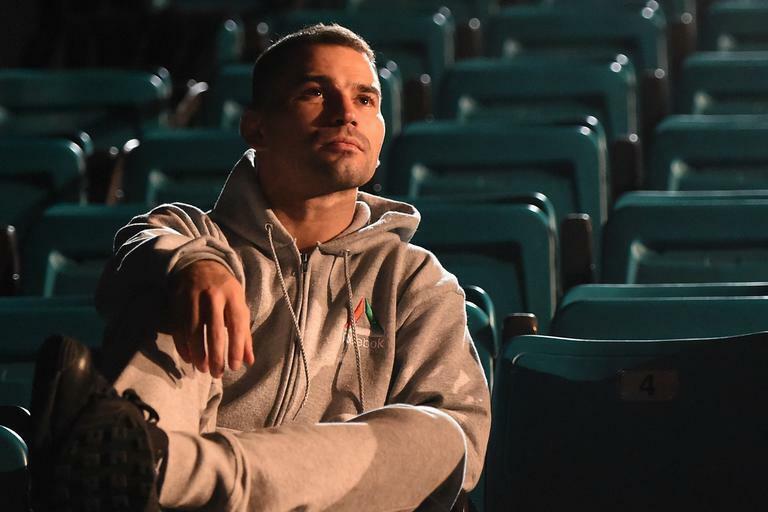 Born in Russia, resident of Ireland, 'The Russian Hammer' Artem Lobov chats to MMA journalist Simon Head ahead of his upcoming fight against Alex White at UFC Fight Night. 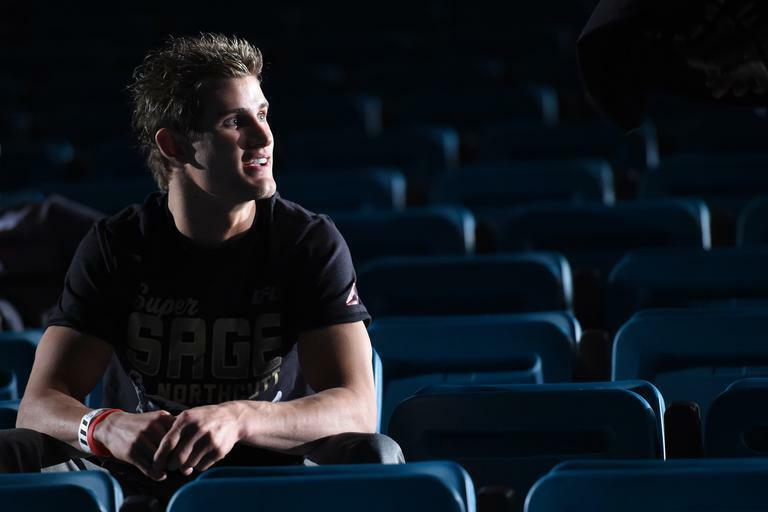 UFC star Sage Northcutt chats to MMA journalist Simon Head about his upcoming fight with Bryan Barbarena at UFC on FOX, his rapid rise to stardom and the possibility of him staying at welterweight. 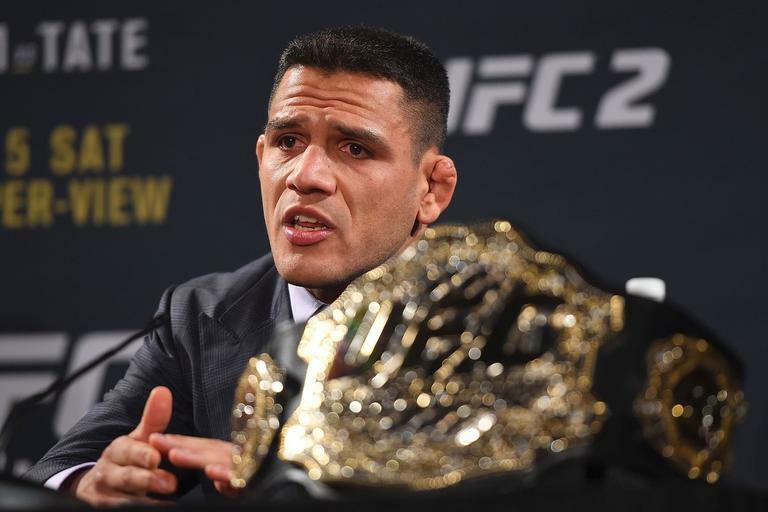 UFC lightweight champion Rafael dos Anjos on Conor McGregor: "I'm gonna punish this guy"
Brazilian UFC lightweight champ Rafael dos Anjos chats to MMA journalist Simon Head about his upcoming bout with Conor McGregor at UFC 196 and says he plans on punishing the Irishman for his trash talk. 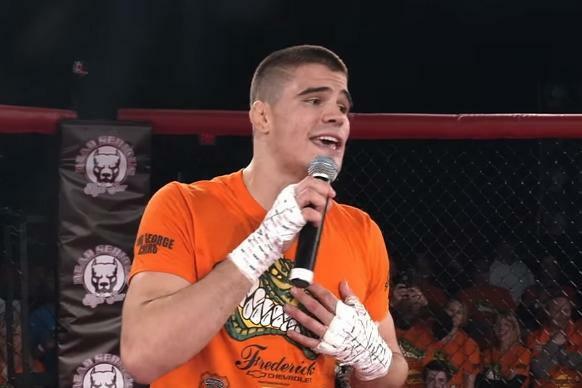 New Jersey welterweight Mickey Gall chats to MMA journalist Simon Head about how he earned his big break in the UFC, his upcoming Octagon debut at UFC 196 and the carrot of a potential fight with CM Punk in the summer. 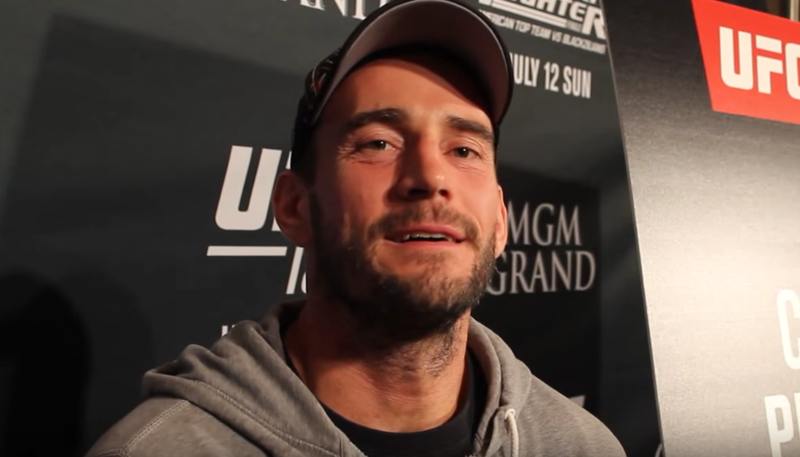 Former WWE superstar CM Punk chats to MMA journalist Simon Head and says he plans on leaving a lot of people disappointed after his UFC debut later this summer. 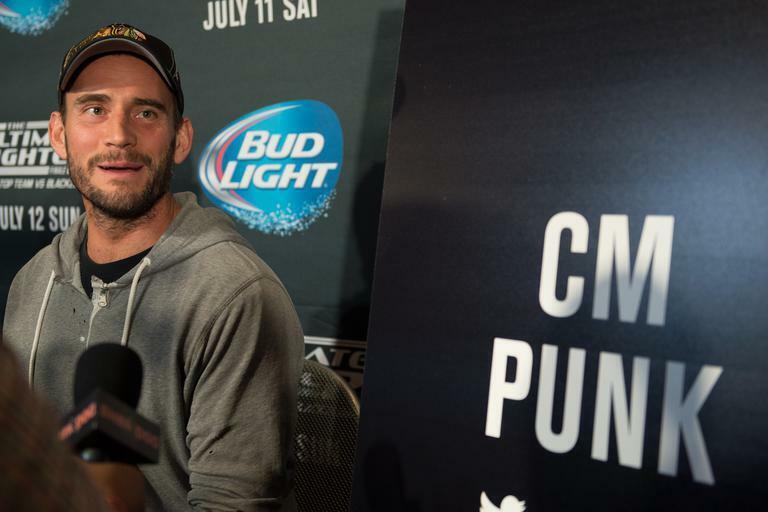 CM Punk on Dominick Cruz: "He's superhuman!" 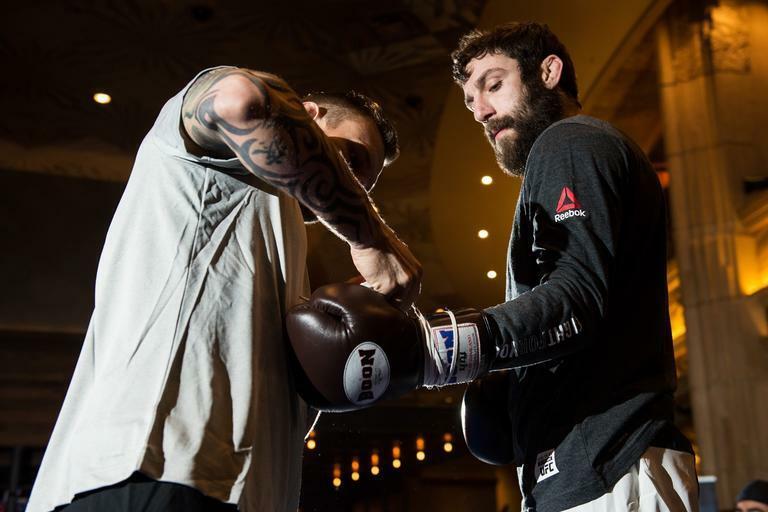 Former WWE star-turned-UFC athlete CM Punk chats to Simon Head about Dominick Cruz's remarkable return to the top of the UFC's bantamweight division. 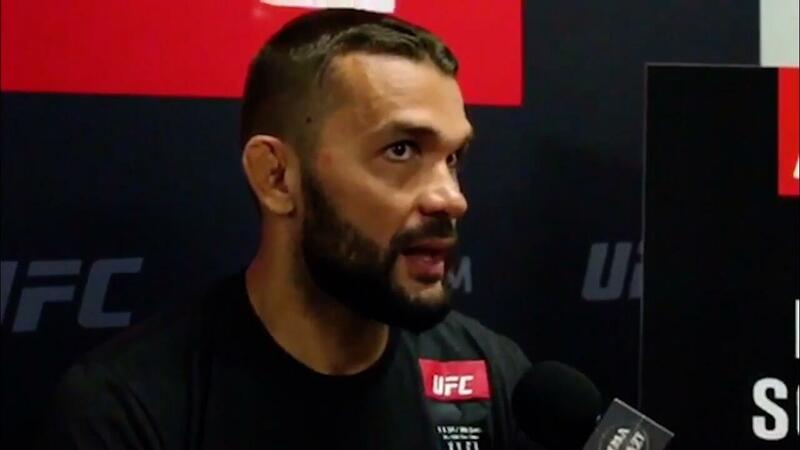 British UFC lightweight star chats to Simon Head ahead of his bout with Francisco Trinaldo at UFC Fight Night Boston to give his take on his upcoming contest, plus the return of teammate Dominick Cruz and the potential arrival in the lightweight division of featherweight champ Conor McGregor. 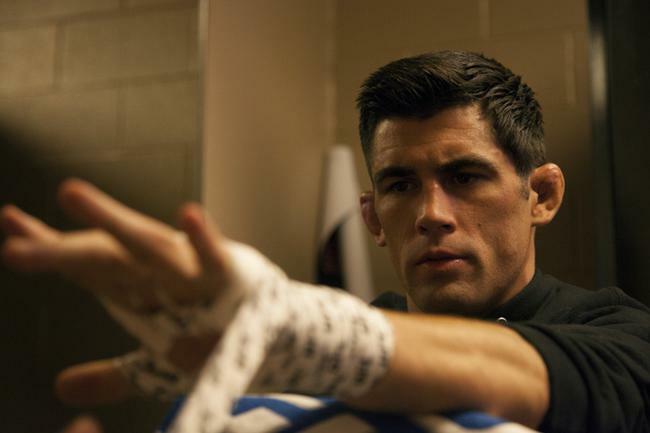 Former UFC bantamweight champion Dominick Cruz talks to Simon Head at the UFC 194 Ultimate Media Day about his upcoming bout with TJ Dillashaw as he looks to reclaim the championship he never lost in the Octagon. 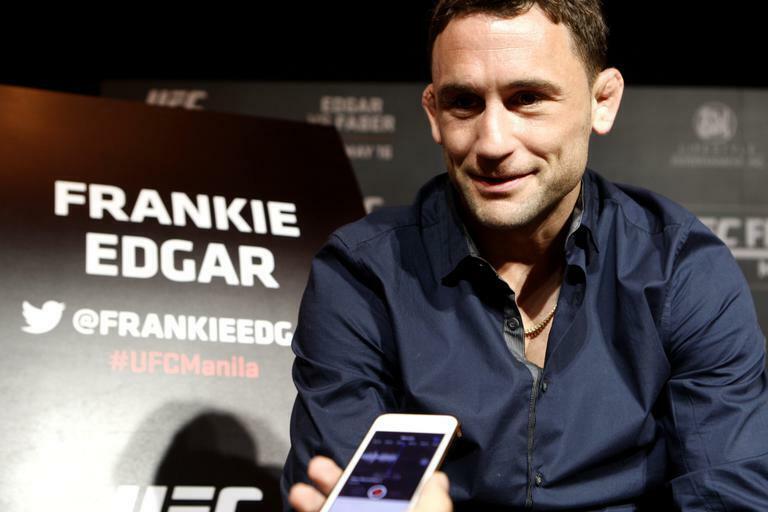 I take a look back at my year covering the UFC through some of the snippets and interviews in my audio library. 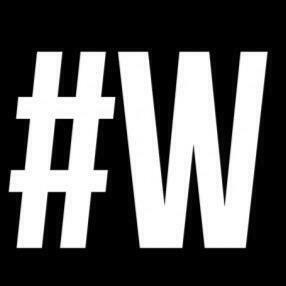 Thanks to everyone who helped make it such an enjoyable year. 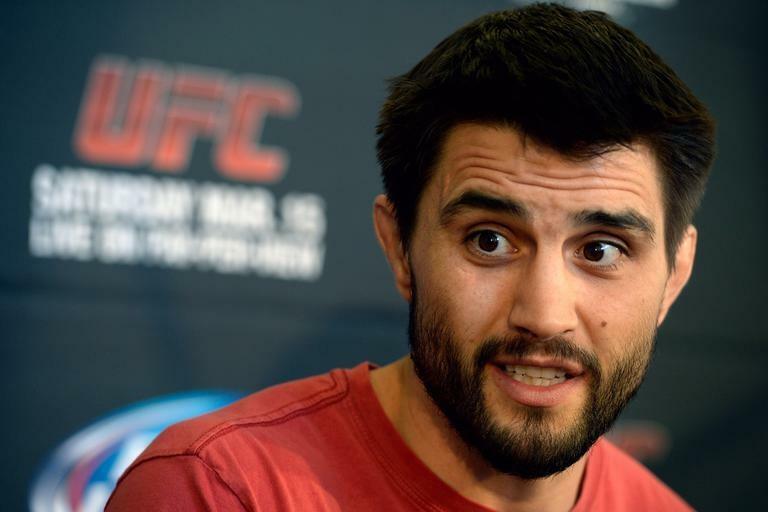 Former UFC interim welterweight champion Carlos Condit admits his bout with Robbie Lawler at UFC 195 could represent his final chance to capture undisputed UFC championship gold. 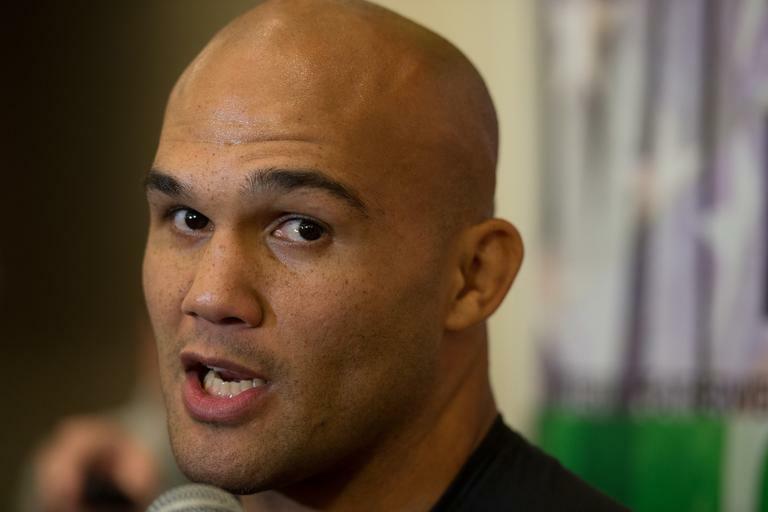 UFC welterweight champion Robbie Lawler chats to the press during media day at UFC 194 ahead of his bout with Carlos Condit at UFC 195. 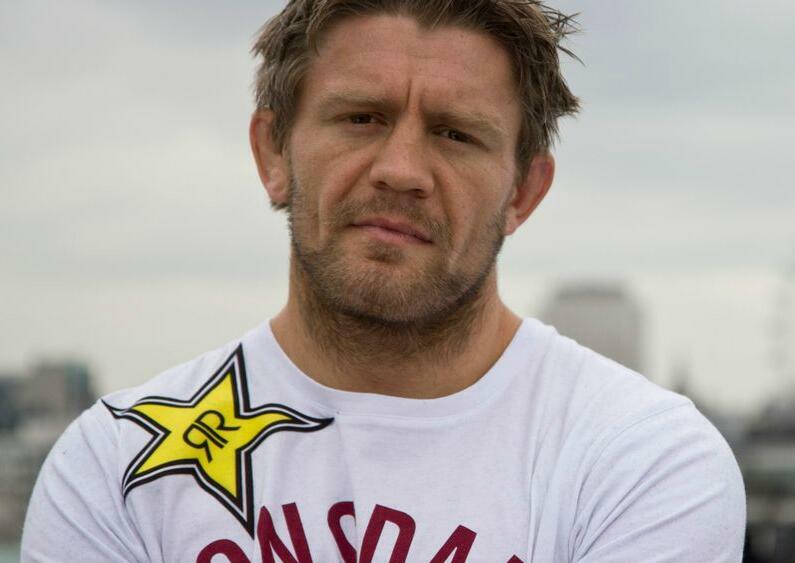 Scott Askham chats to Simon Head about his upcoming bout at UFC Fight Night London. 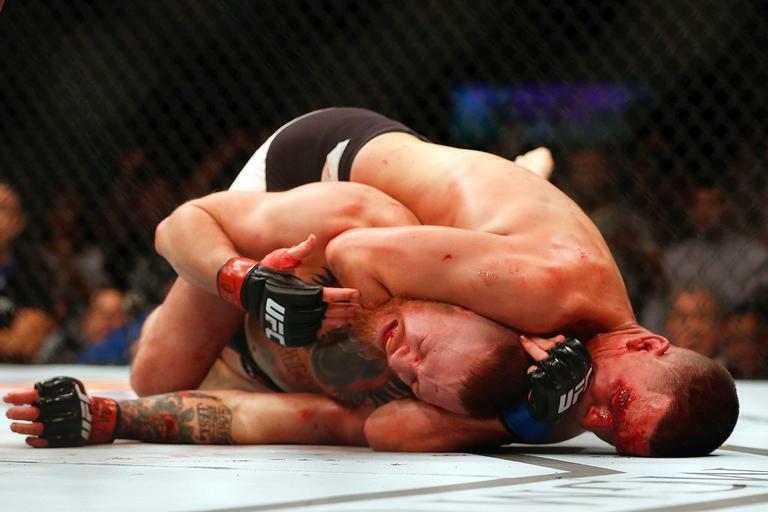 MMA journalists Simon Head and John Morgan reflect on an historic night at UFC 194, look back on the year and offer up their hopes for the year ahead. 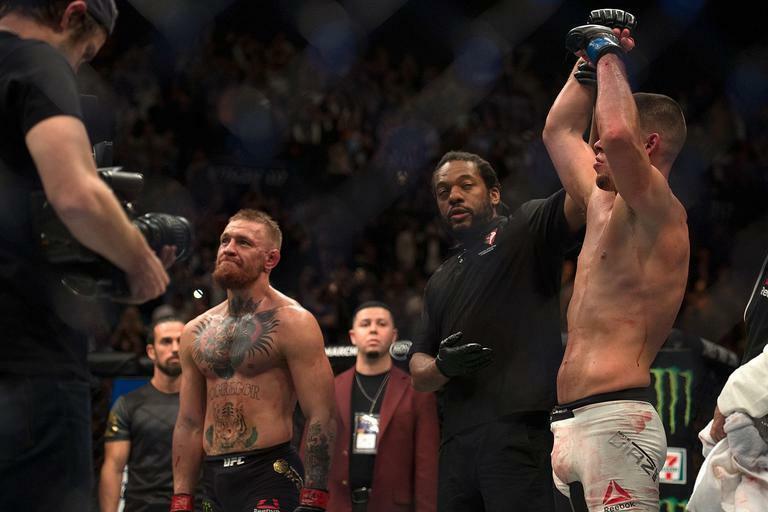 Simon Head and Robin Black chat about UFC 194 and Conor McGregor's incredible 13-second knockout win over Jose Aldo in the main event. 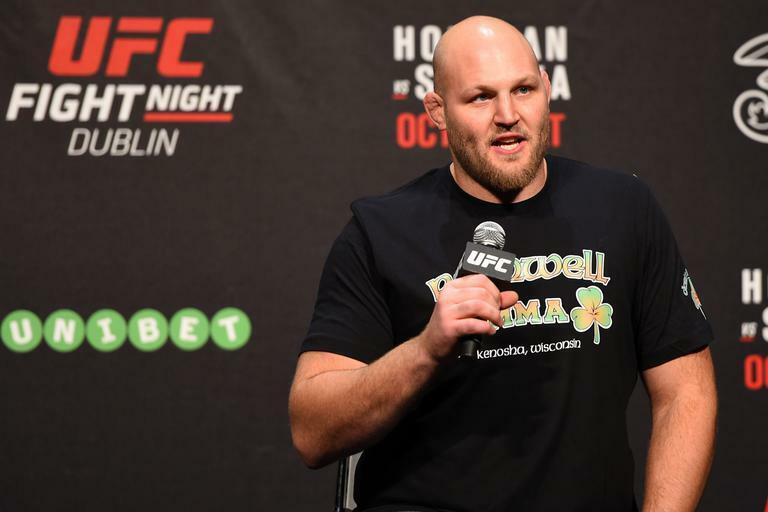 Simon Head looks back at The Ultimate Fighter Finale at The Cosmopolitan of Las Vegas, and looks ahead to UFC 194, the biggest fight card of the year. 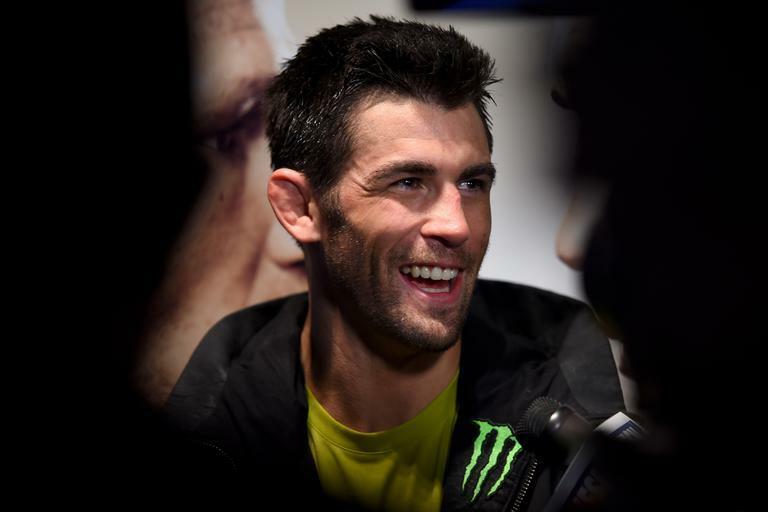 Simon Head managed to grab a last-gasp interview with newly-crowned TUF champion Ryan Hall following The Ultimate Fighter Finale post-fight press conference. 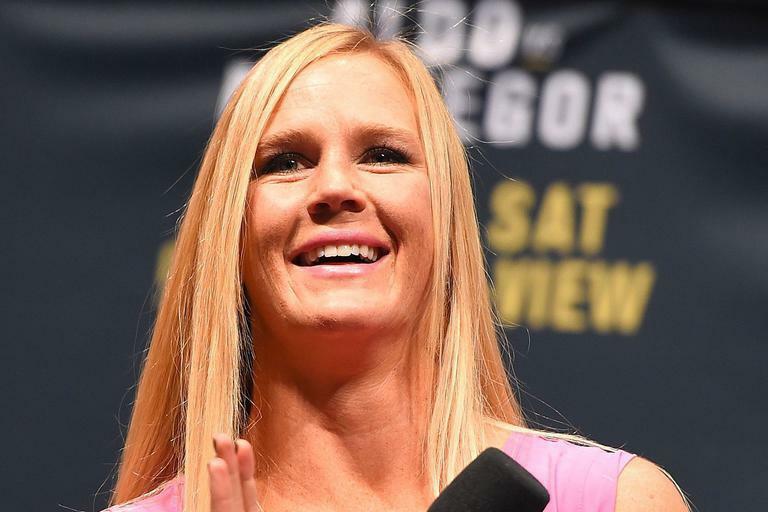 MMA journalists Simon Head and John Morgan (MMA Junkie) reflect on a lively day at the MGM Grand as the UFC 194 Q&A with Holly Holm and UFC 194 Weigh-Ins took place in Las Vegas. The Sun's Simon Head runs us through the fight card for UFC Fight Night in The Cosmopolitan, Las Vegas, as Rose Namajunas takes on Paige VanZant in the main event of the evening. 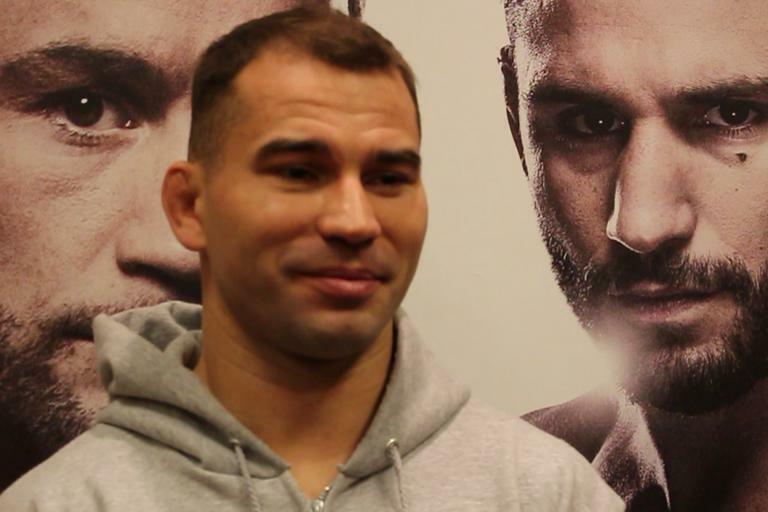 Ireland-based Russian Artem Lobov chats to Simon Head after securing his spot in the finale of The Ultimate Fighter. 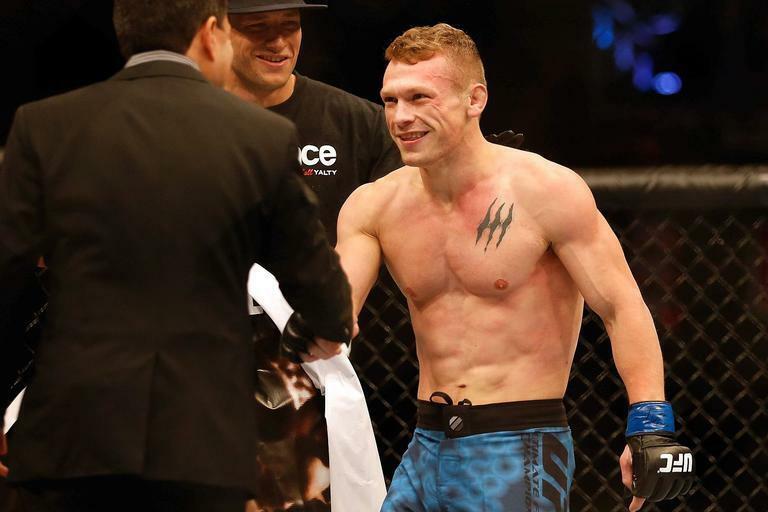 Jiu jitsu ace Ryan Hall was eliminated from The Ultimate Fighter at the quarter-final stage, but has handed a surprise last-minute reprieve after legal issues forced undefeated Brit Saul Rogers out of the Finale. 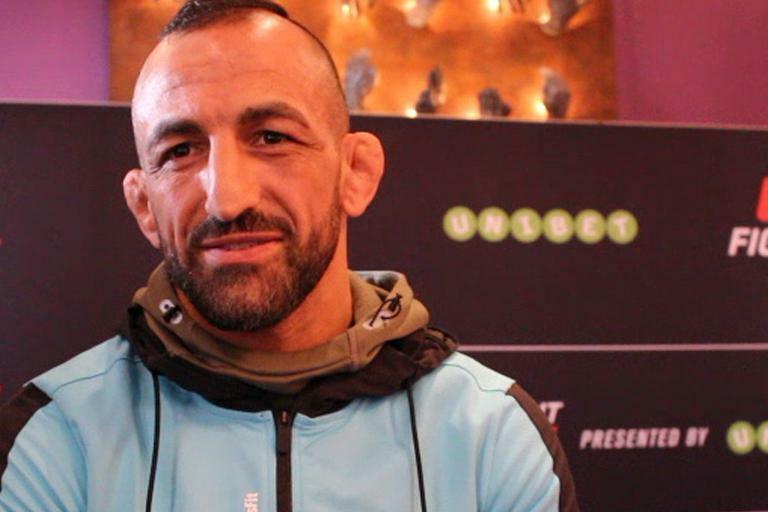 Simon Head catches up with fellow British MMA media member Chamatkar Sandhu to chat about the UFC triple-header event in Las Vegas, the growth of the UFC back home in the UK and the upcoming event in London. 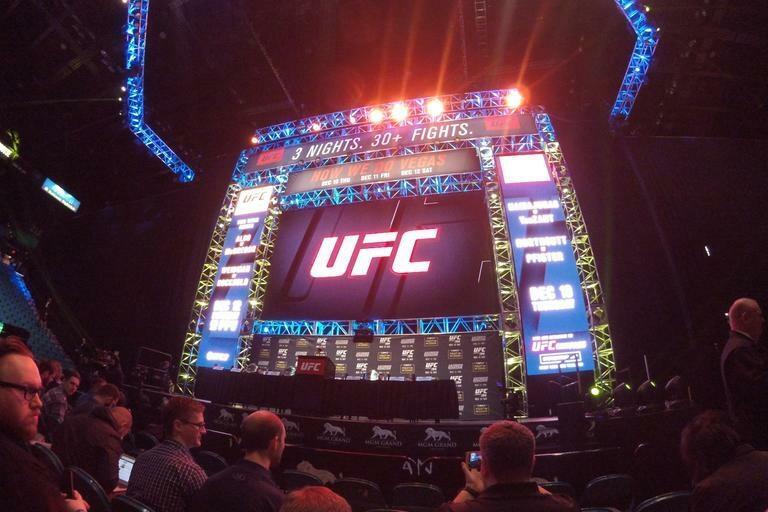 During a rare break in proceedings, MMA journalists Simon Head and John Morgan (MMA Junkie) chat about the huge UFC fight week in Las Vegas and look ahead to what's in store at UFC 194 and beyond. 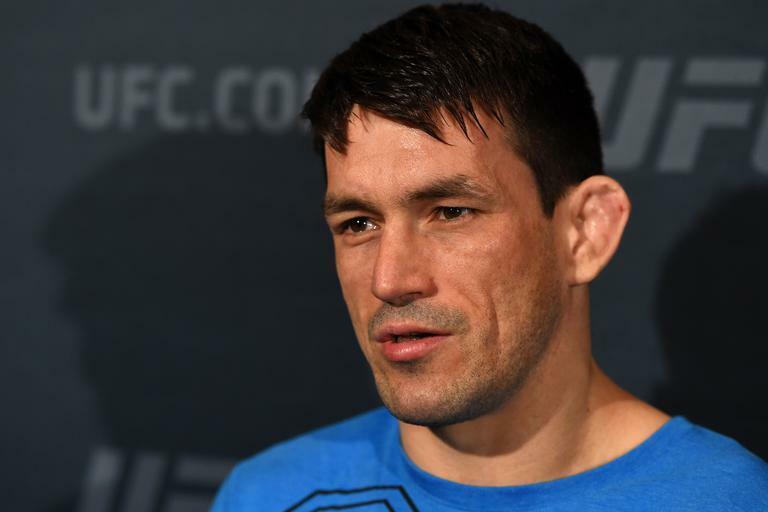 Brazilian welterweight contender Demian Maia chats to Simon Head about his bout with Gunnar Nelson at UFC 194 in Las Vegas. 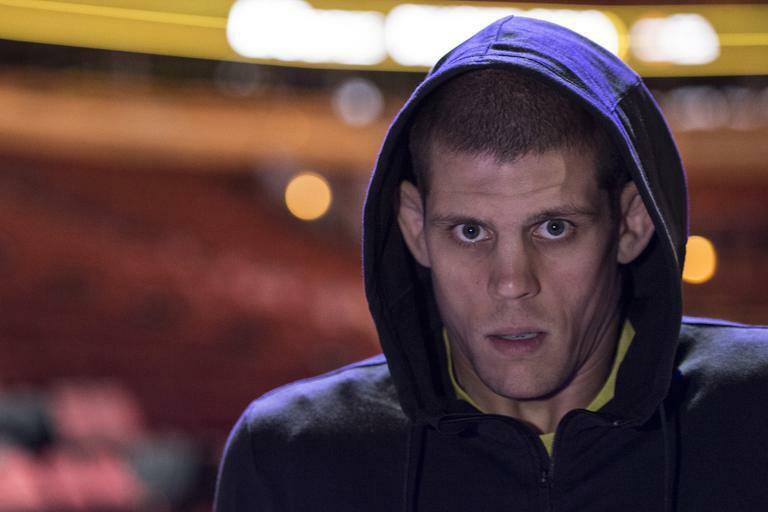 UFC veteran Joe Lauzon chats to Simon Head about his career, his fight with Evan Dunham, the changes in the sport and his take on fighters holding onto submissions too long. 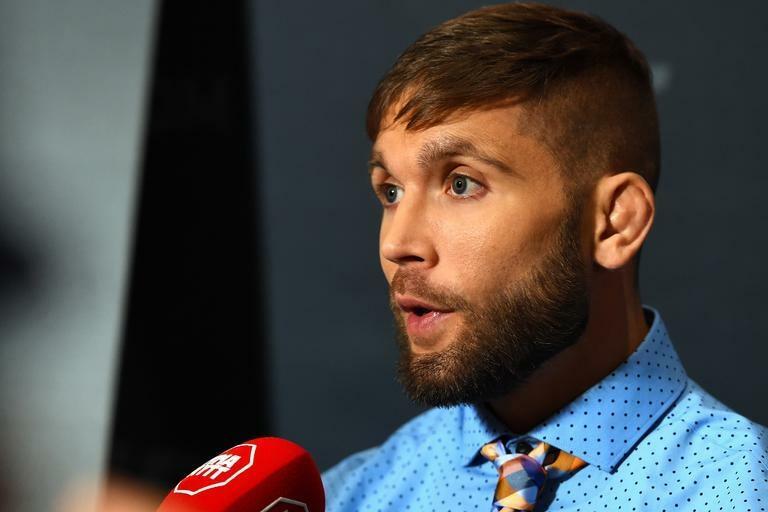 UFC featherweight contender Jeremy Stephens chats to Simon Head about his bout with Max Hollloway in Las Vegas. 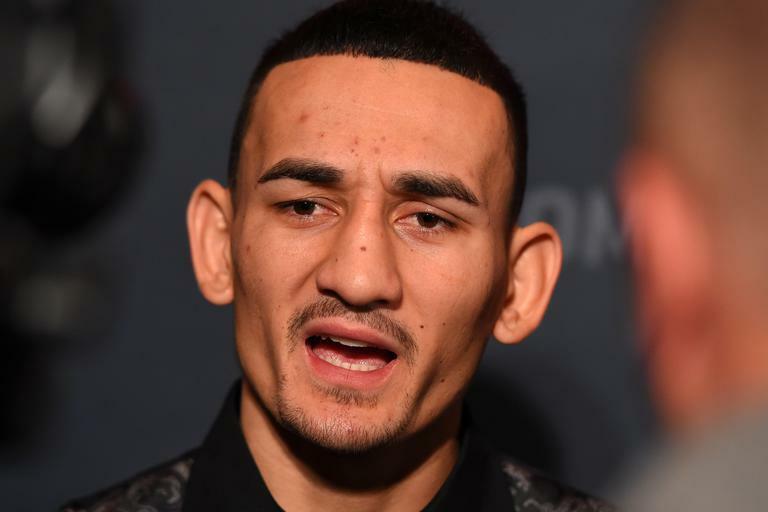 Hawaiian featherweight contender Max Holloway chats to Simon Head about his bout with Jeremy Stephens and his quest for world championship gold in the UFC. UFC lightweight Cody Pfister talks to the assembled press after his UFC Vegas open workout session at the MGM Grand in Las Vegas. 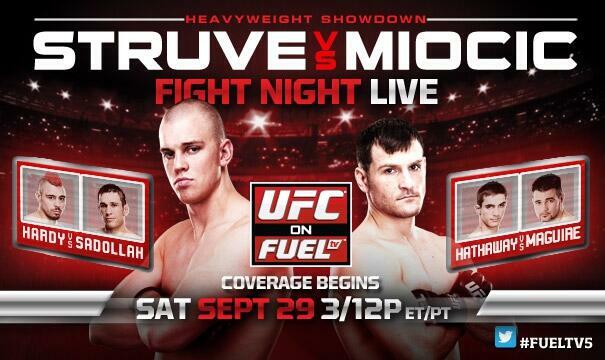 Audio courtesy of MMA Junkie. 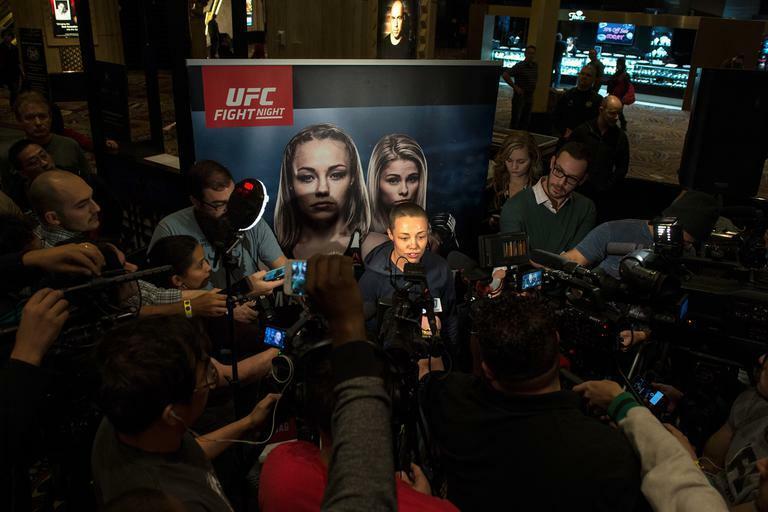 UFC women's strawweight contender Rose Namajunas chats to the media after her open workout session at the MGM Grand in Las Vegas. 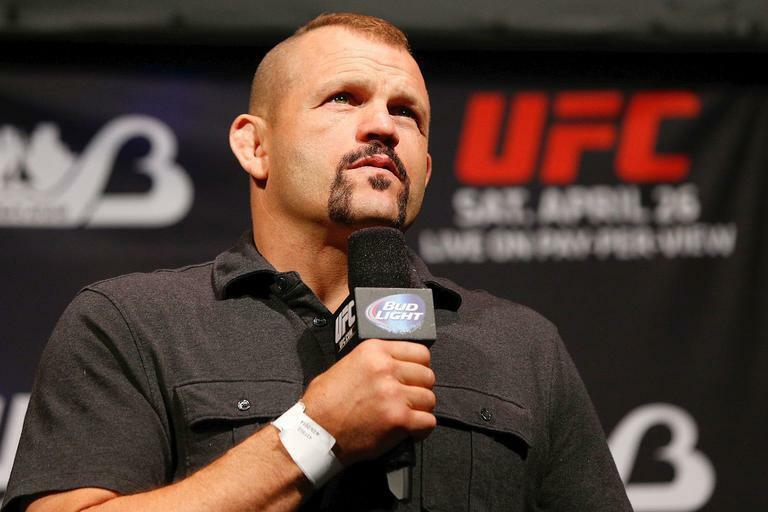 Audio courtesy of MMA Junkie. 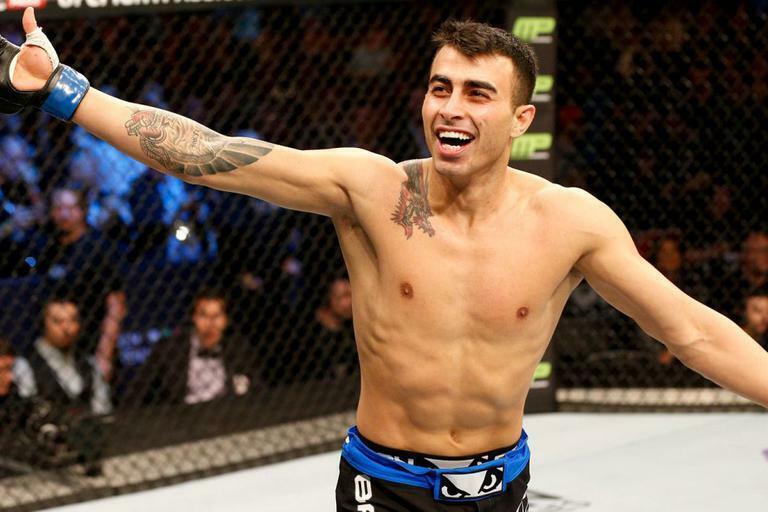 UFC #5-ranked bantamweight contender talks to the press about why he crashed the UFC Vegas open workouts and why he's the next big thing in the UFC's 135-pound division. 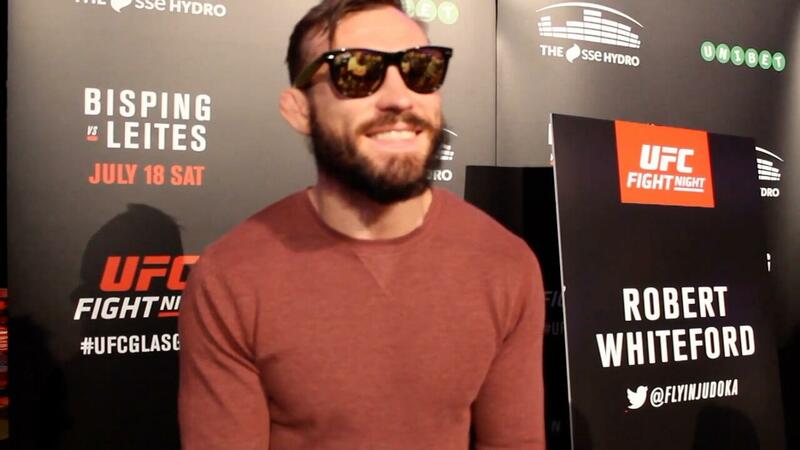 UFC lightweight Michael Chiesa chats to the press after the UFC Vegas open workouts at the MGM Grand in Las Vegas. 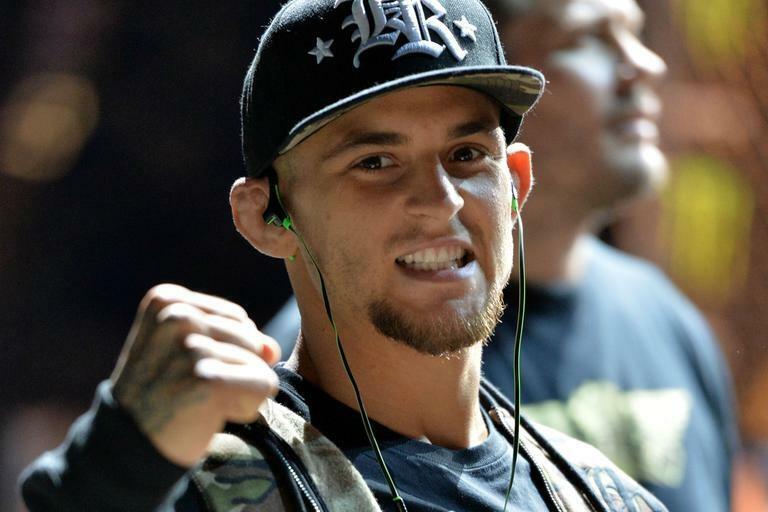 Audio courtesy of MMA Junkie. 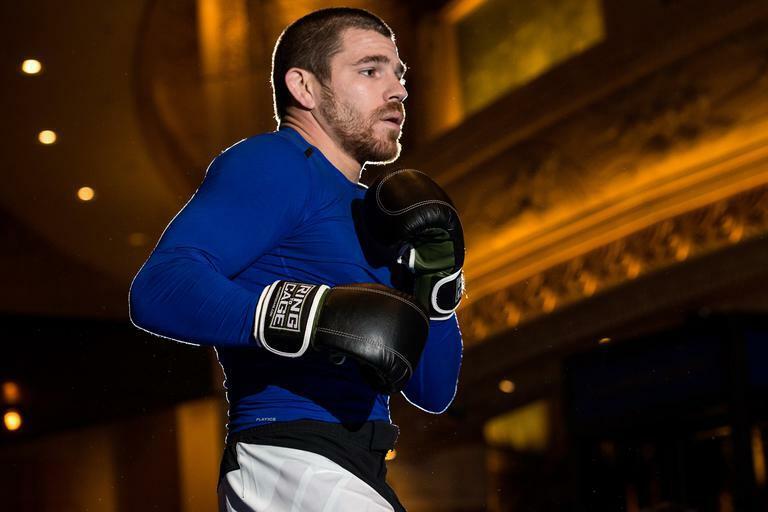 UFC lightweight contender Jim Miller chats to the press straight after completing his open workout session on the casino floor of the MGM Grand in Las Vegas. 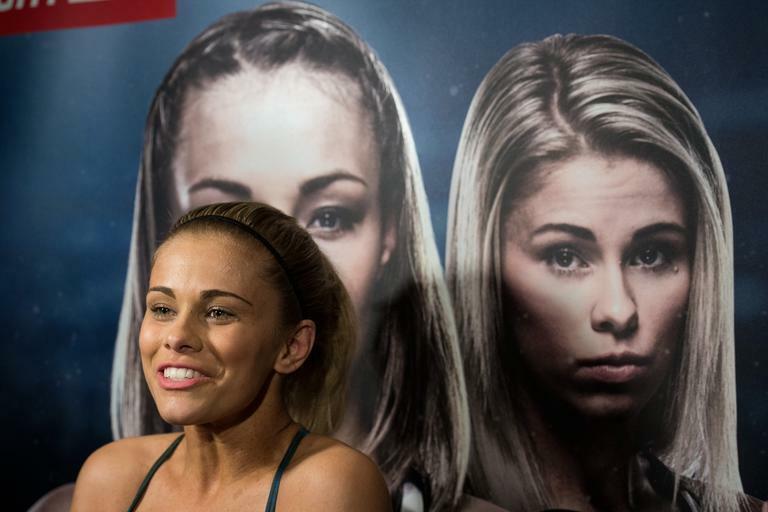 UFC women's strawweight star Paige VanZant talks to the assembled press following her open workout session at the MGM Grand Casino in Las Vegas. 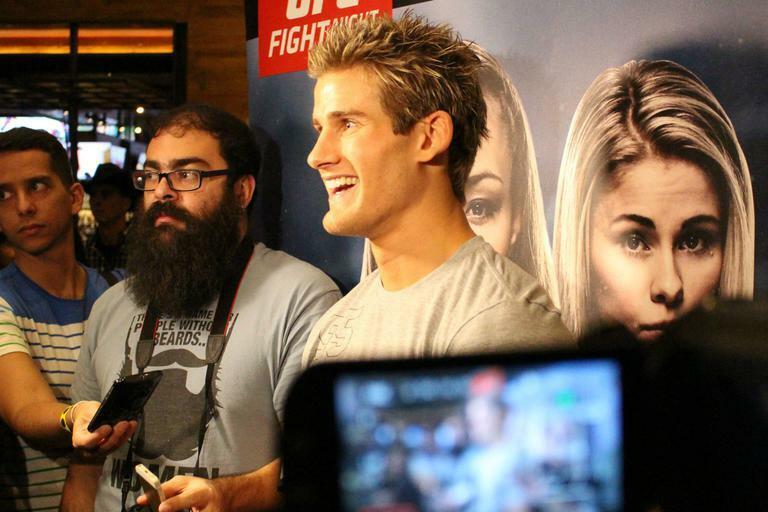 UFC lightweight star 'Super' Sage Northcutt chats to the press straight after his open workout session at the MGM Grand Casino in Las Vegas. 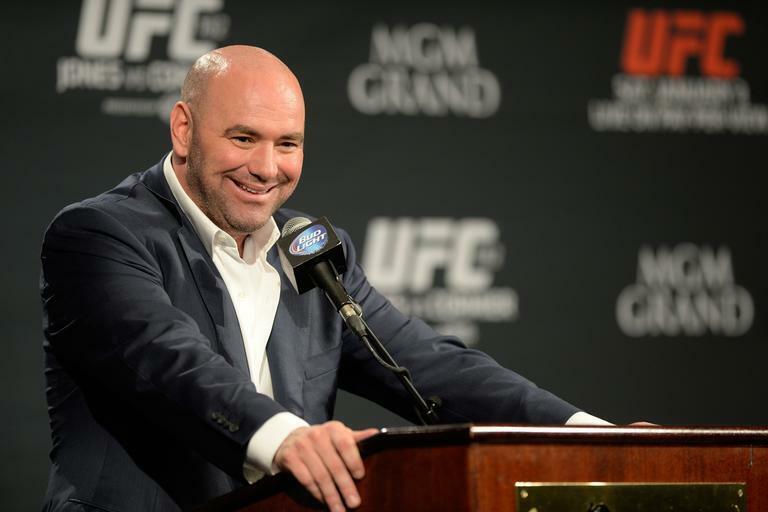 Earlier this year UFC president Dana White chatted to Simon Head about the Jose Aldo v Conor McGregor matchup - and predicted an explosive start to the biggest title fight in UFC history. 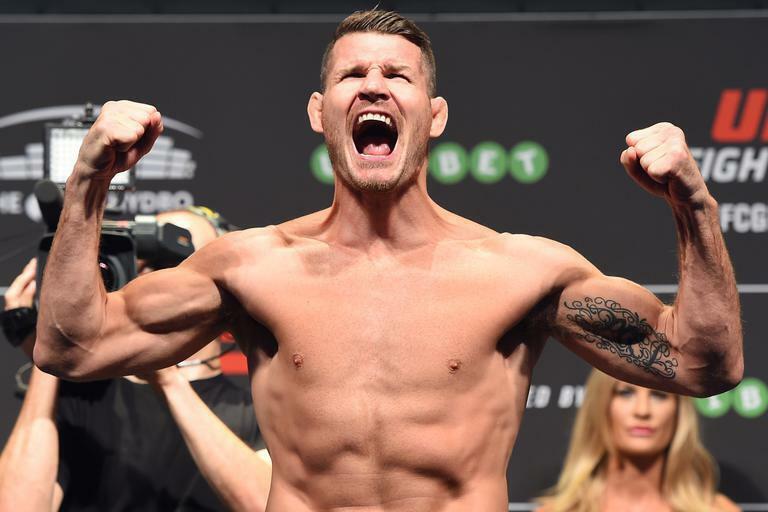 Michael Bisping on Gegard Mousasi: "He's a very formidable opponent"
British UFC middleweight contender Michael 'The Count' Bisping chats to Simon Head about his upcoming bout with former Strikeforce light-heavyweight champion Gegard Mousasi at UFC Fight Night London. 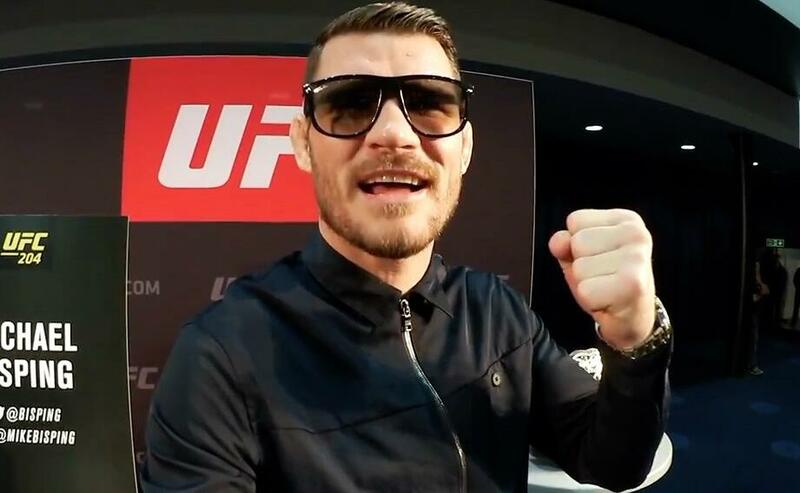 British UFC middleweight star Michael 'The Count' Bisping looks ahead to the two world title fights at the top of the card at UFC 194 and offers his predictions for both contests. 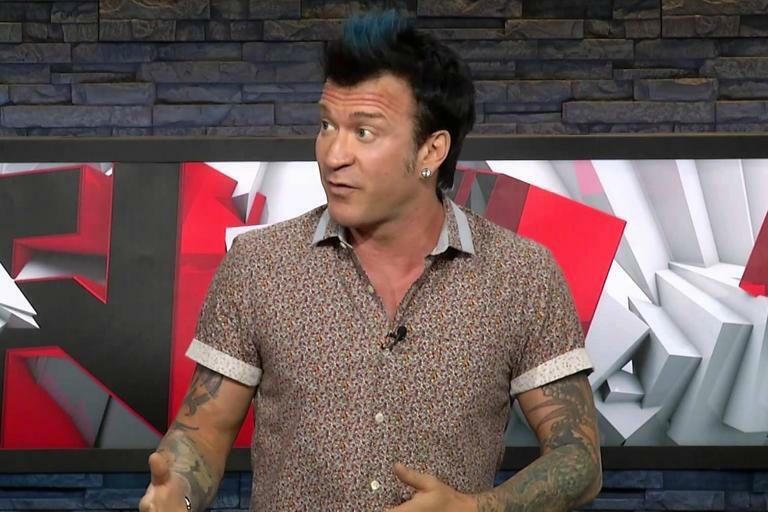 Simon Head chats with Canada's finest fight analyst, Fight Network's Robin Black, ahead of Jose Aldo v Conor McGregor and Chris Weidman v Luke Rockhold at UFC 194 in Las Vegas. 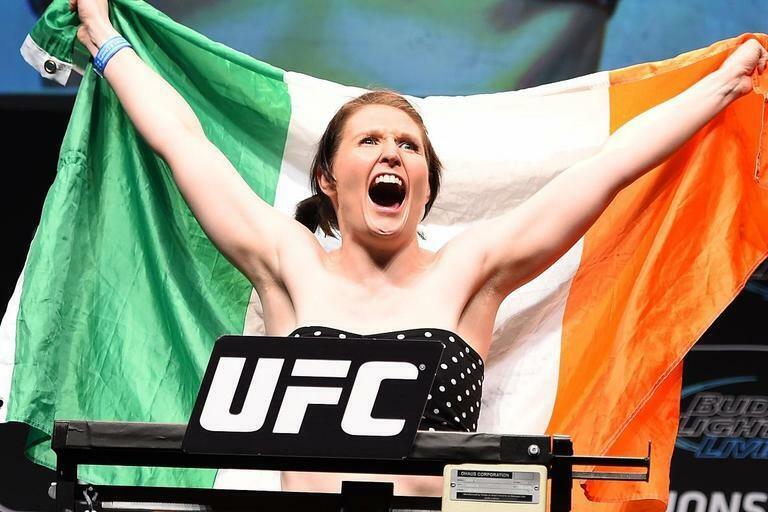 Irish strawweight contender Aisling Daly chats to Simon Head as she looks back on her emotional win at UFC Fight Night Dublin and looks ahead to a possible bout at UFC Fight Night London in February 2016. UK-based MMA journalist Simon Head tries his hand at a spot of matchmaking as he puts together a potential fight card for UFC Fight Night London, set to take place at The O2 Arena on February 27, 2016. 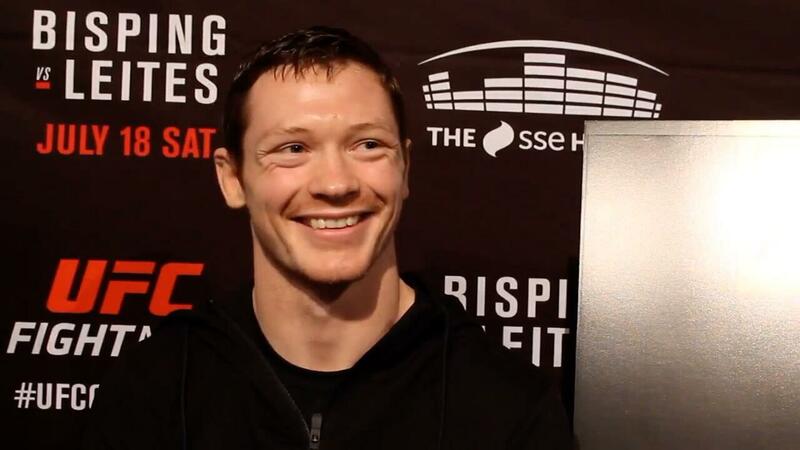 Irish UFC lightweight star Joseph Duffy gives his first interview to Simon Head following his late withdrawal from his UFC Dublin main event bout with Dustin Poirier. 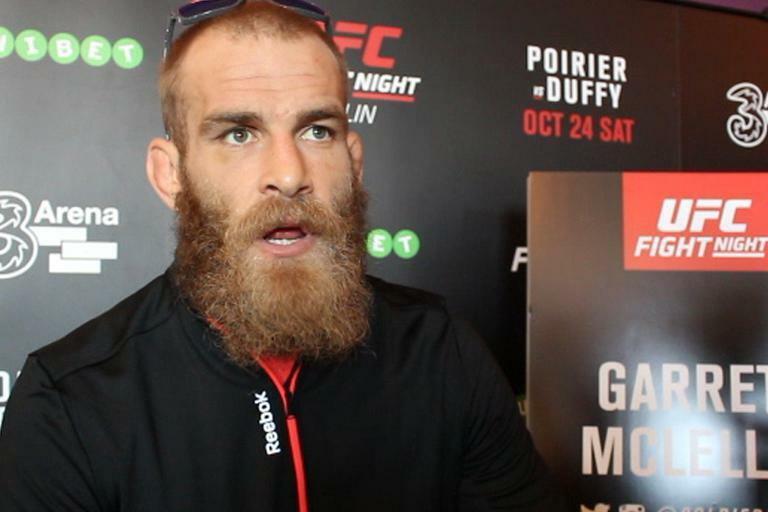 Simon Head reflects on a crazy two days at UFC Dublin. 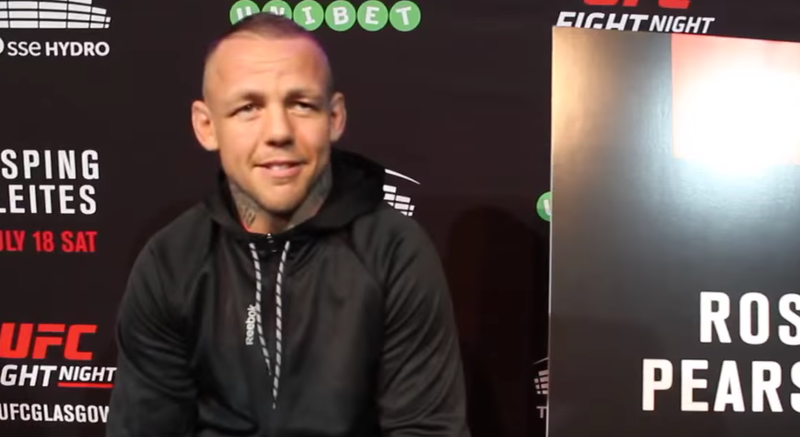 UFC Dublin main eventer Dustin Poirier speaks with Simon Head following the cancellation of his main event bout with Joseph Duffy due to the Irishman's mild concussion. 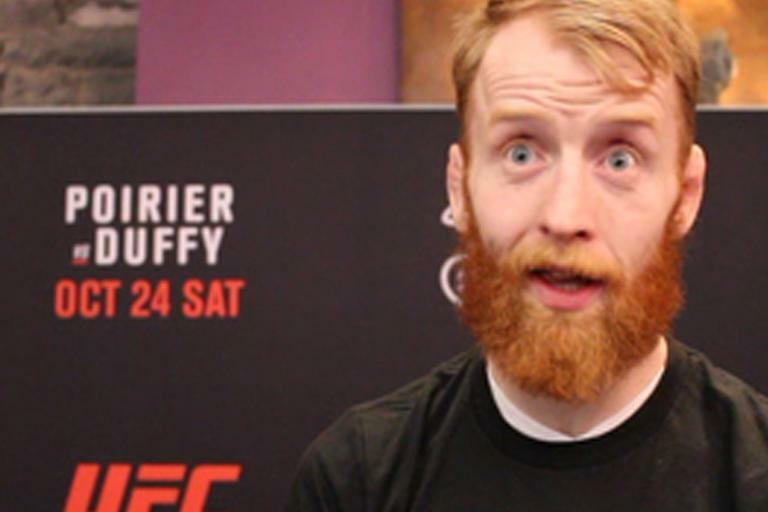 Irish flyweight star Paddy Holohan chats to Simon Head at the UFC Dublin media day and talks about his pride to be Irish and to be headlining a UFC fight card in his home town. 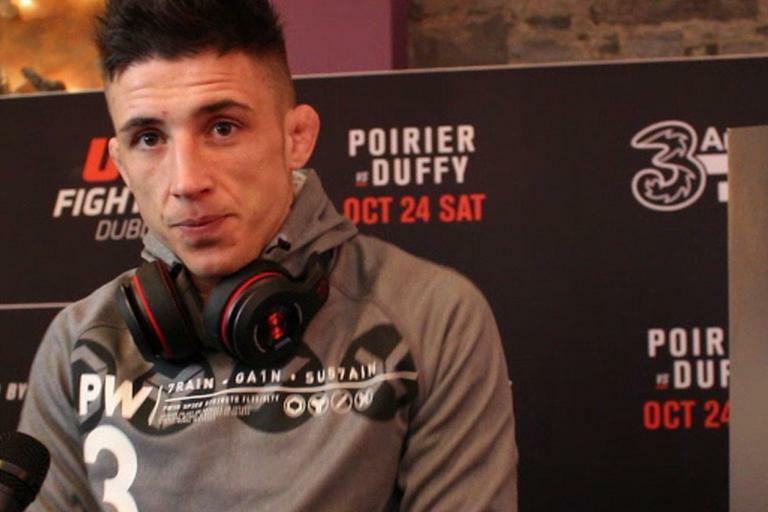 Northern Irish lightweight Stormin Norman Parke talks to Simon Head about his bout with Reza Madadi and how it's just businesss, despite the heated words between the two in the buildup. 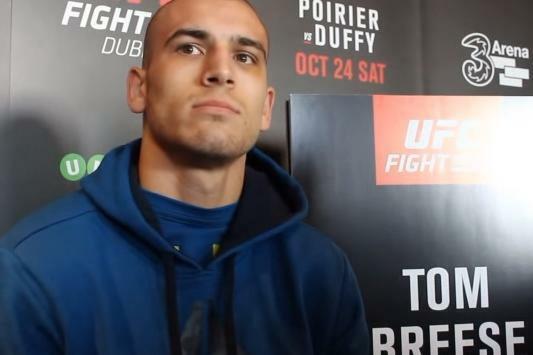 English welterweight powerhouse Tom Breese chats to Simon Head at the UFC Dublin media day about his bout with Cathal Pendred and his preparations for the fight. Irish welterweight star Cathal Pendred chats to Simon Head at the UFC Dublin media day. 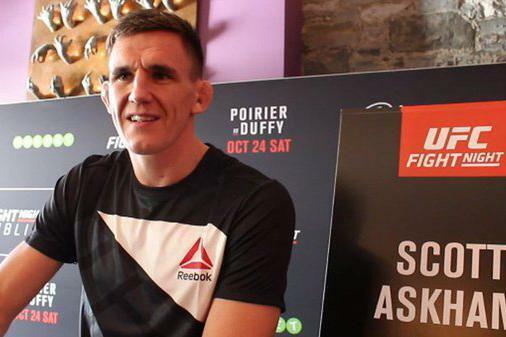 English middleweight prospect Scott Askham chats to Simon Head at the UFC Dublin media day ahead of his bout with Poland's Krzysztof Jotko. 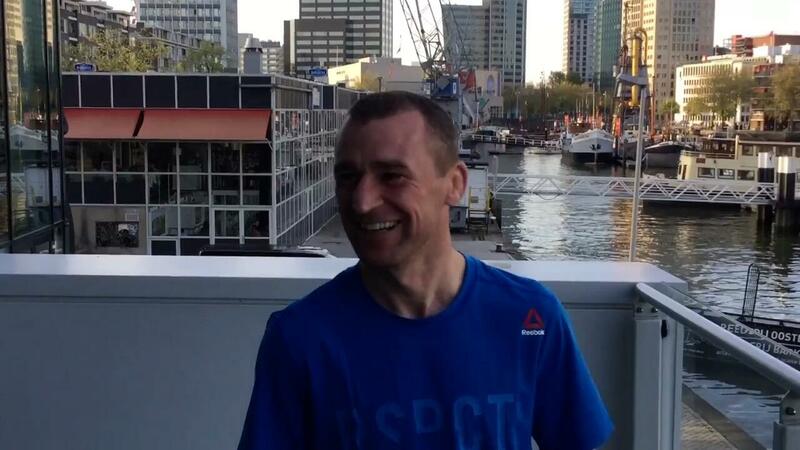 UFC Dublin Media Day: Neil Seery on flyweight fights... and Jurgen Klopp! 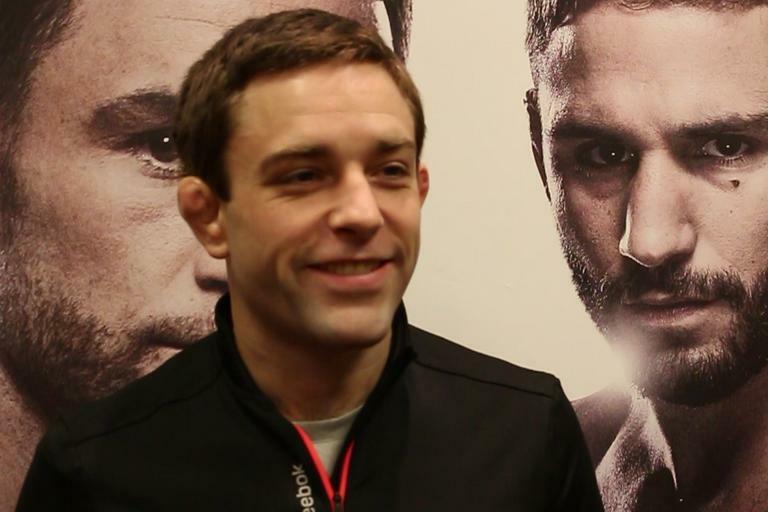 Irish flyweight favourite Neil '2 Tap' Seery chats to Simon Head at the UFC Dublin media day. 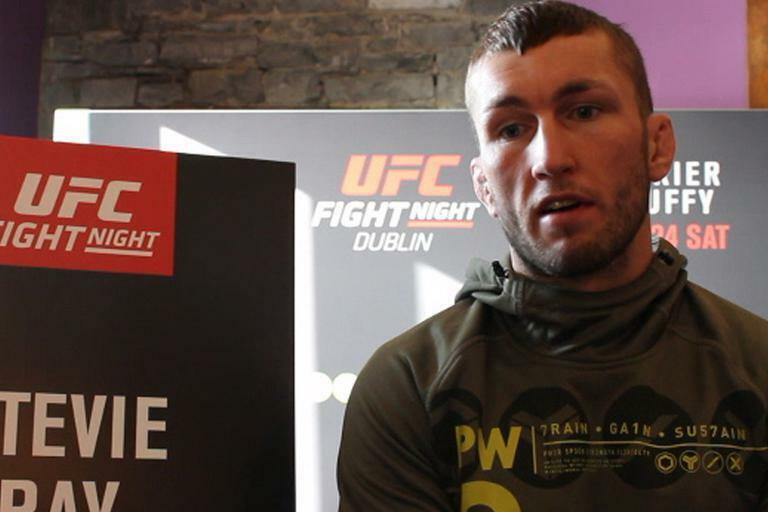 Scottish lightweight fighter Stevie Ray chats to Simon Head at the UFC Dublin media day ahead of his bout with Frenchman Mickael Lebout. 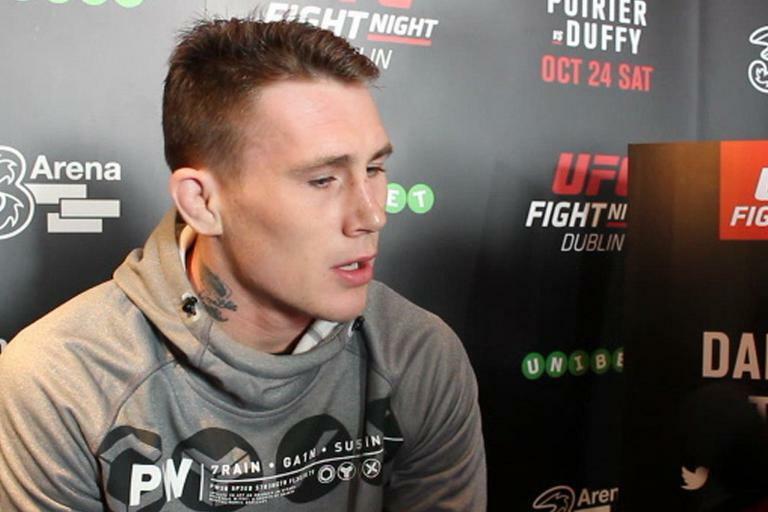 Scottish featherweight and former Commonwealth Games judo medallist Robert 'The Hammer' Whiteford chats to Simon Head at the UFC Dublin media day ahead of his bout against Darren Elkins. 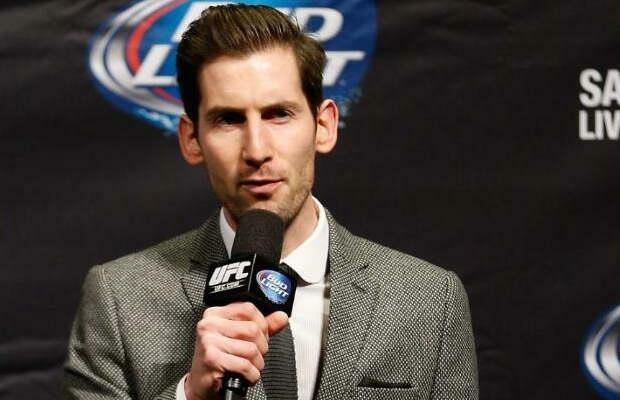 In an extended interview, Simon Head chats with UFC EMEA octagon announcer Andy Friedlander ahead of UFC Fight Night in Dublin, Ireland. 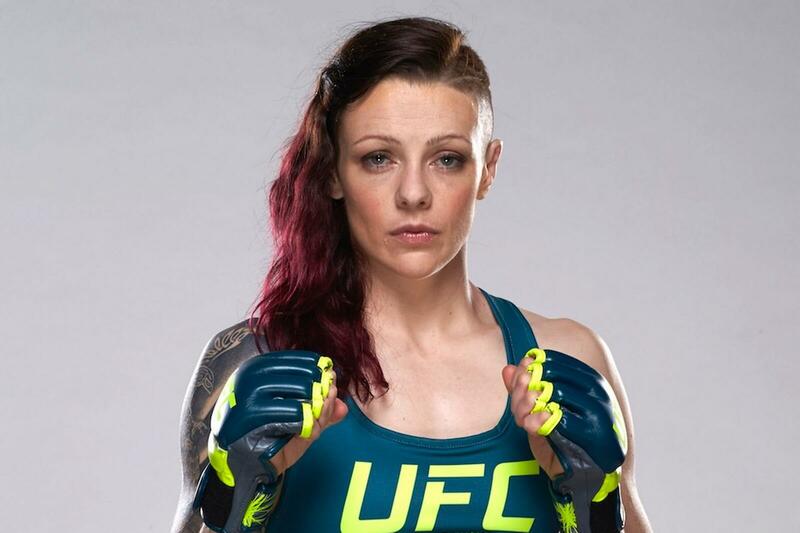 Simon Head chats to Joanne Calderwood in Thailand as she begins her preparations for her bout with Paige VanZant at UFC Fight Night Las Vegas in December. 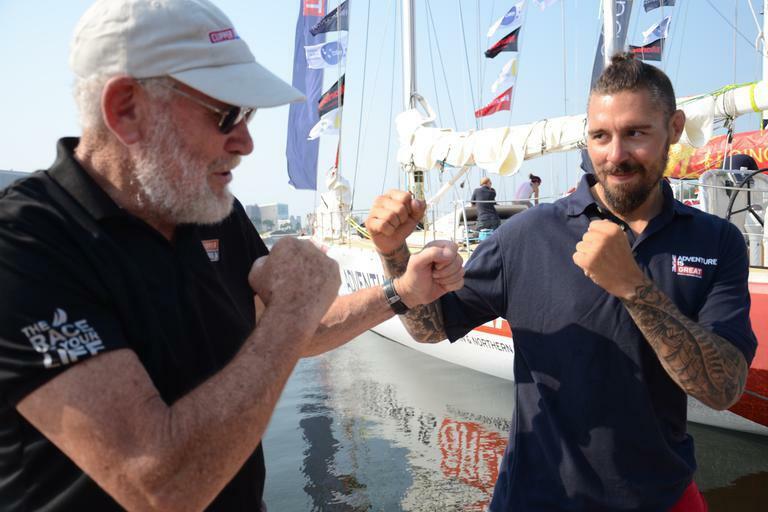 Simon Head catches up with Dan Hardy in Rio following his successful trip from London to Rio as part of the Great Britain team in the Clipper Round the World Yacht Race. 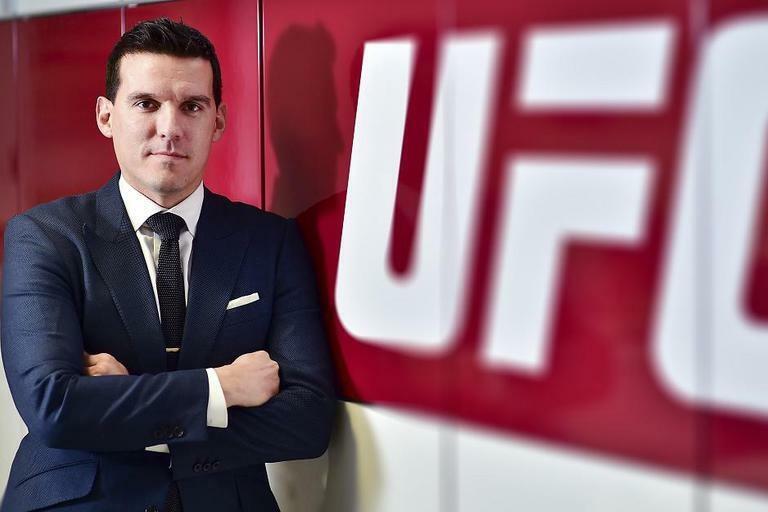 Simon Head interviews the UFC's new VP and GM of Europe, Middle East and Africa James Elliott as the UFC prepares for a big year of expansion across the region in 2016. Simon Head chats to UFC vice president of international development Joe Carr, who lifts the lid on the UFC's plans for Europe in 2016. 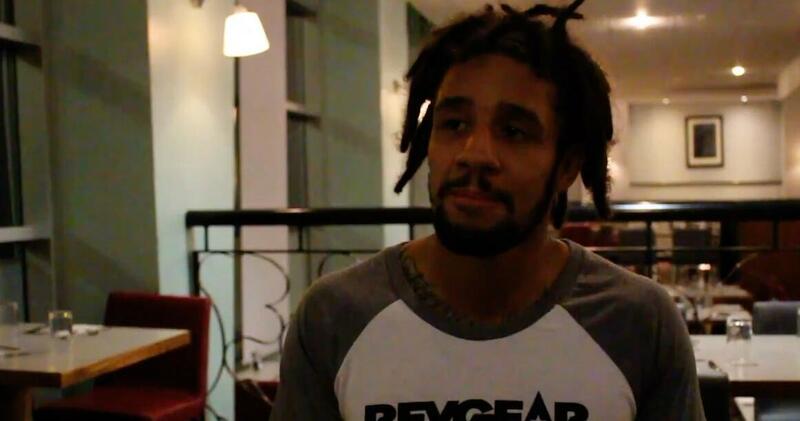 Simon Head catches up with British lightweight Saul Rogers, who features in the new season of The Ultimate Fighter: Team McGregor v Team Faber. 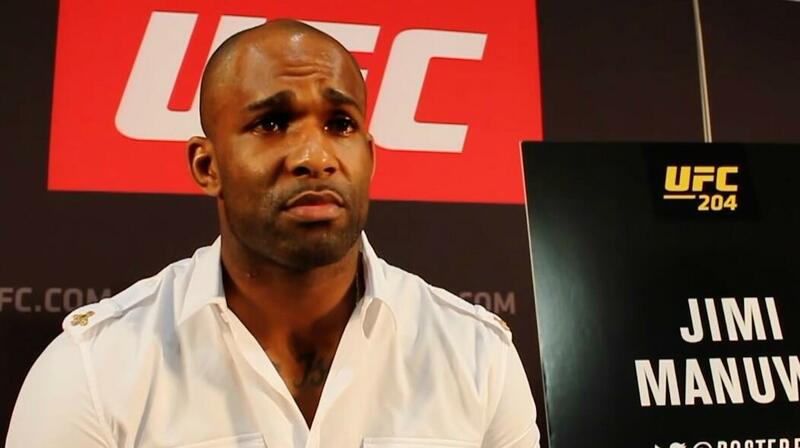 Simon Head chats with British UFC star Jimi 'Posterboy' Manuwa ahead of his pivotal light-heavyweight clash with number-one contender Anthony 'Rumble' Johnson at UFC 191 on September 5. British UFC star Dan 'The Outlaw' Hardy is all set for the biggest challenge of his athletic career as he prepares to embark on the first leg of the Clipper Round The World Yacht Race. 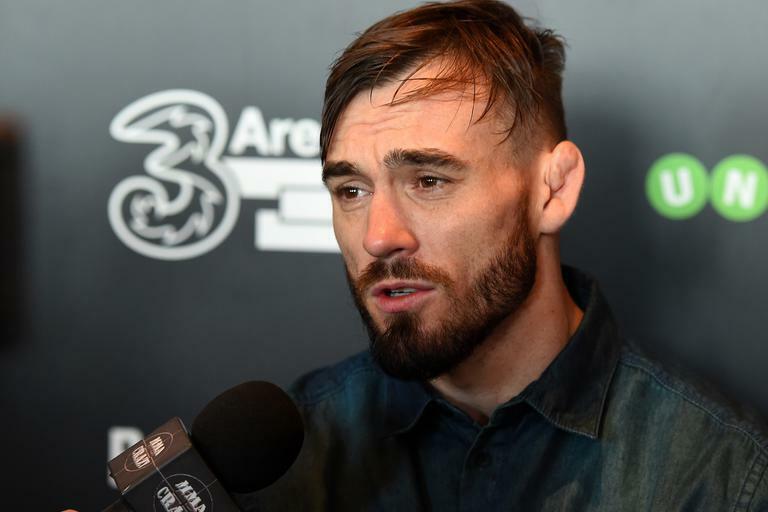 Scottish featherweight favourite Rob Whiteford chats with Simon Head at Ultimate Media Day ahead of his bout with Paul Redmond at UFC Fight Night Glasgow. 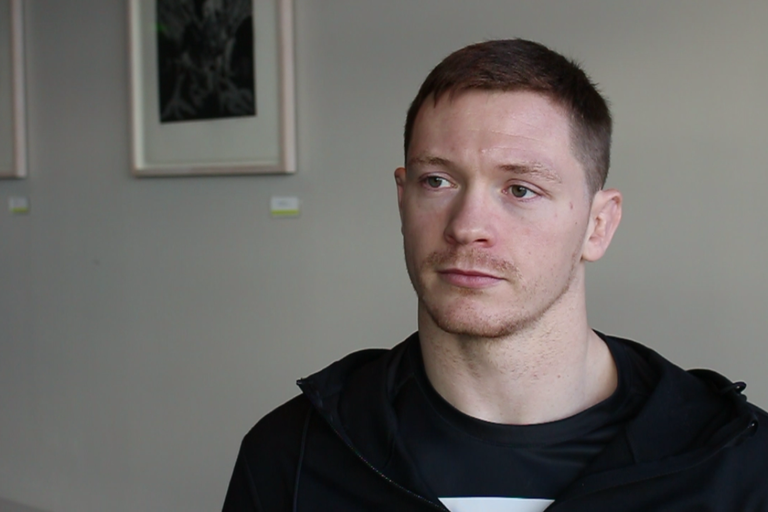 Ahead of his bout with Ivan Jorge at UFC Glasgow, Irish lightweight star Joe Duffy chats to Simon Head at Ultimate Media Day. 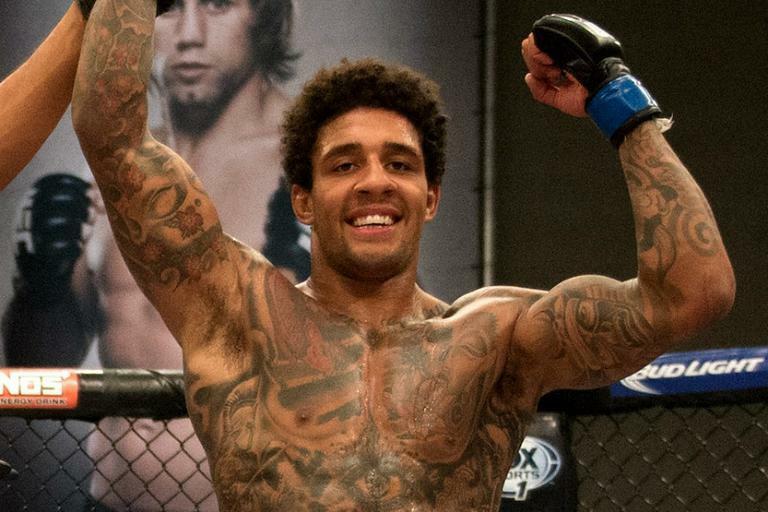 Ahead of his bout at UFC Fight Night in Glasgow, UFC heavyweight Chris De La Rocha chats to Simon Head about his path to the octagon. 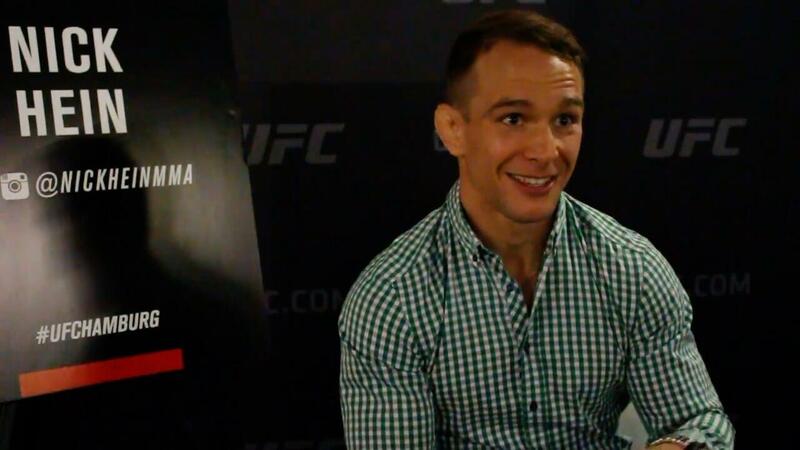 Experienced British bantamweight Vaughan Lee chats with Simon Head at UFC Fight Night media day in Glasgow, Scotland. 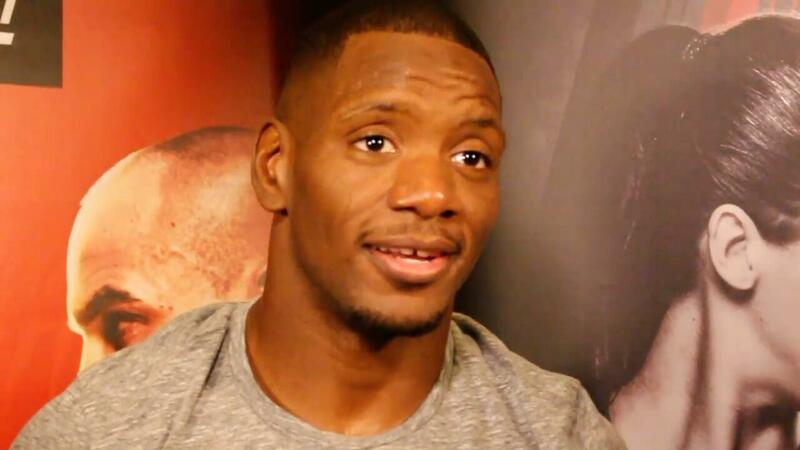 British welterweight prospect Leon 'Rocky' Edwards reflects on his eight-second knockout of Seth Baczynski in Poland and looks ahead to his bout at UFC Glasgow. 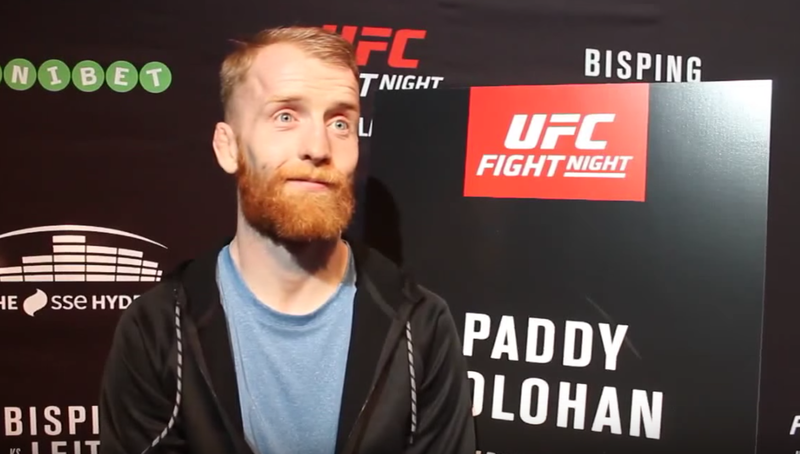 Irish flyweight favourite Paddy 'The Hooligan' Holohan chats about his bout at UFC Fight Night in Glasgow. 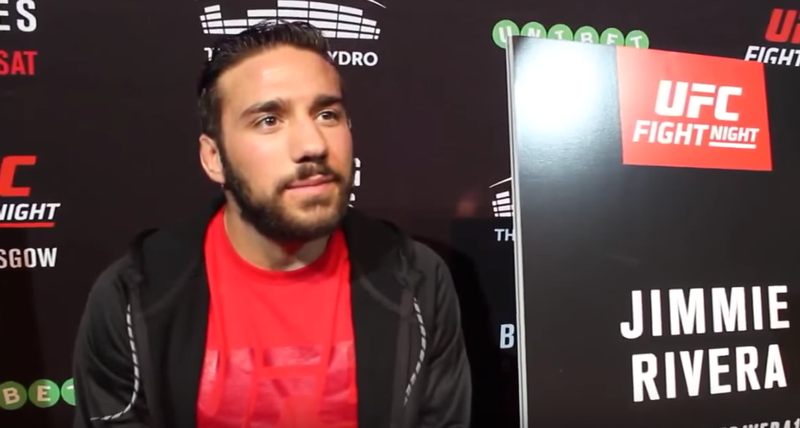 UFC bantamweight prospect Jimmie Rivera chats about his long and winding road to the UFC ahead of his bout at UFC Fight Night in Glasgow, Scotland. 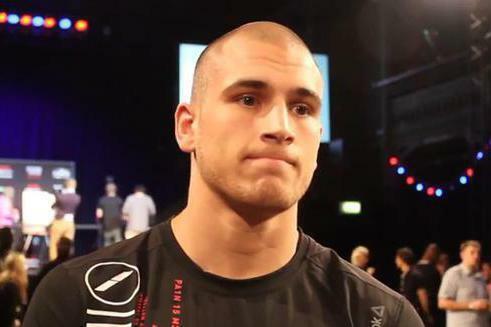 British welterweight prospect Tom Breese tells Simon Head he'd be very interested in a bout with Cathal Pendred at the UFC's upcoming Fight Night event in Dublin. 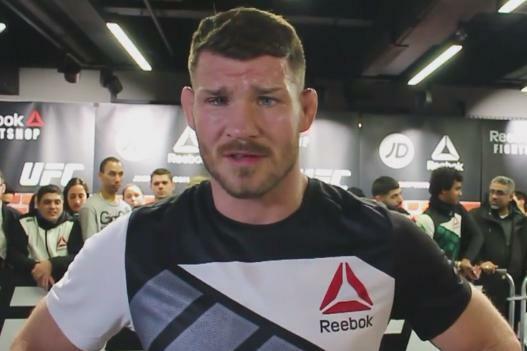 British UFC star Michael 'The Count' Bisping chats to Simon Head and vows to put a beating on Brazilian contender Thales Leites in Glasgow on July 18. 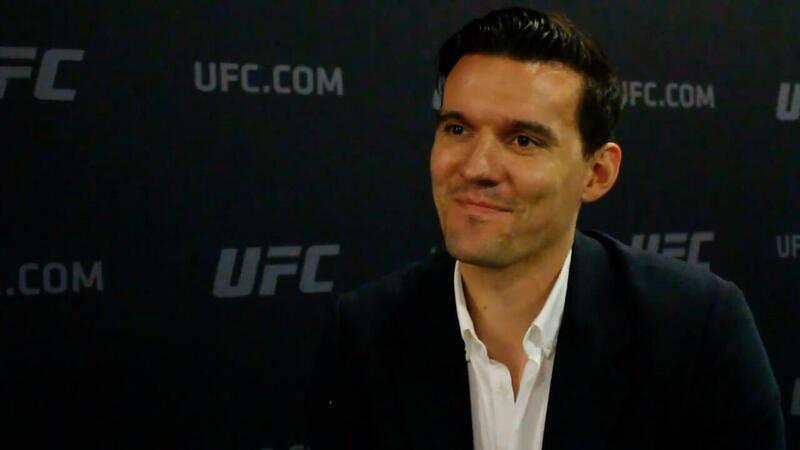 Simon Head chats with UFC vice president of international development Joe Carr, who explains the transitional stage the UFC's EMEA office currently finds itself in, and chats about the impact of Conor McGregor winning a UFC world title. 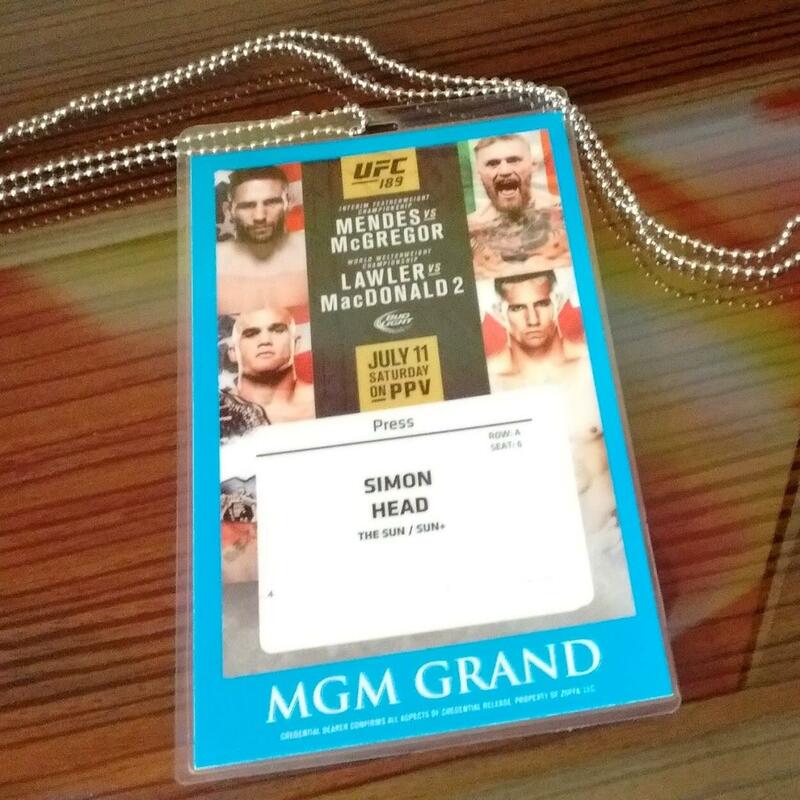 Simon Head tees up the big fights on a big night at the MGM Grand Garden as Conor McGregor takes on Chad Mendes for interim UFC featherweight gold in Las Vegas at UFC 189. 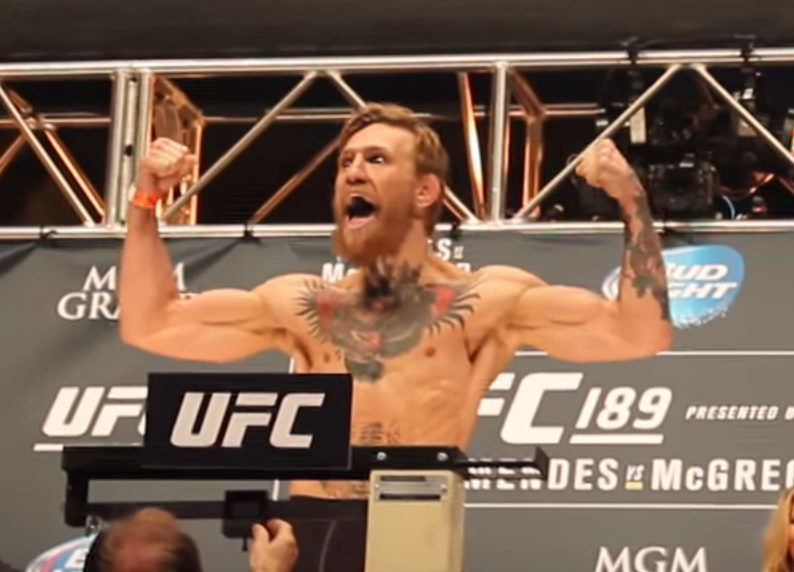 UFC reporter Simon Head looks back at a remarkable day at the UFC 189 weigh-ins at the MGM Grand Garden Arena in Las Vegas as Conor McGregor and Chad Mendes faced off ahead of their bout on Saturday night. 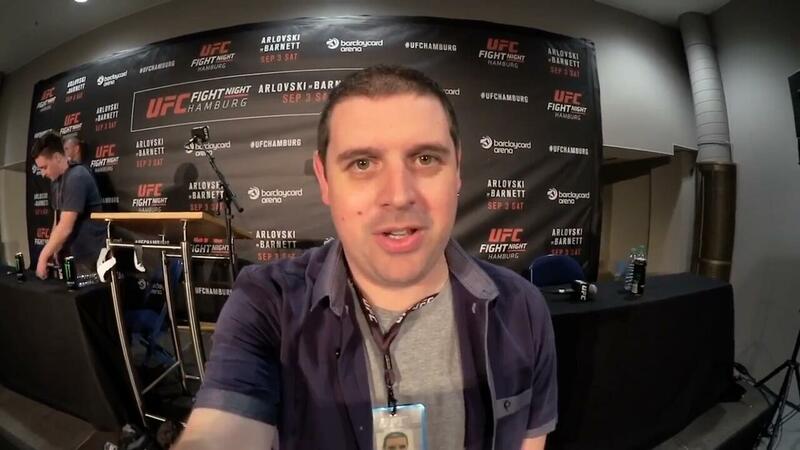 Simon Head catches up with press row compadre John Morgan from MMAjunkie/USA Today to recap a crazy UFC 189 weigh-in event at the MGM Grand Garden Arena. 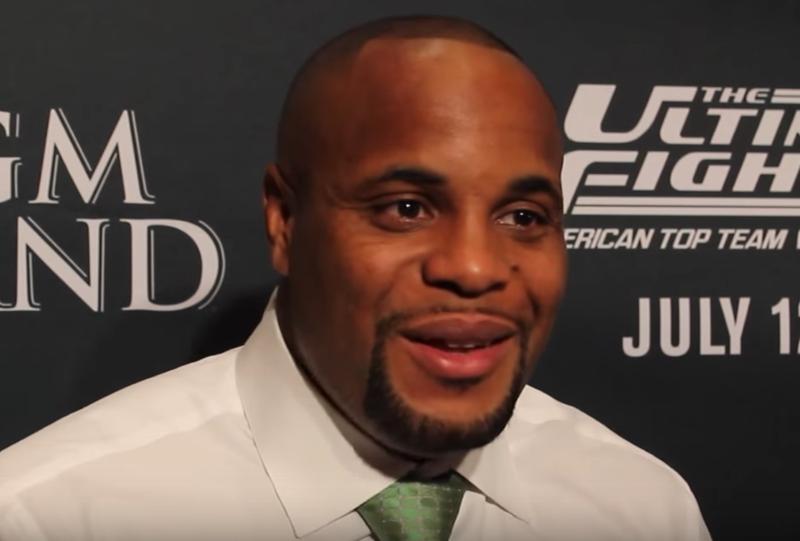 UFC light-heavyweight champion Daniel Cormier chats to Simon Head about Ben Rothwell's interview with Jon Anik and offers his advice to fighters on how to make the most of their time on the mic. Former WWE superstar CM Punk chats to Simon Head to give his take on Ben Rothwell's infamous post-fight interview and share his thoughts on self-promotion by fighters. 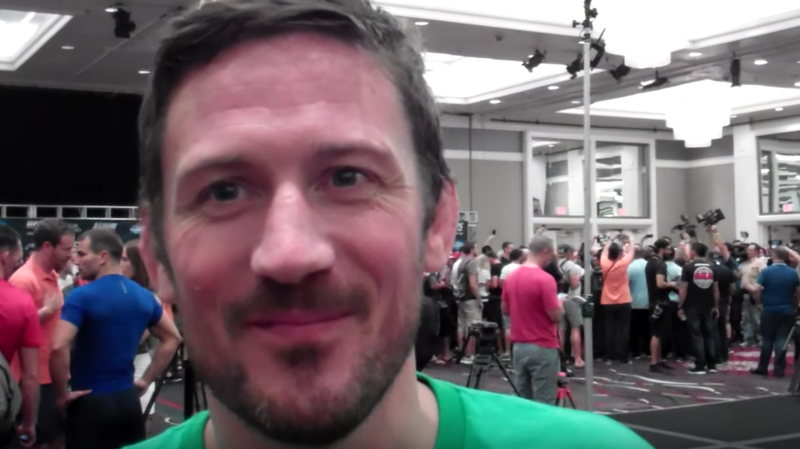 Conor McGregor's head coach John Kavanagh chats to Simon Head at the UFC 189 open workouts and warns Chad Mendes, "If he gets hit, he goes down". 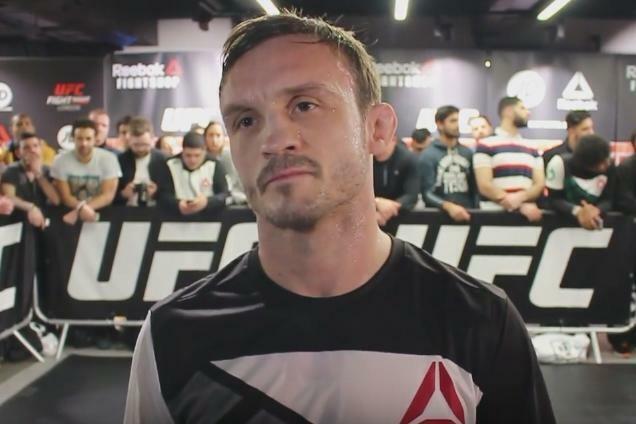 British bantamweight star Brad 'One Punch' Pickett chats to Simon Head ahead of his bout with Thomas Almeida and says he's revelling in the role of underdog ahead of the contest at UFC 189. 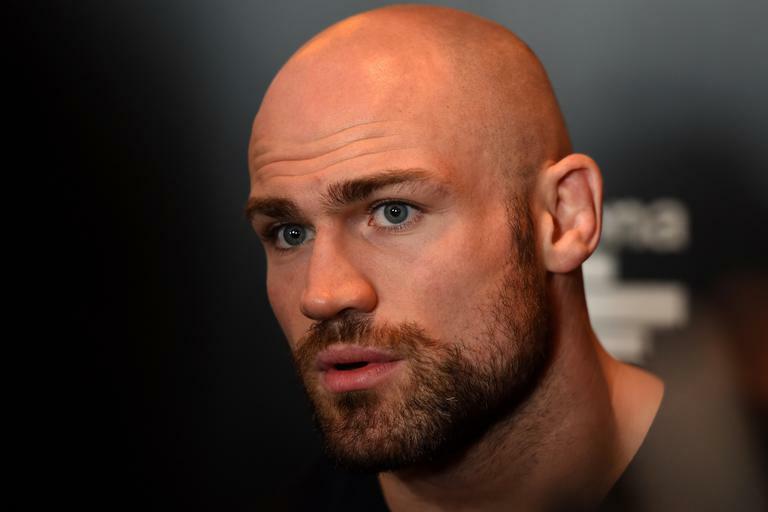 Simon Head chats to Irish welterweight star Cathal Pendred ahead of his bout with John 'Doomsday' Howard at UFC 189 in Las Vegas. UFC PR chief Dave Sholler chats to Simon Head at Ultimate Media Day ahead of UFC 189 at the MGM Grand Garden in Las Vegas, USA. 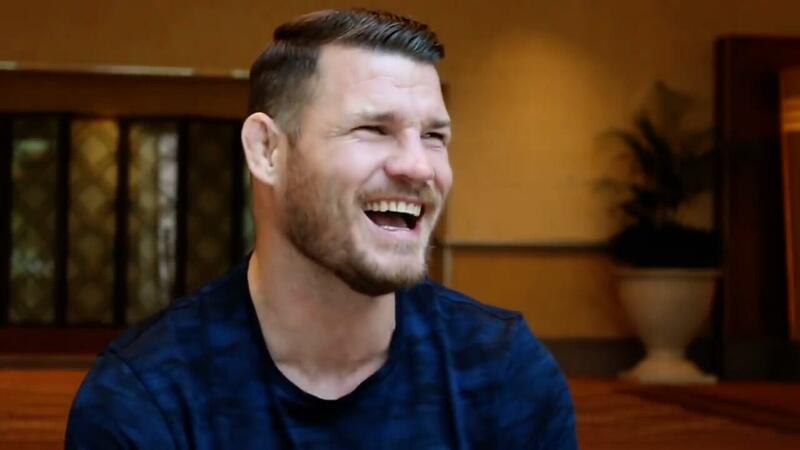 Ahead of his UK homecoming bout against Thales Leites at UFC Fight Night in Glasgow I sat down with Michael Bisping for an extended interview to chat about his career, his continuing quest for the UFC middleweight title and his history of bizarre jobs before becoming an MMA star. UFC play-by-play commentator John Gooden chats to Simon Head during Ultimate Media Day at UFC Berlin. 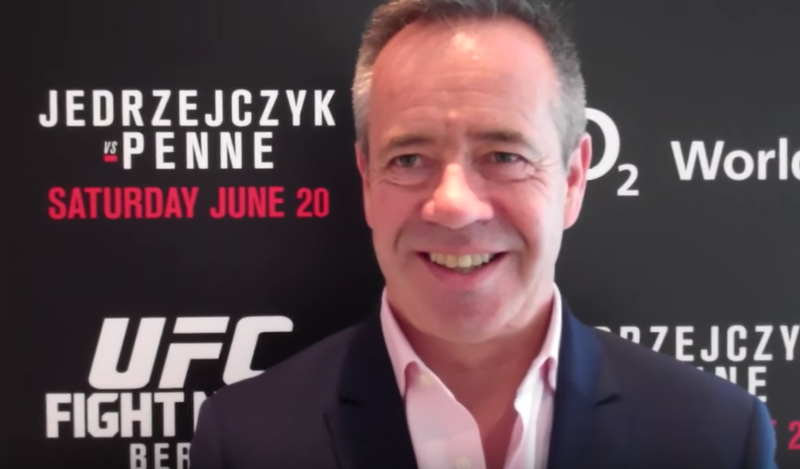 Dave Allen, head of the UFC's EMEA team, chats to Simon Head in the lead-up to UFC Fight Night: Jedrzejczyk v Penne in Berlin, Germany. 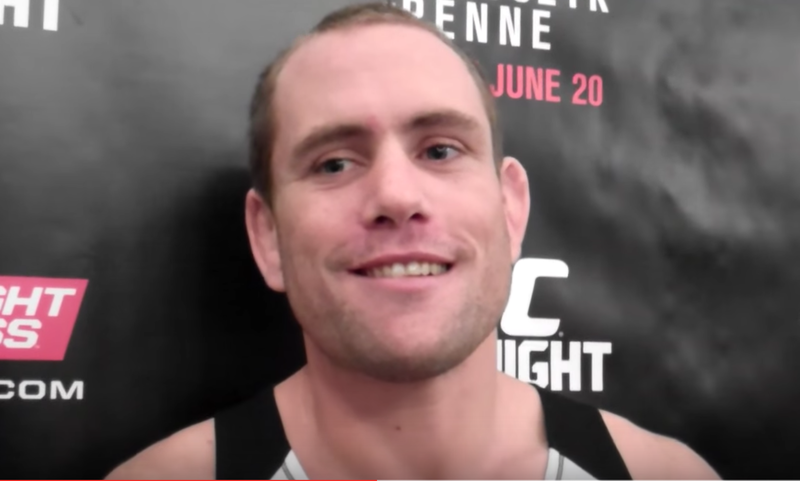 Australian fighter Steve 'Steamrolla' Kennedy chats to Simon Head ahead of his bout at UFC Fight Night in Berlin, Germany. 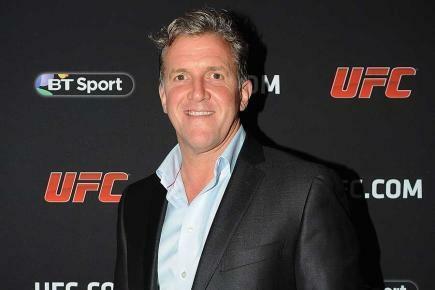 UFC Europe supremo Garry Cook chats to Simon Head ahead of the UFC's return to London. 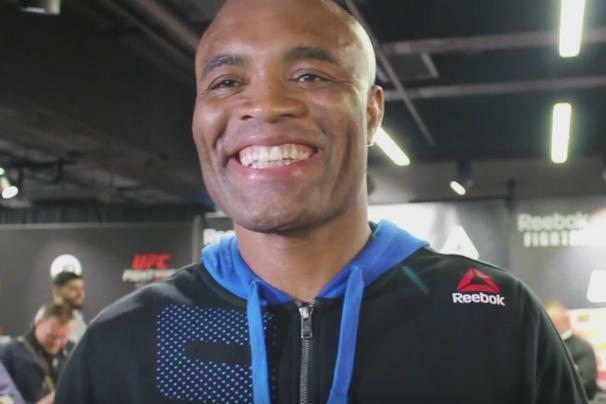 Simon Head catches up with new UFC play-by-play commentator John Gooden ahead of his debut at UFC Fight Night: Gustafsson v Manuwa in London, England. 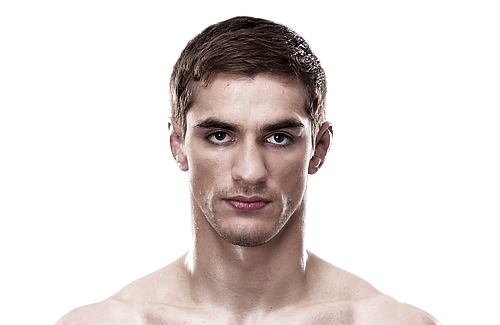 Simon Head chats UFC 164 with Mike Morgan of WhoaTV on the Whoacast. 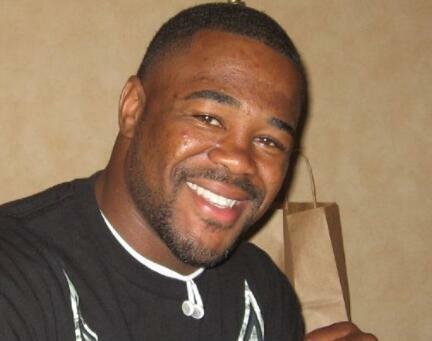 Simon Head joins Michael Morgan of WhoaTV for a second appearance on MMA podcast Whoacast. 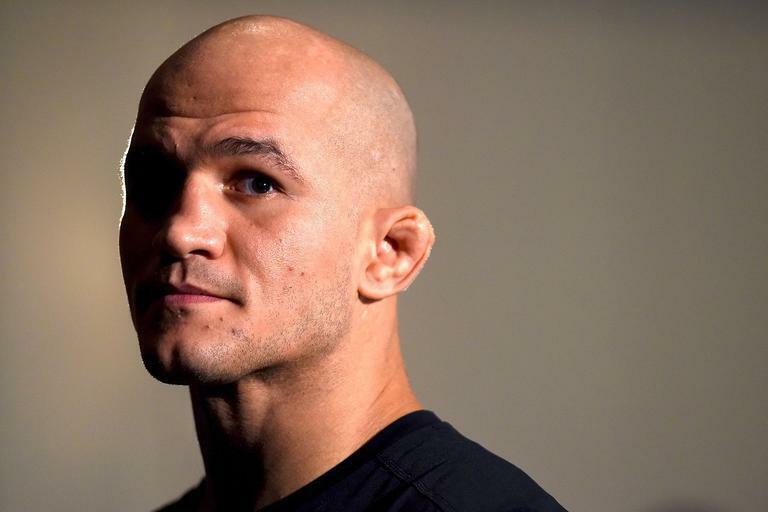 Simon Head chats with WhoaTV's Michael Morgan to chat all things UFC on the opening show of the second season of the Whoacast. 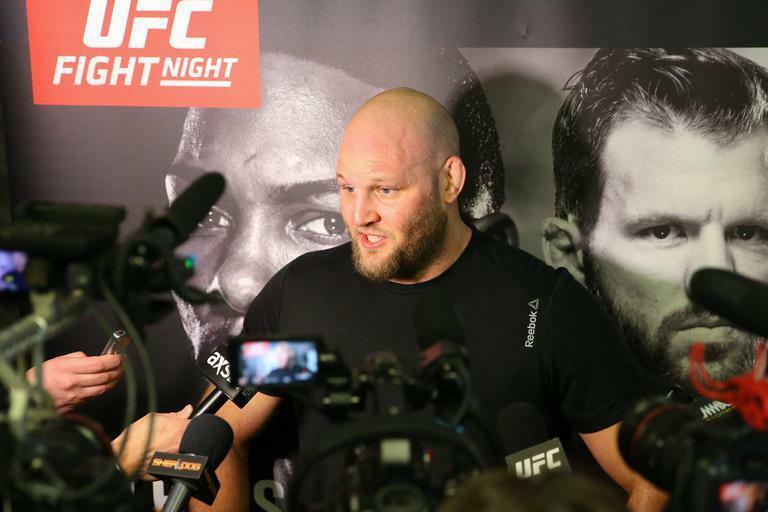 Simon Head and Rob Leigh present live reaction from cageside in Nottingham, England, as heavyweights Stefan Struve and Stipe Miocic go toe to toe in the main event. 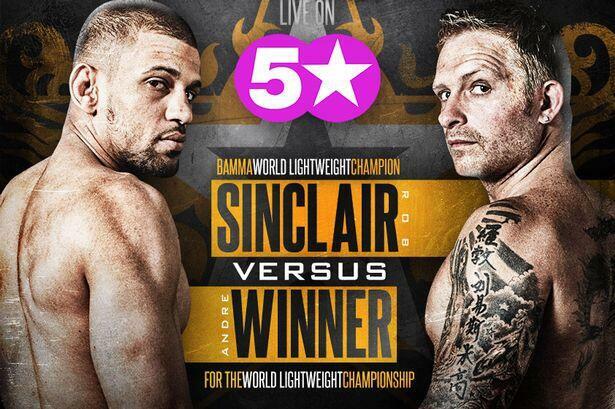 Simon Head and Rob Leigh present live event reaction from cageside at London's iconic Wembley Arena as Andre Winner and Rob 'C4' Sinclair do battle in the night's main event. BAMMA middleweight world champion Tom ‘Kong’ Watson chats to Simon Head after successfully defending his title against Jack Marshman at BAMMA 9 at the NIA in Birmingham. Simon Head chats to British bantamweight favourite Brad 'One Punch' Pickett at the London launch of the UFC Undisputed 3 video game. 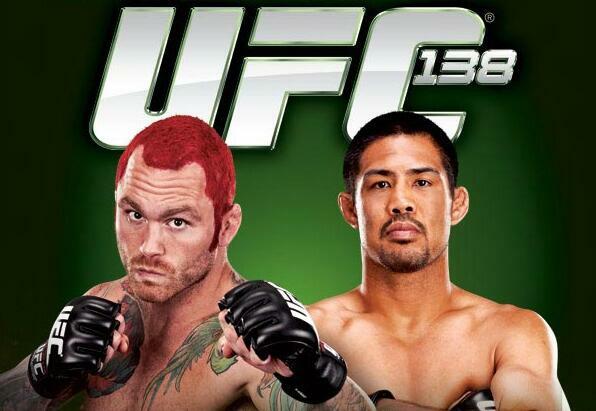 Simon Head and Rob Leigh deliver live reaction from octagonside at the LG Arena in Birmingham for UFC 138. 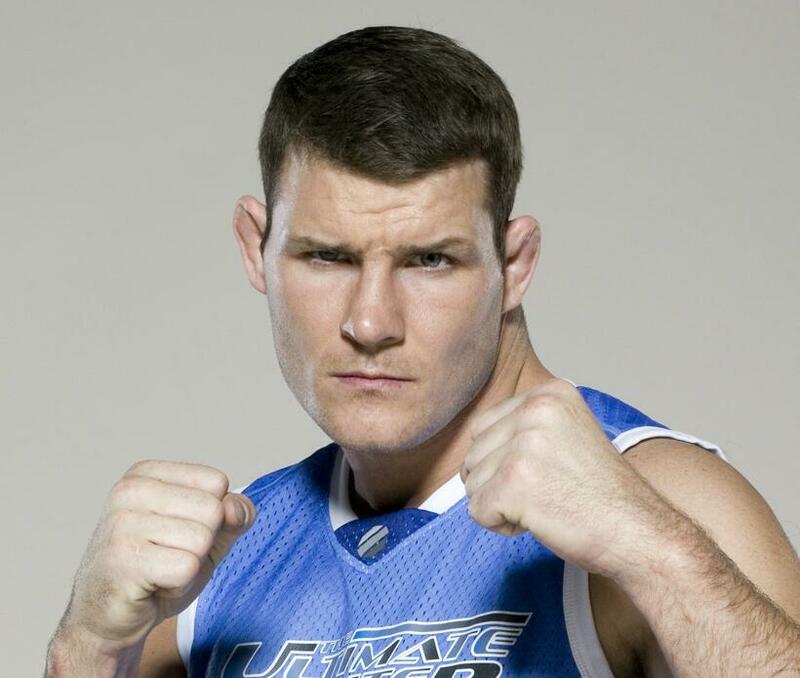 Michael Bisping chats ahead of the season premiere of The Ultimate Fighter: Team Bisping v Team Miller. 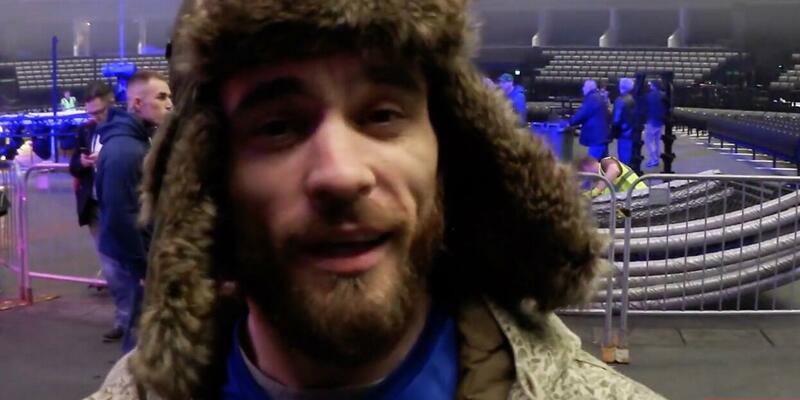 Simon Head and Rob Leigh present live event reaction from BAMMA 7: Wallhead v Trigg at the NIA in Birmingham, England. UFC welterweight champion of the world Georges 'Rush' St-Pierre chats to Simon Head and Dan Ferdinand at the Roger Gracie Academy in London, England as he prepares for his bout with Jake Shields at UFC 129. 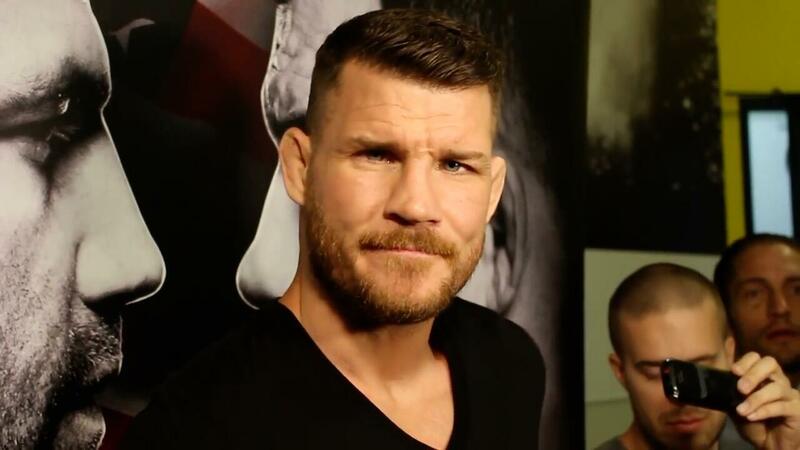 Simon Head and Dan Ferdinand chat with Michael Bisping ahead of his bout with Jorge Rivera in the co-main event of UFC 127 in Sydney, Australia. 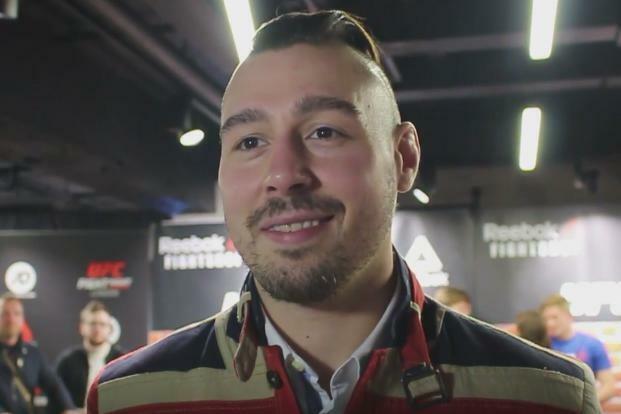 Former rugby player turned mixed martial artist John 'Hitman' Hathaway chats to Simon Head and Dan Ferdinand ahead of UFC 120 in London, England. 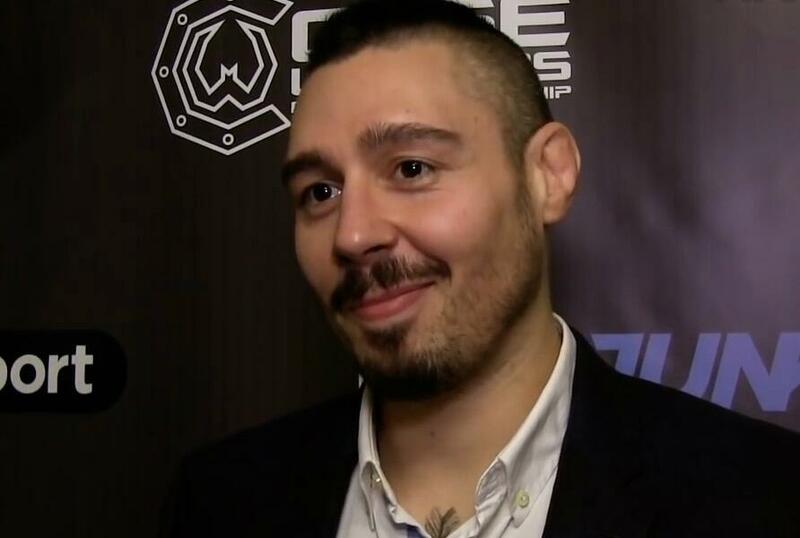 Simon Head and Dan Hardy chat to Nottingham welterweight Dan 'The Outlaw' Hardy about fighting and punk music ahead of UFC 120 in London, England. 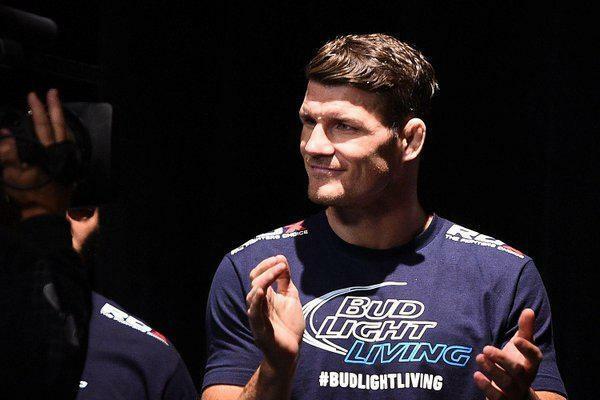 Simon Head and Dan Ferdinand chat with Michael 'The Count' Bisping ahead of UFC 120 in London, England.